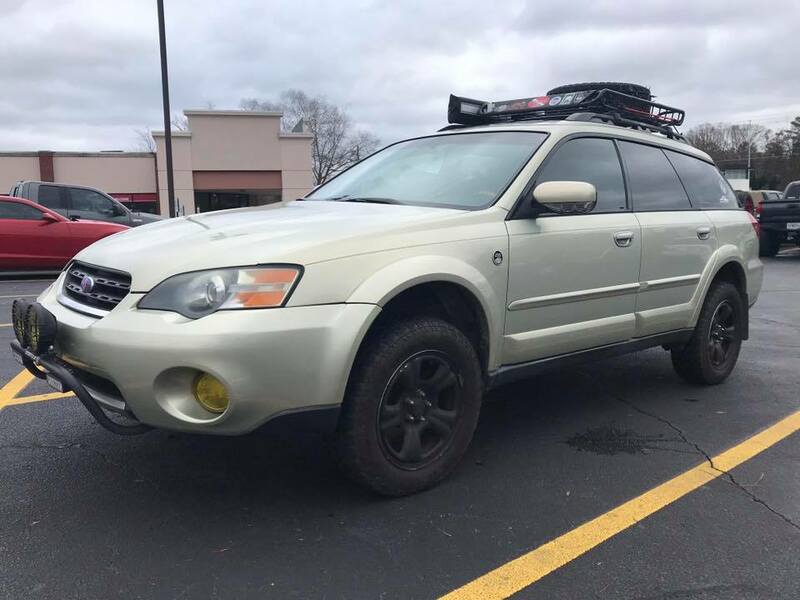 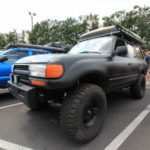 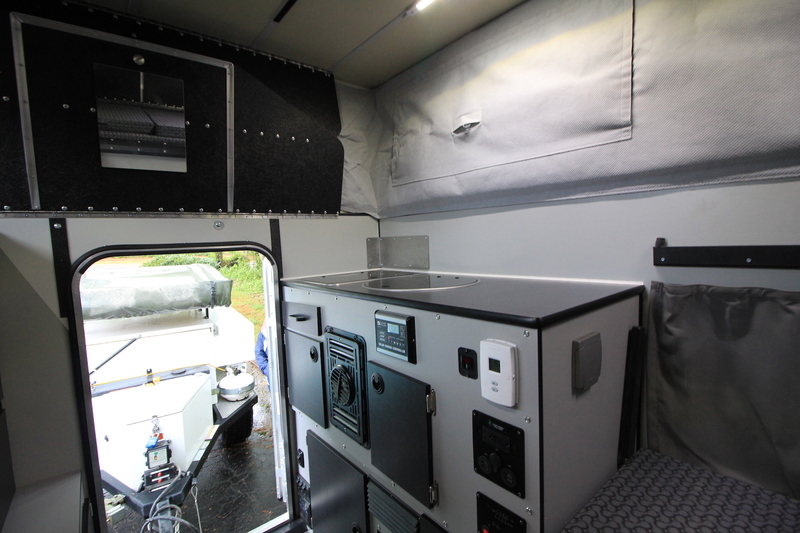 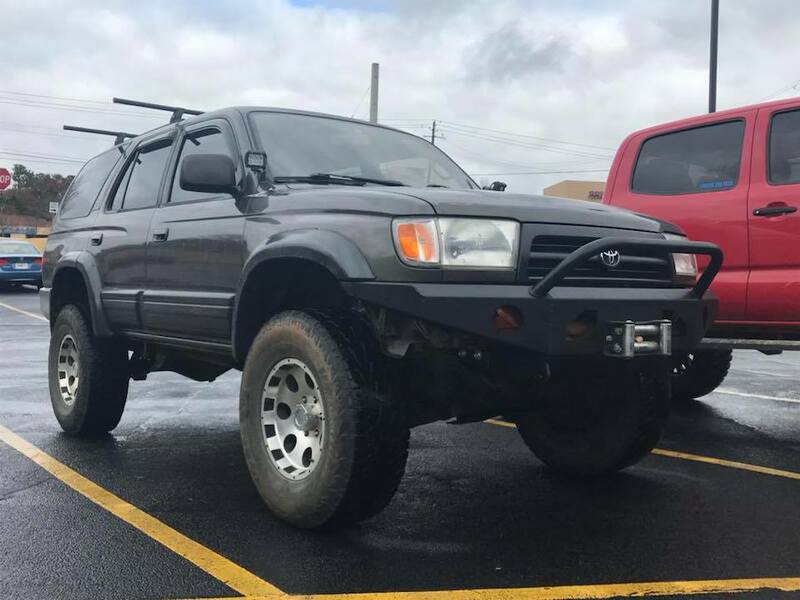 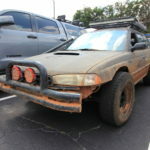 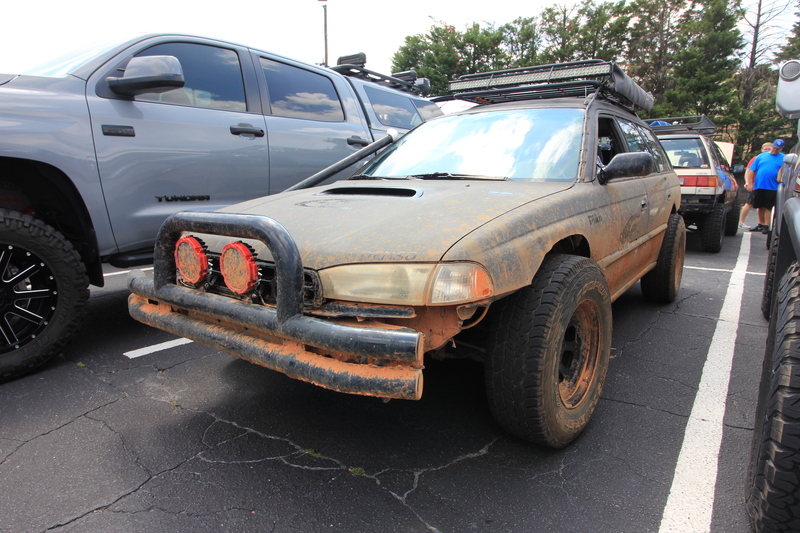 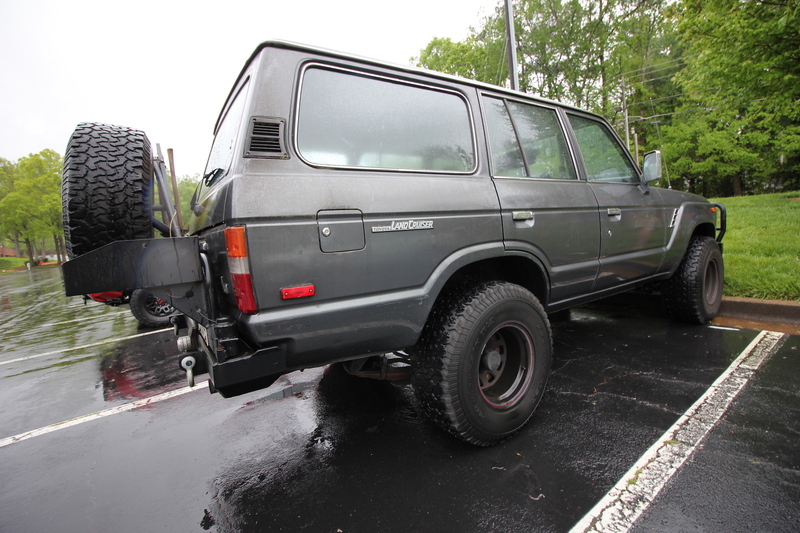 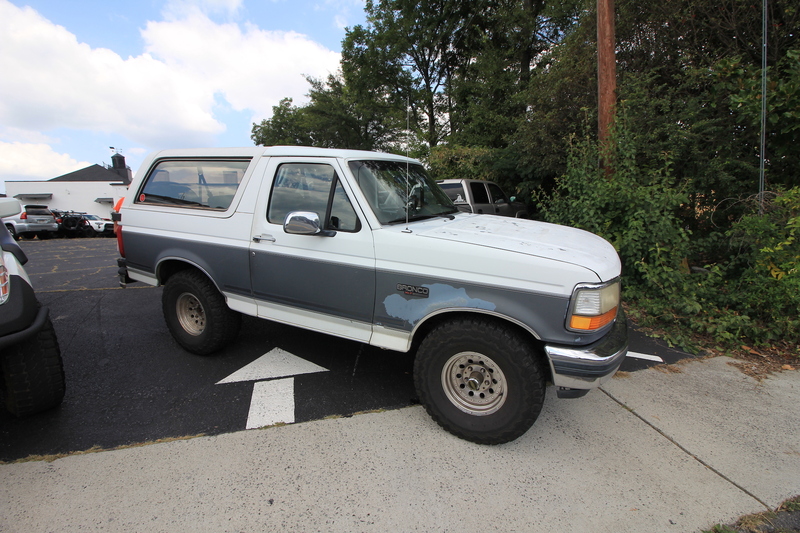 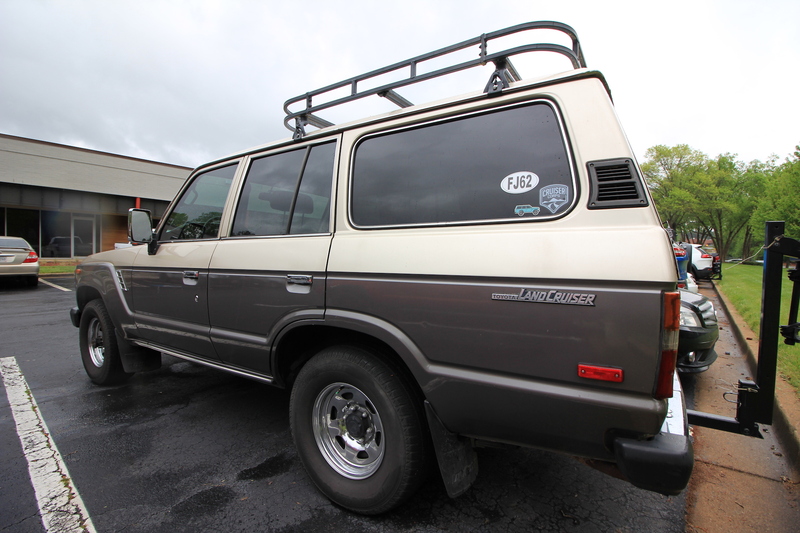 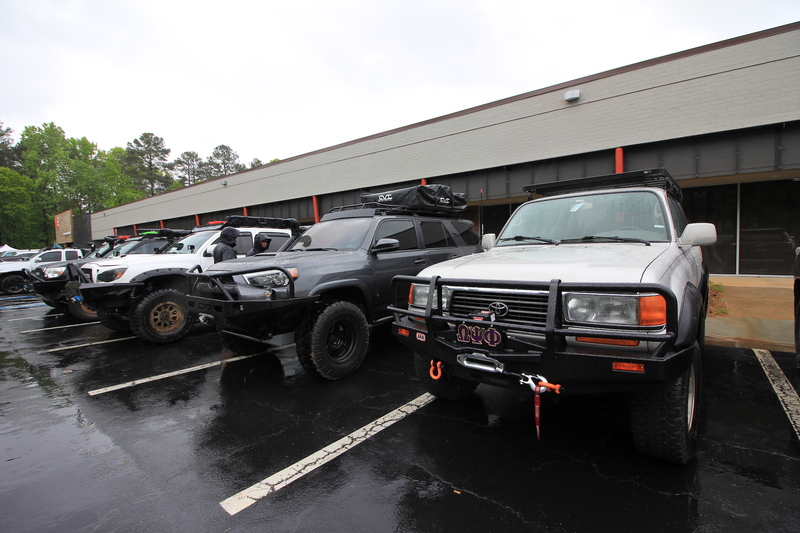 The amazing thing about the overland community, is the community! 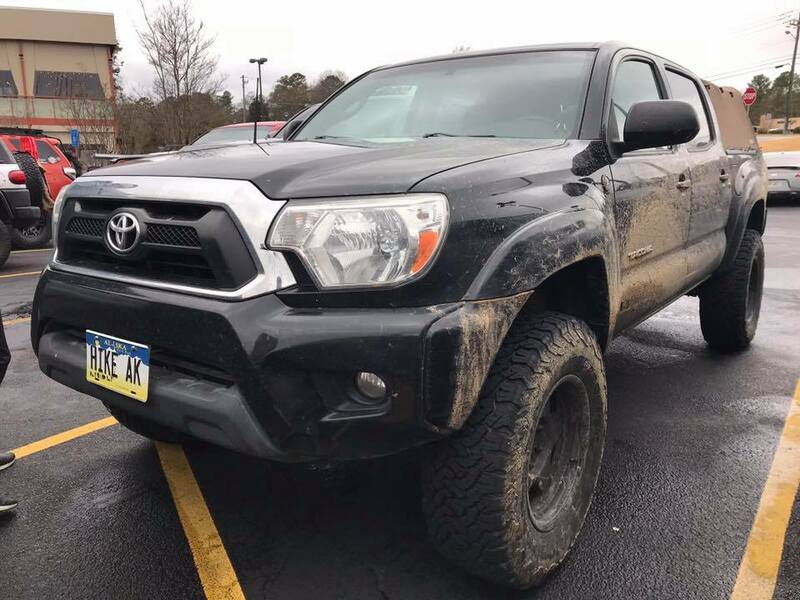 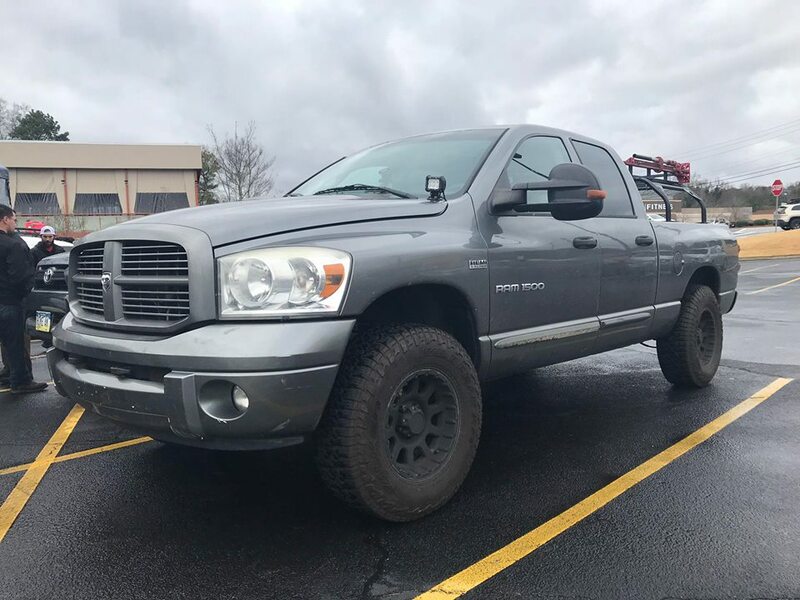 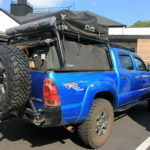 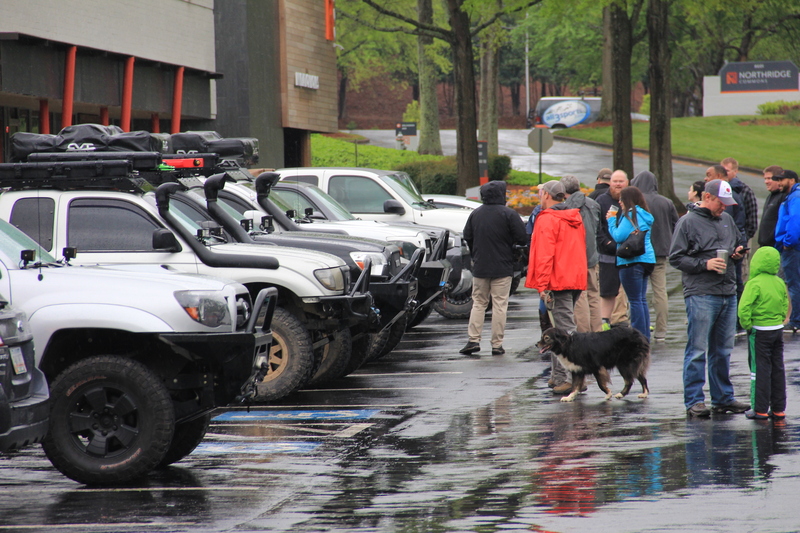 People from all backgrounds, with all types of vehicles, come together for the love of the outdoors and getting out in it! 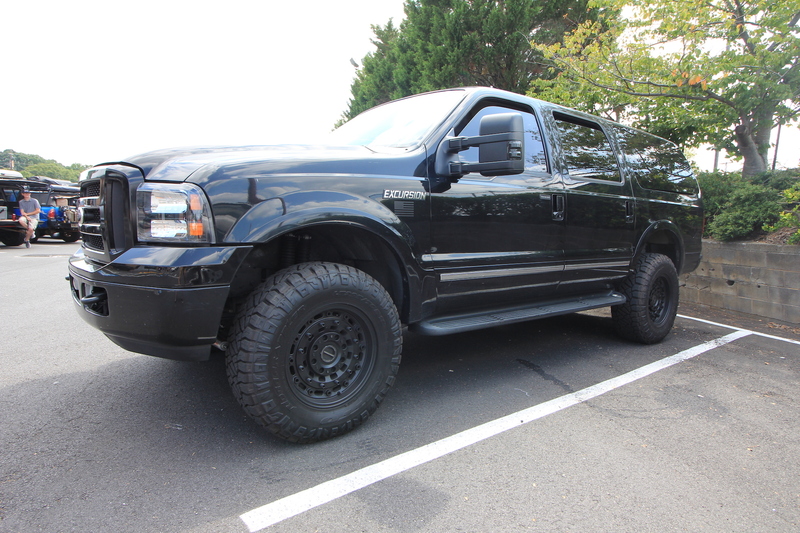 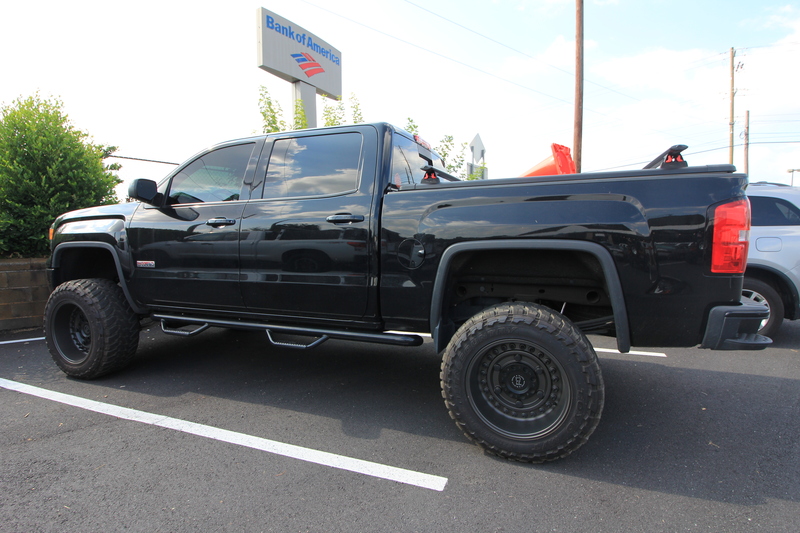 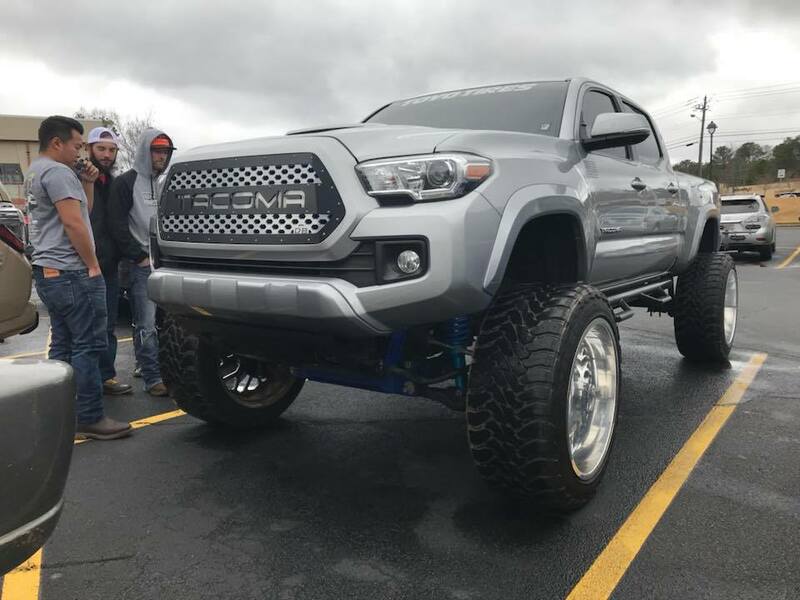 When it comes to giving back, they step up big! 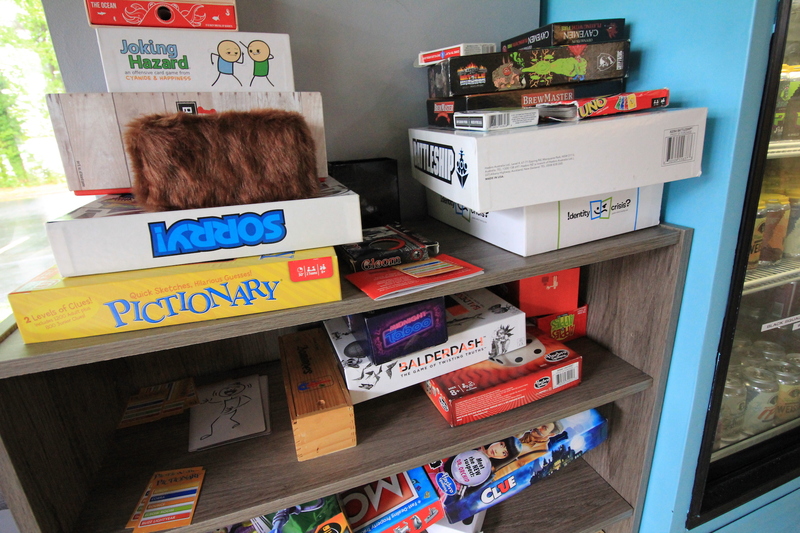 This year we decided to put on a last minute toy drive to bring a little joy to kids spending the holidays in the hospital. 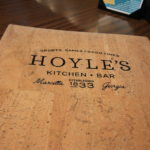 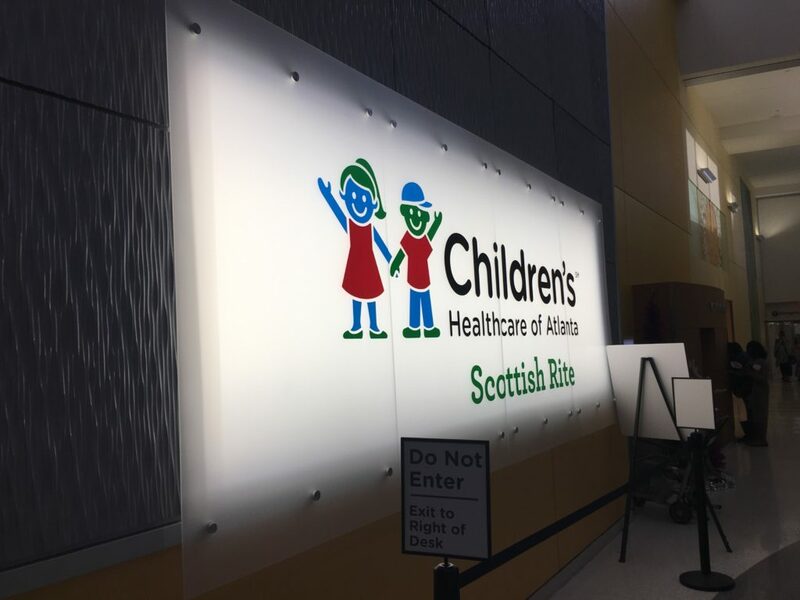 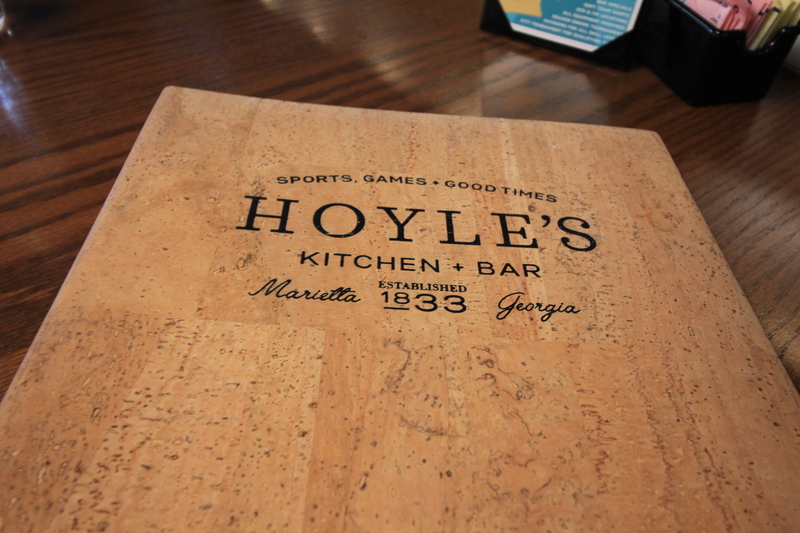 We reached out to Children’s Healthcare of Atlanta at Scottish Rite, as a donation partner, and Huey Luey’s in Sandy Springs, Ga to host the event. 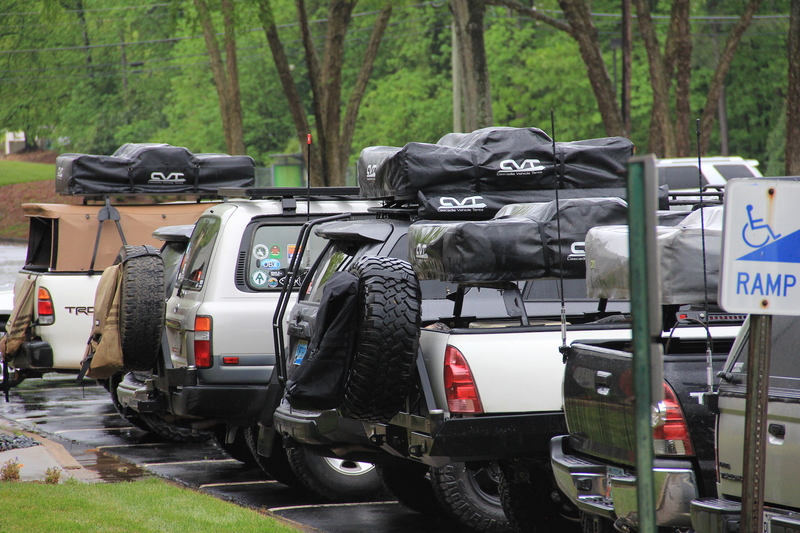 The overland community really came in big for us, and more importantly the kids at Scottish Rite. 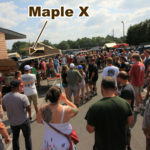 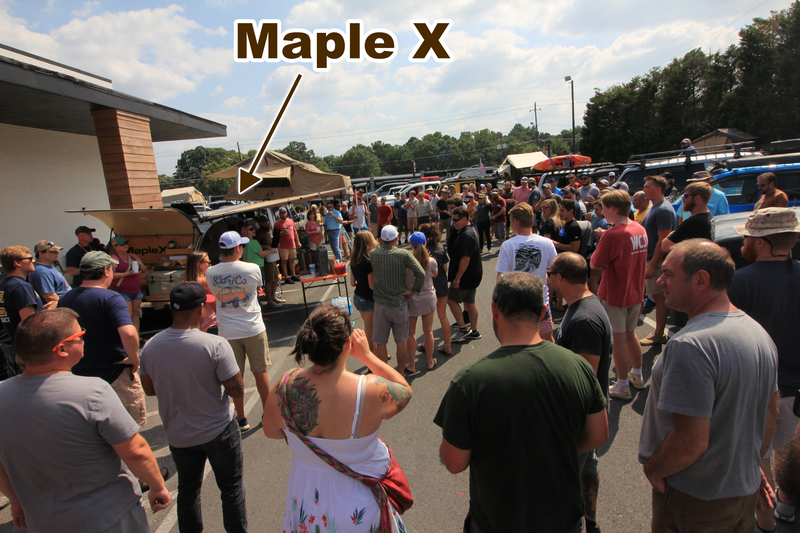 Over 25 vehicles showed up on the drizzly Sunday afternoon in December filling Maple X with over 80 toys! 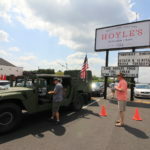 Following the event we headed just under 5 miles to Scottish Rite to drop off the donations. 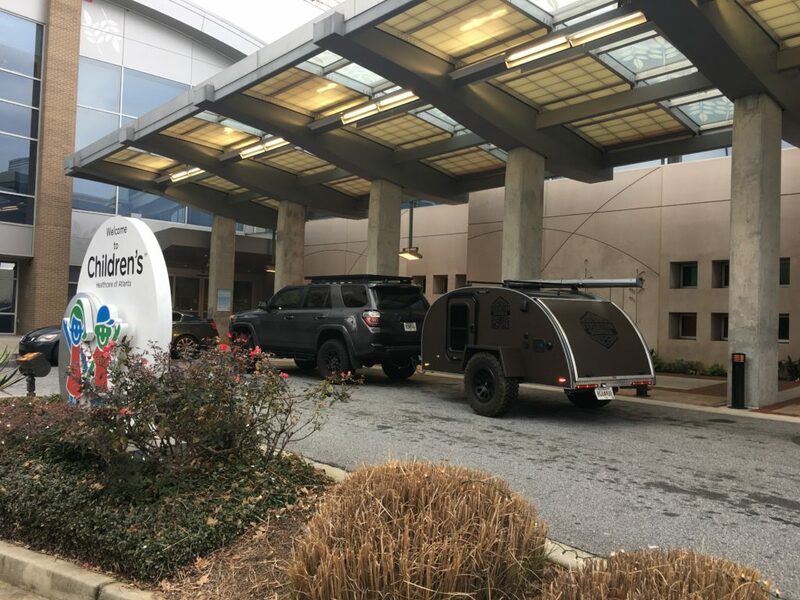 Everyone at the hospital was extremely gracious and helpful as we unloaded the goodies, and we were blown away by the amount of donations others had already placed underneath the tree. 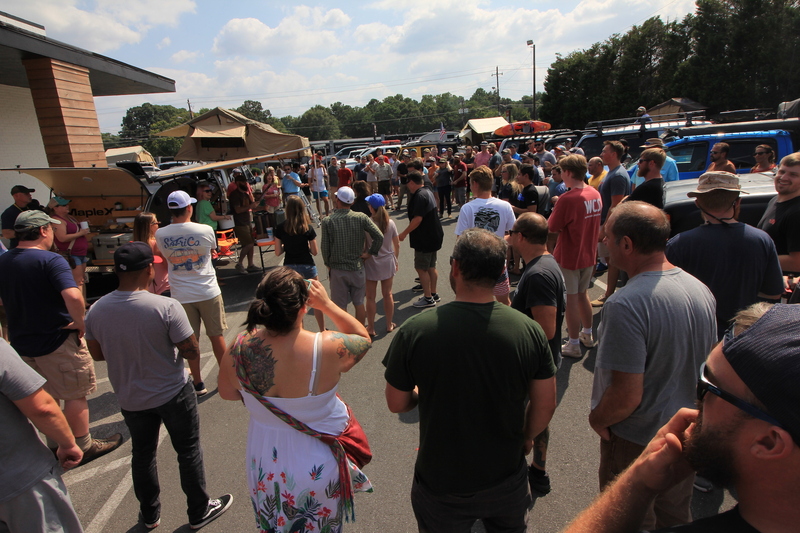 We were humbled by everyone’s generosity, and can’t wait to help again next year. 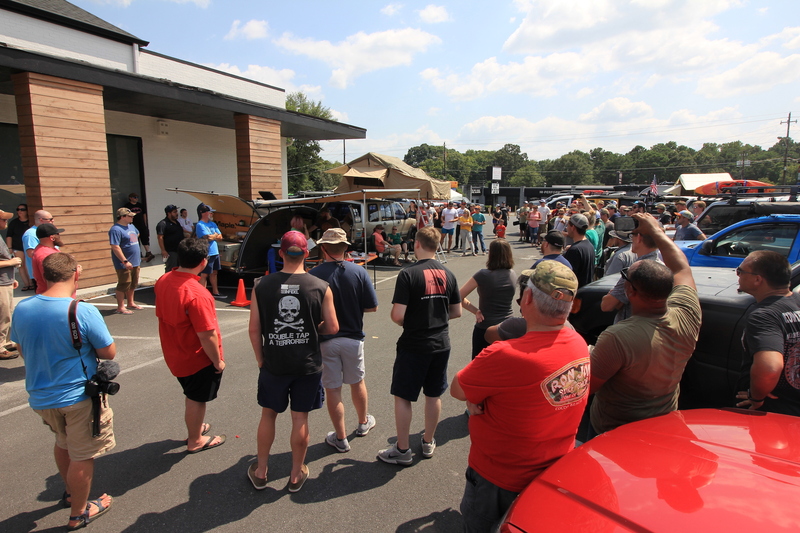 Thanks to all who made this event possible! 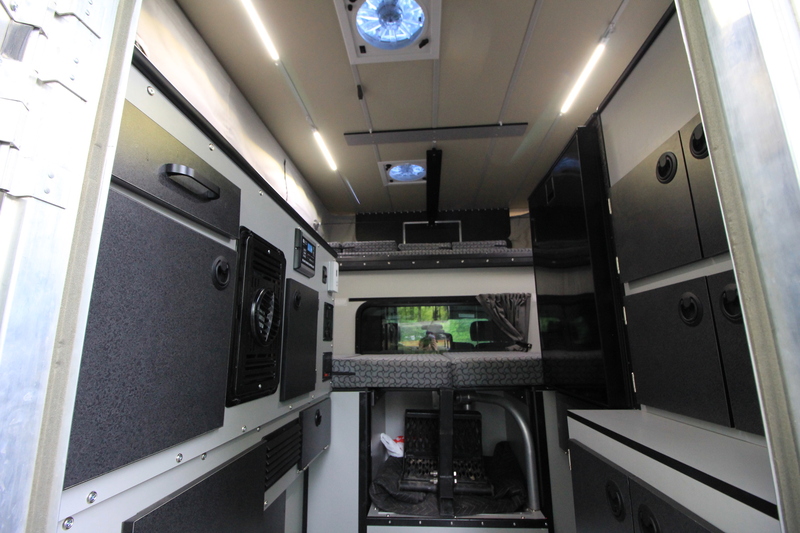 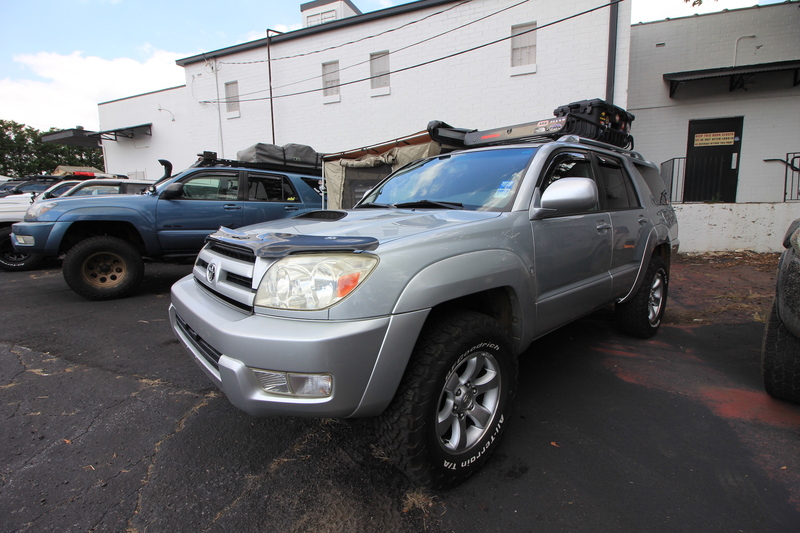 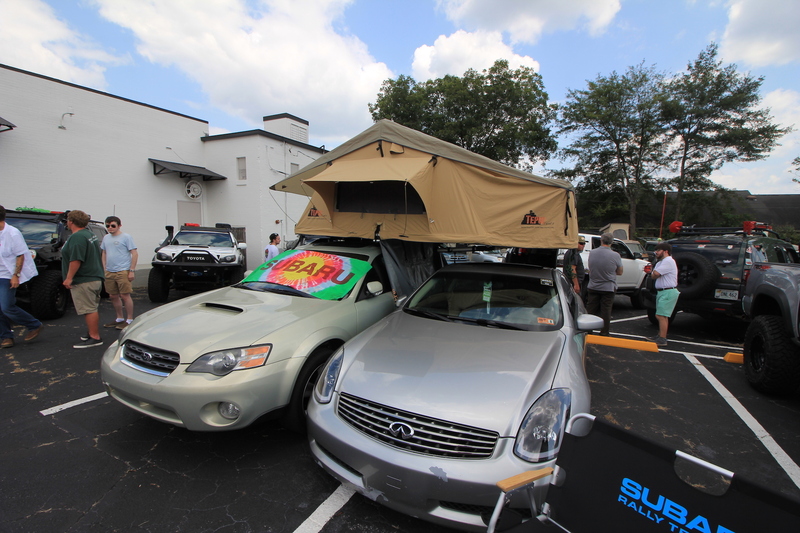 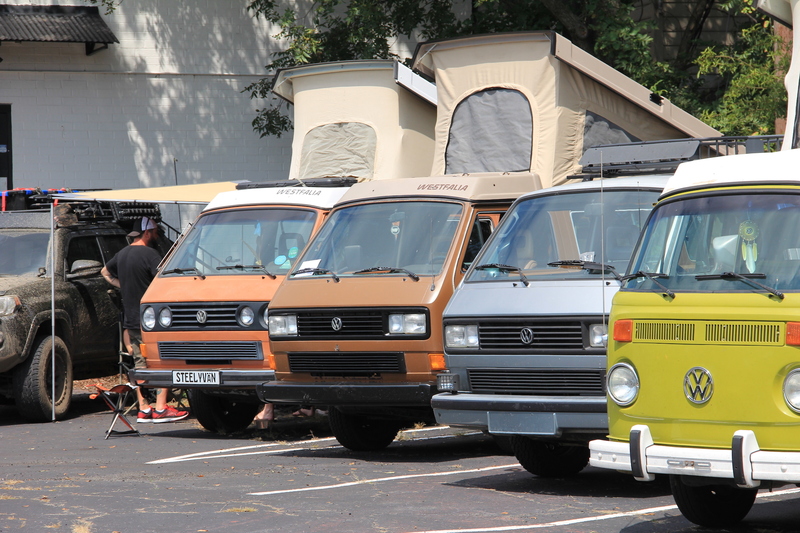 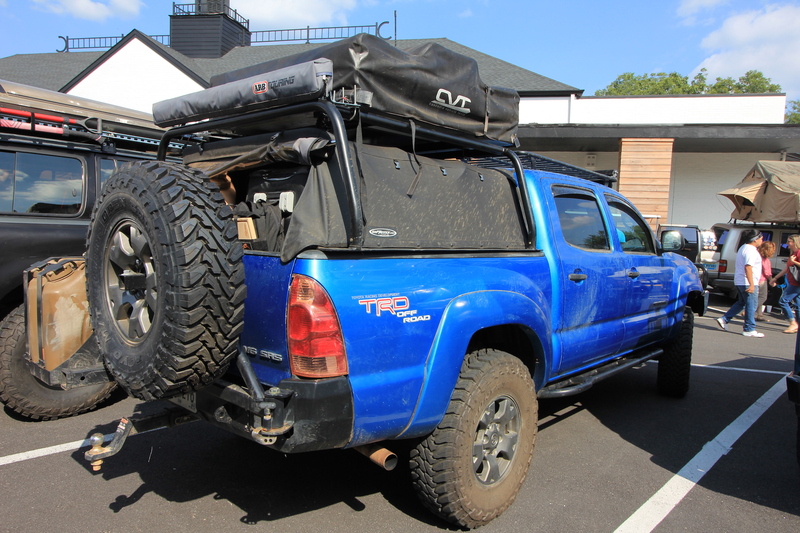 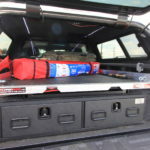 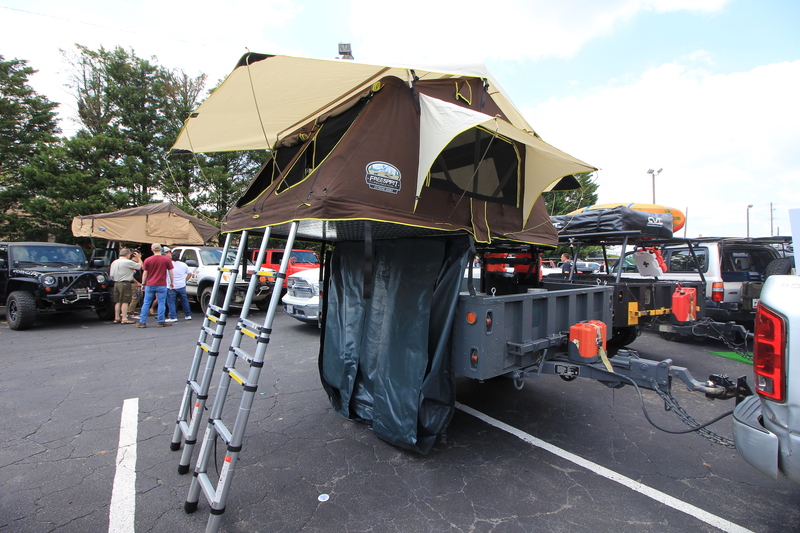 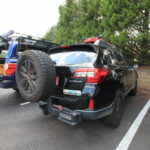 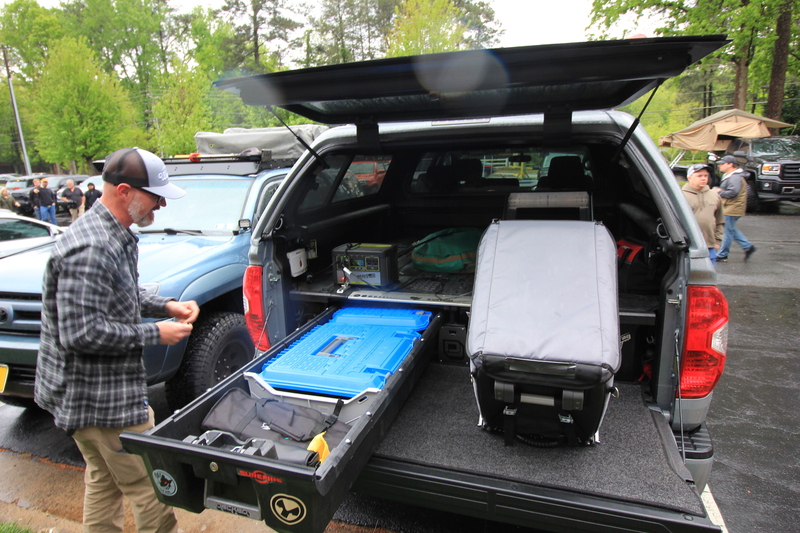 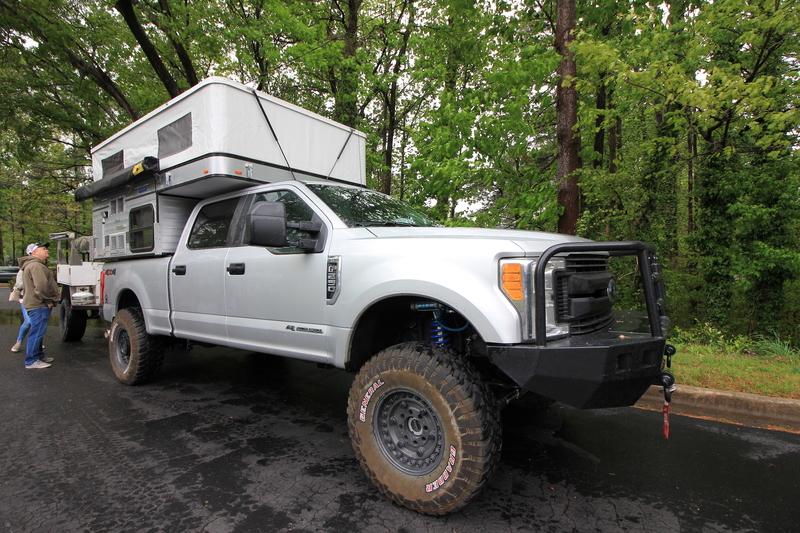 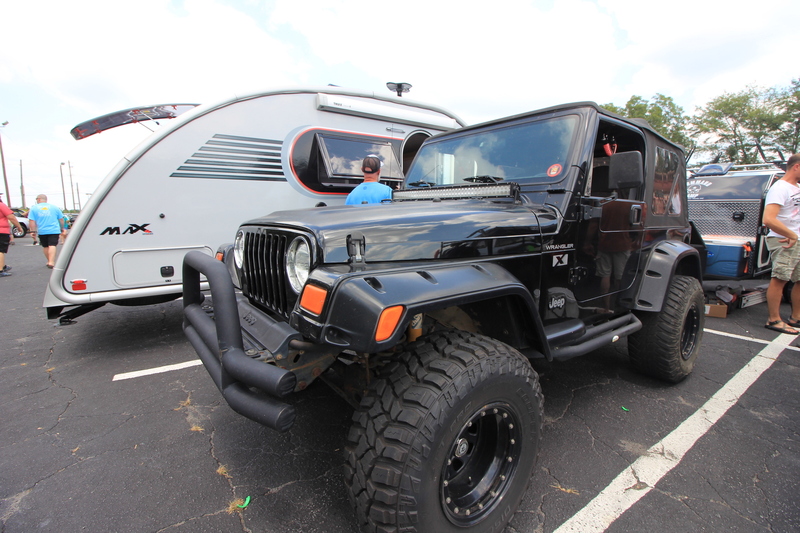 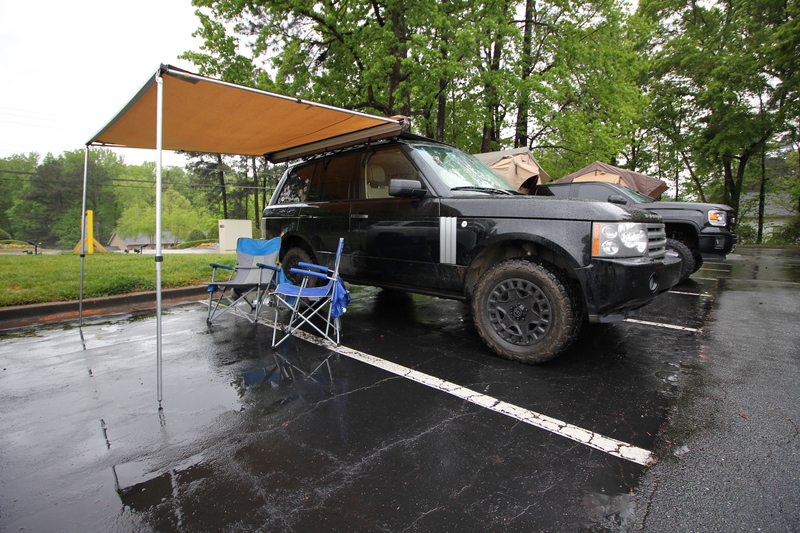 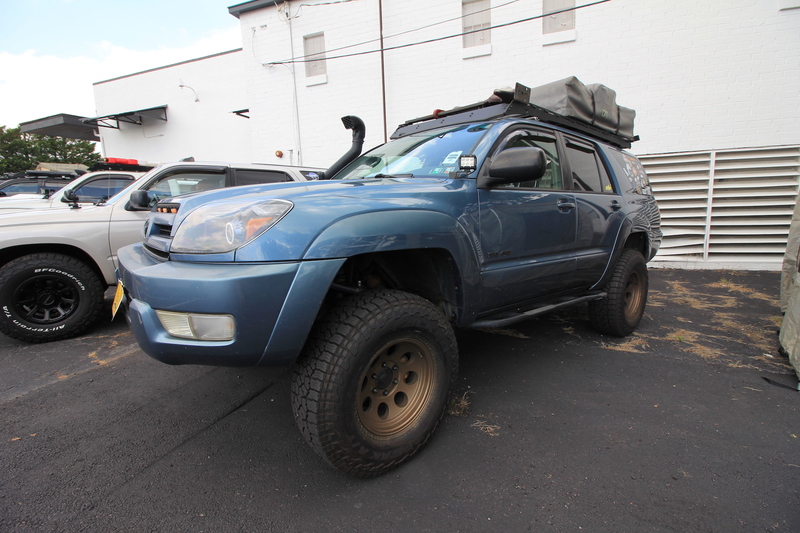 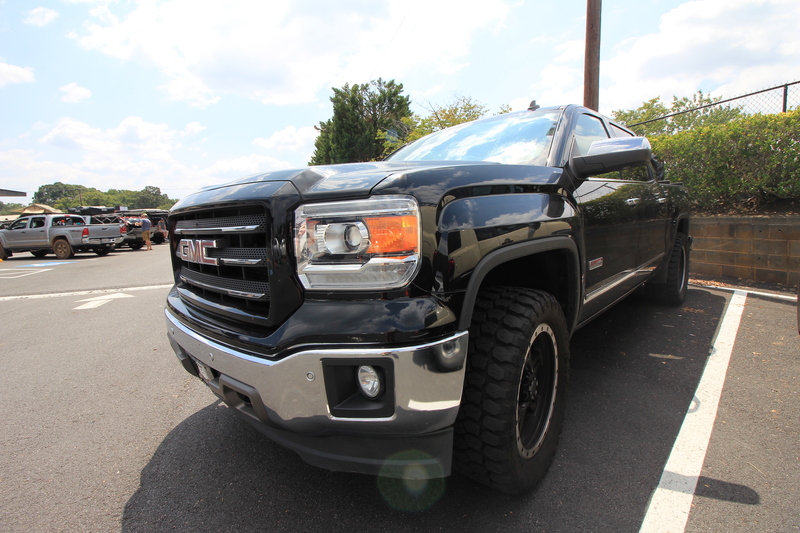 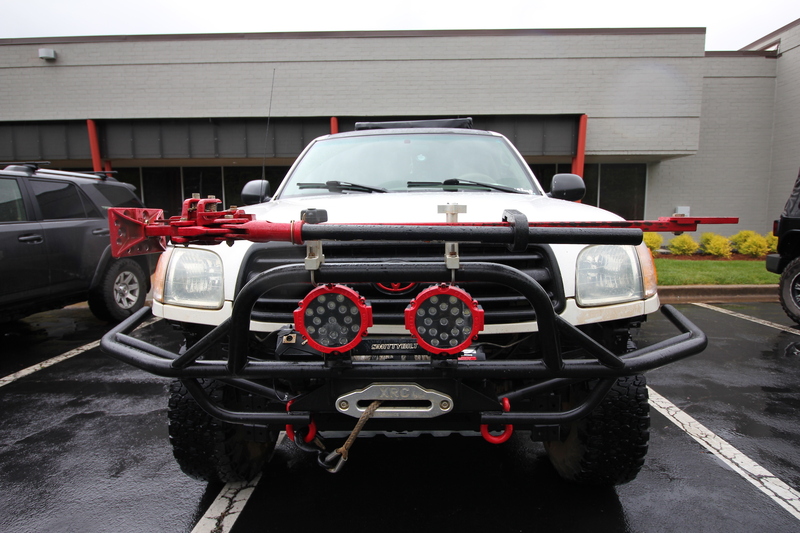 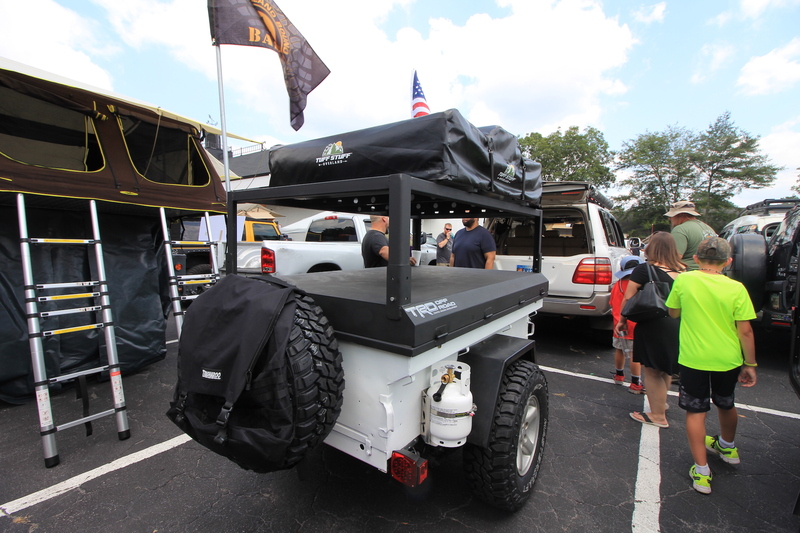 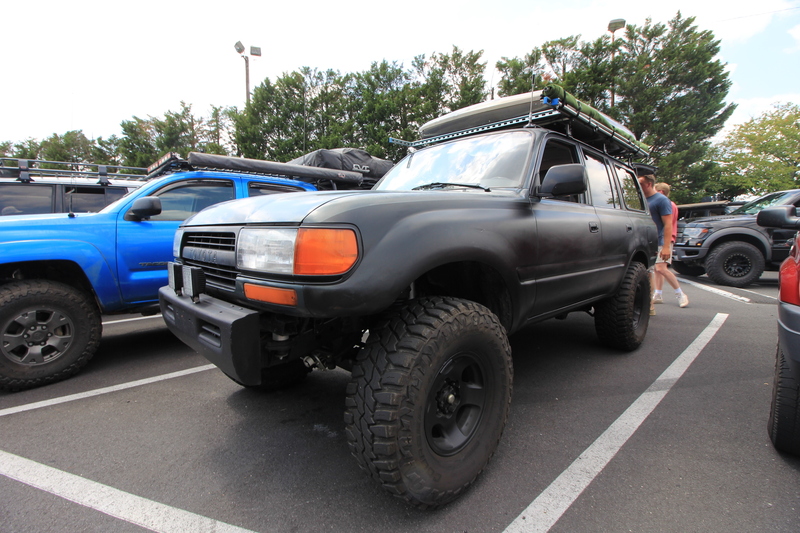 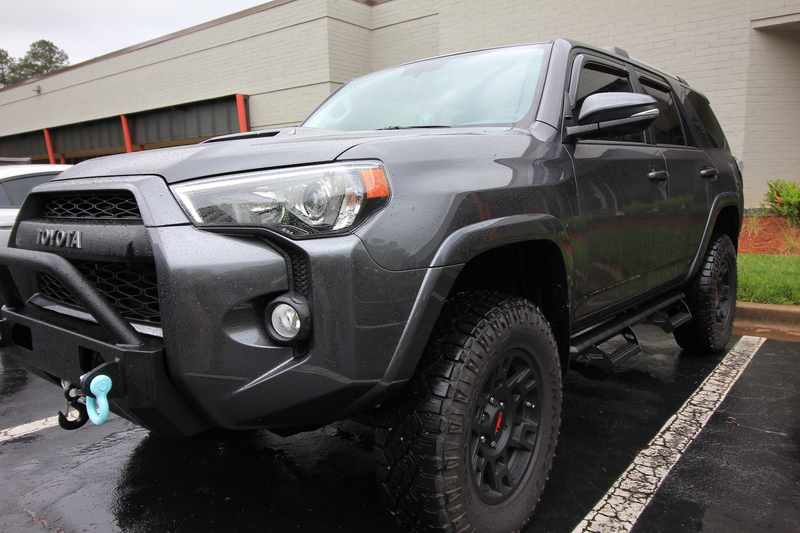 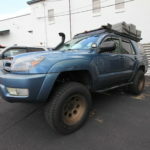 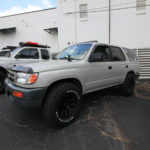 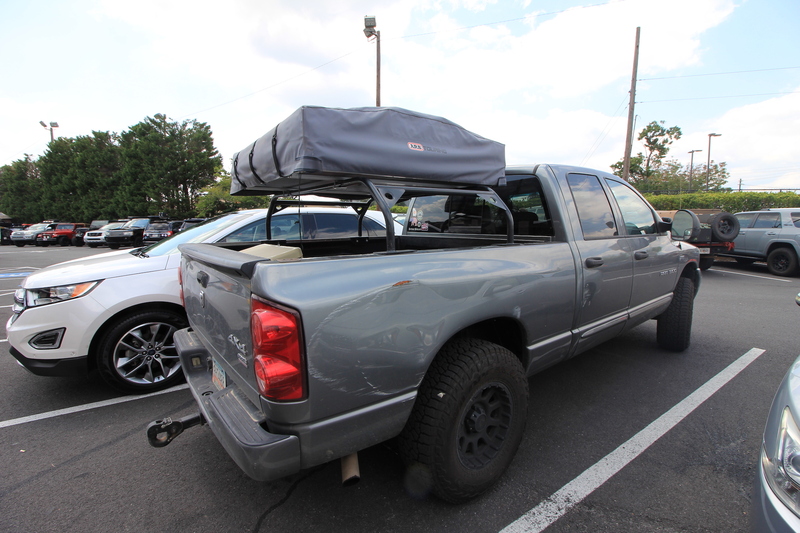 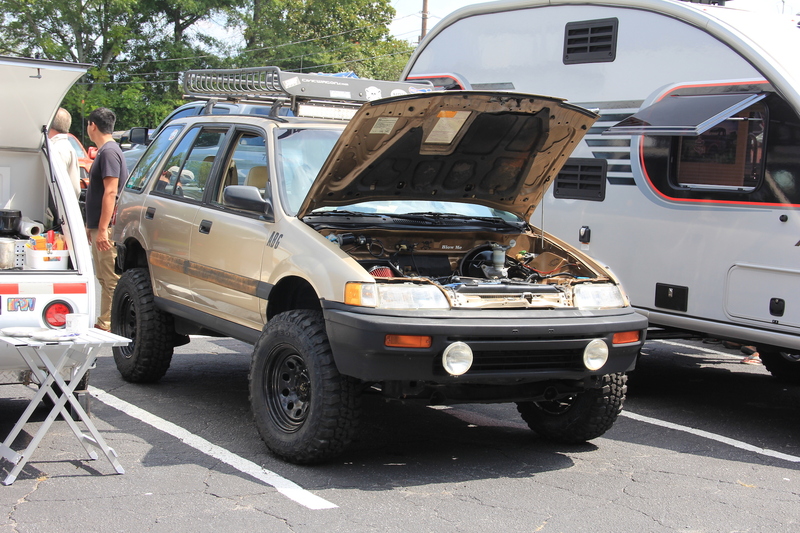 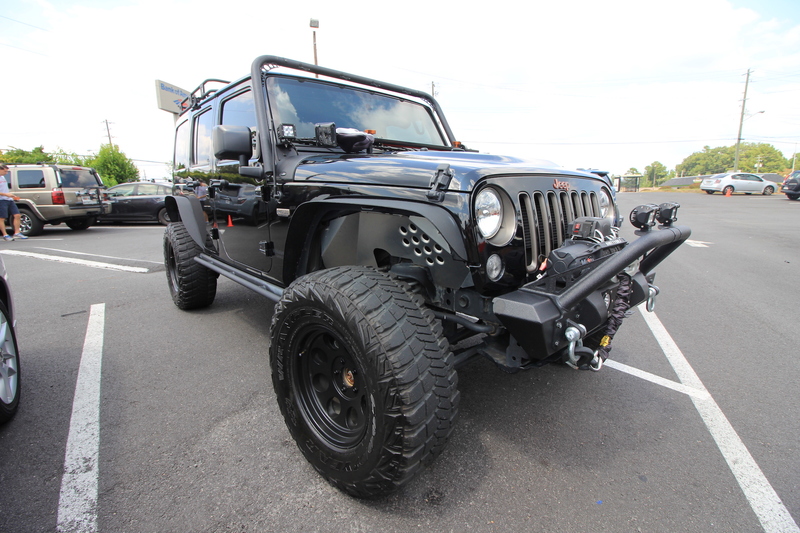 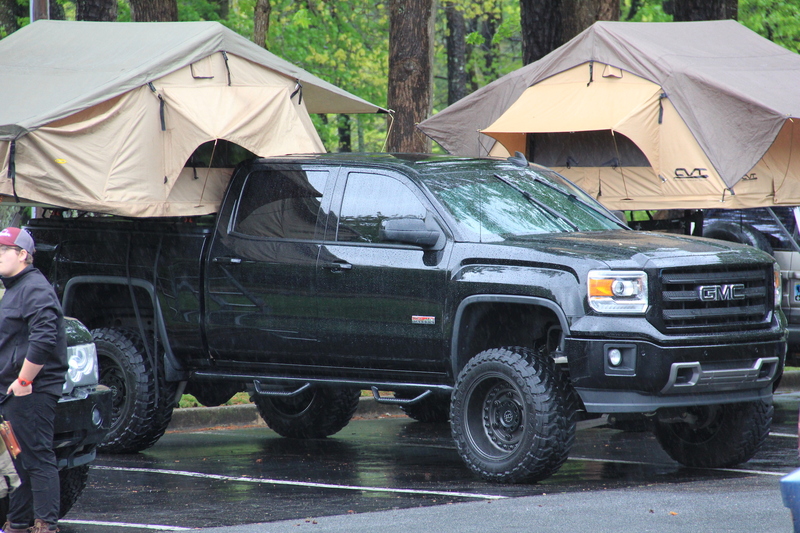 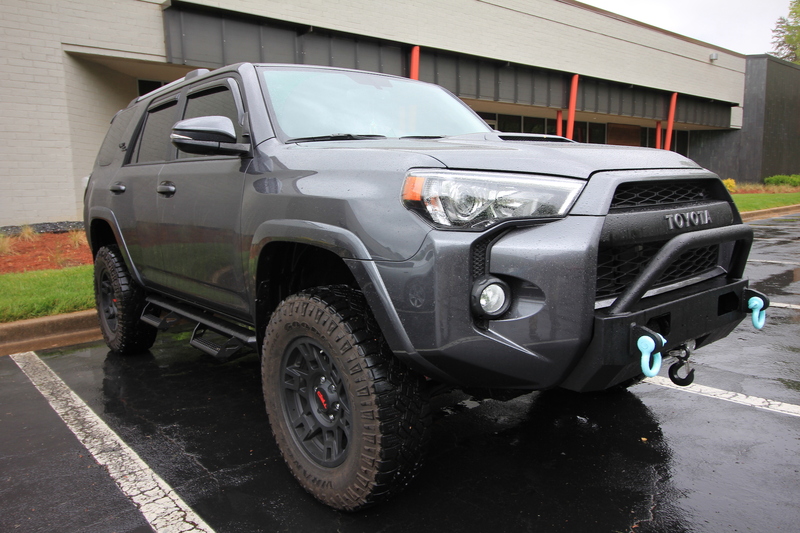 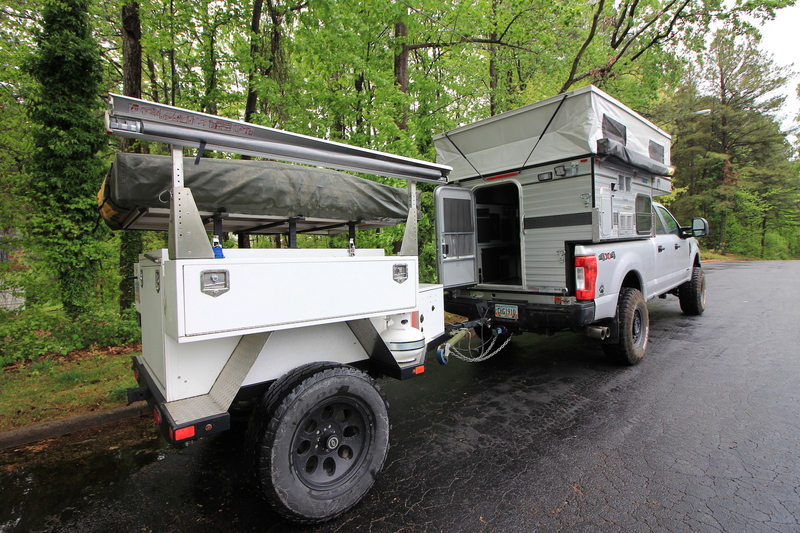 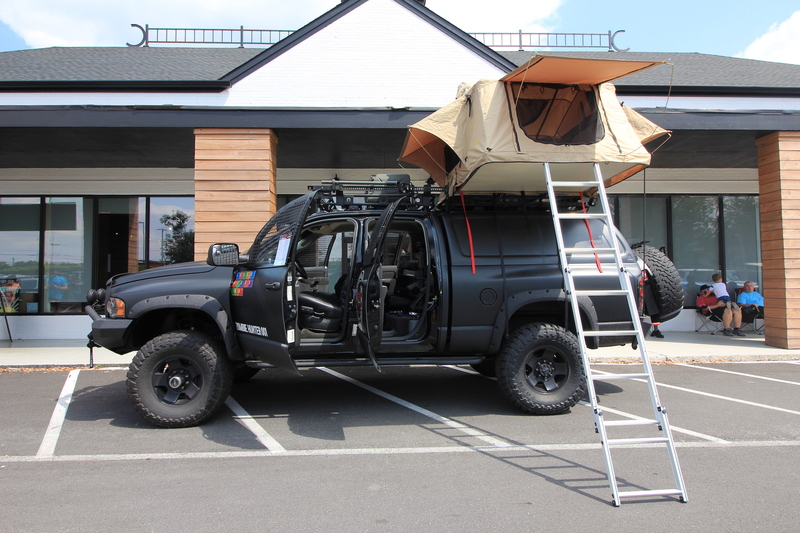 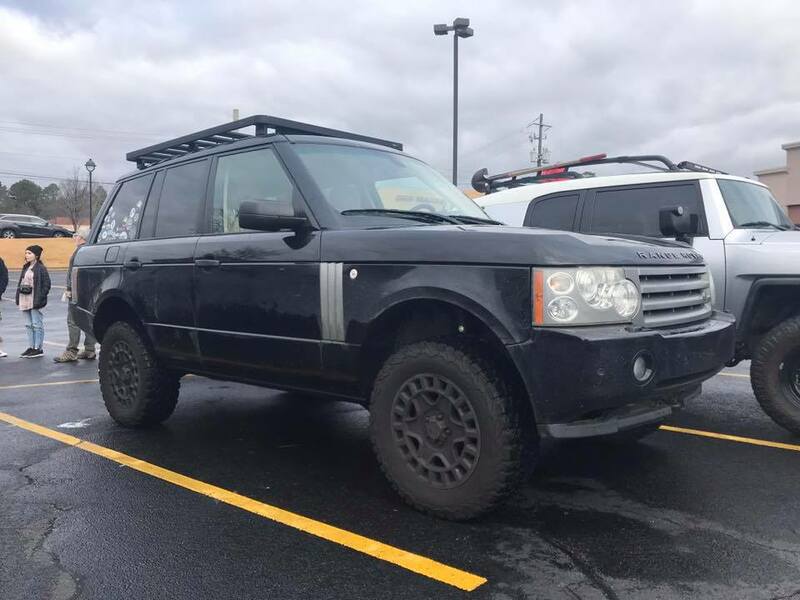 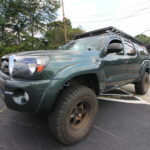 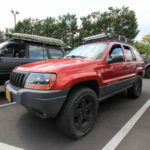 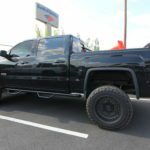 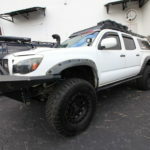 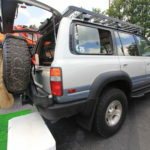 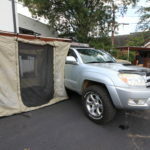 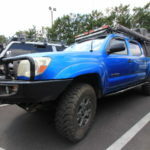 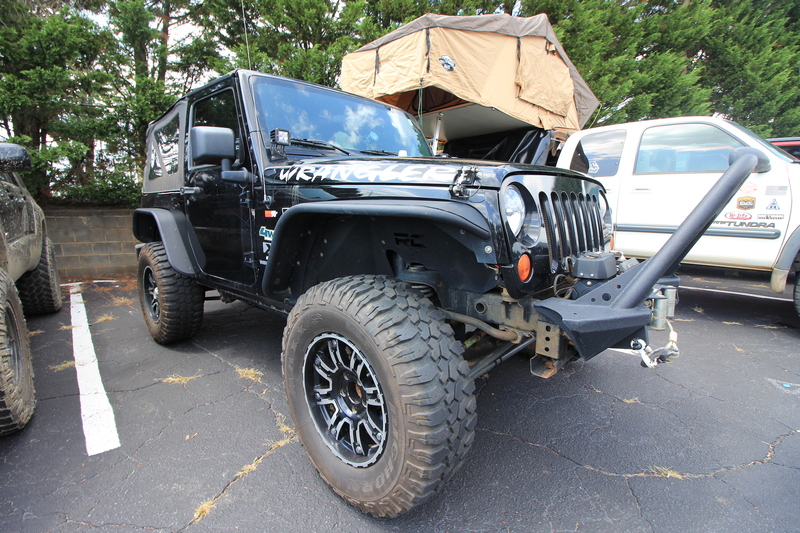 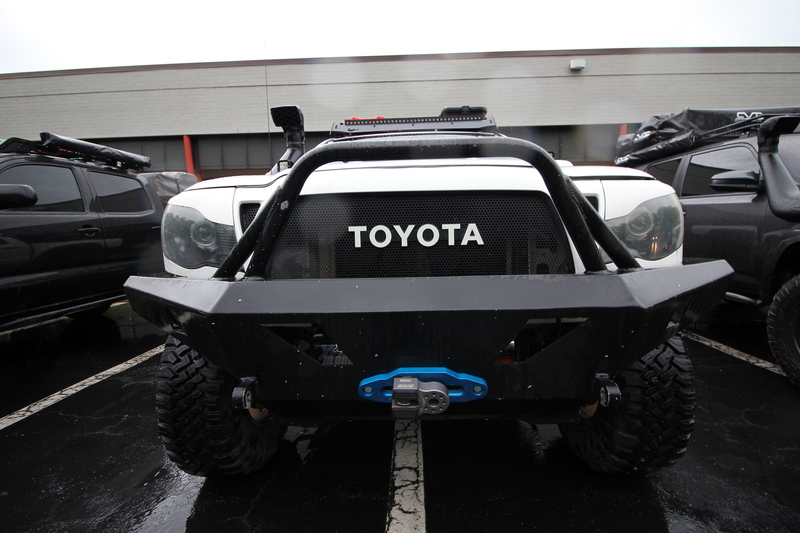 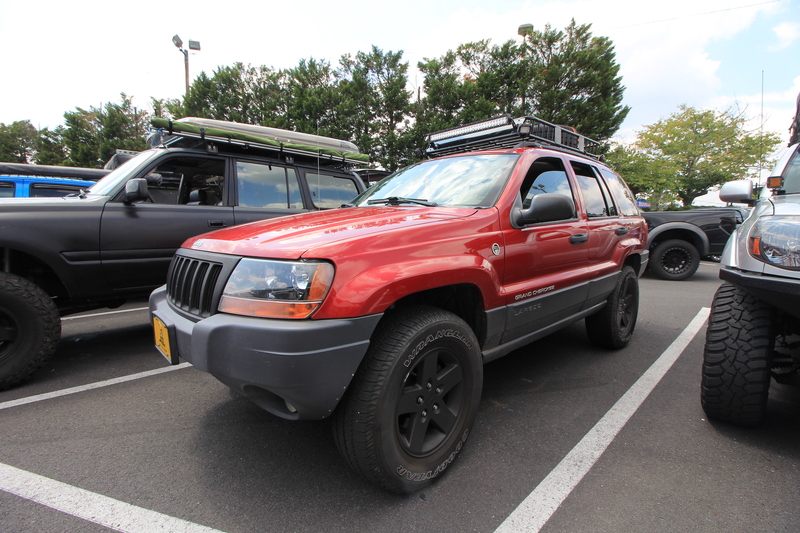 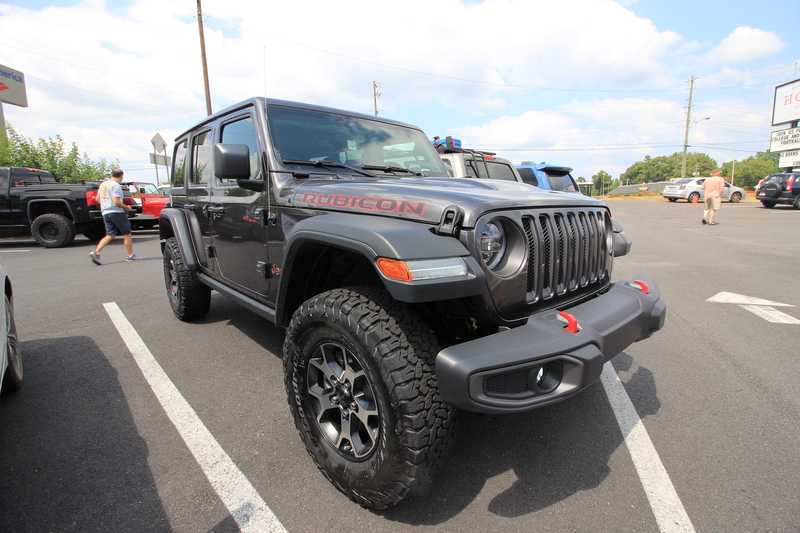 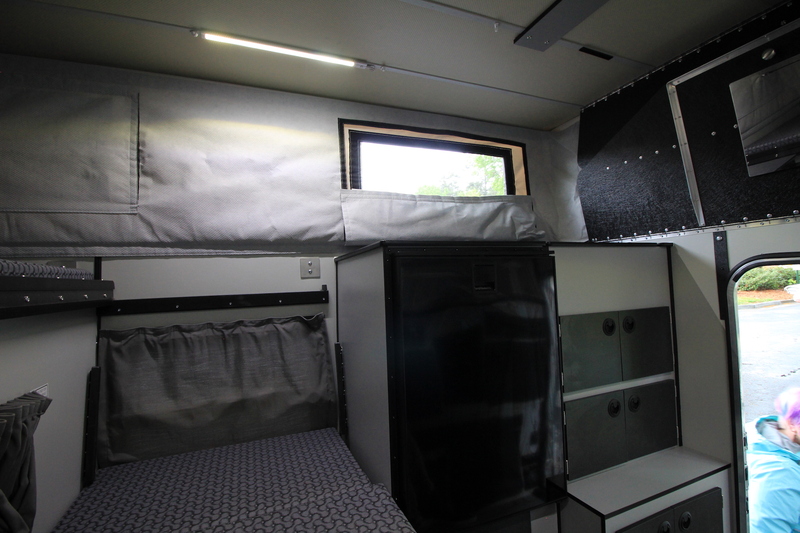 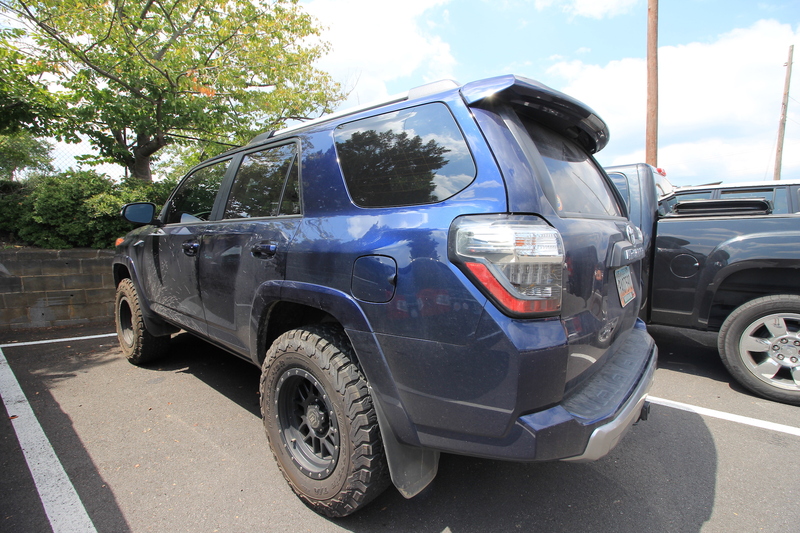 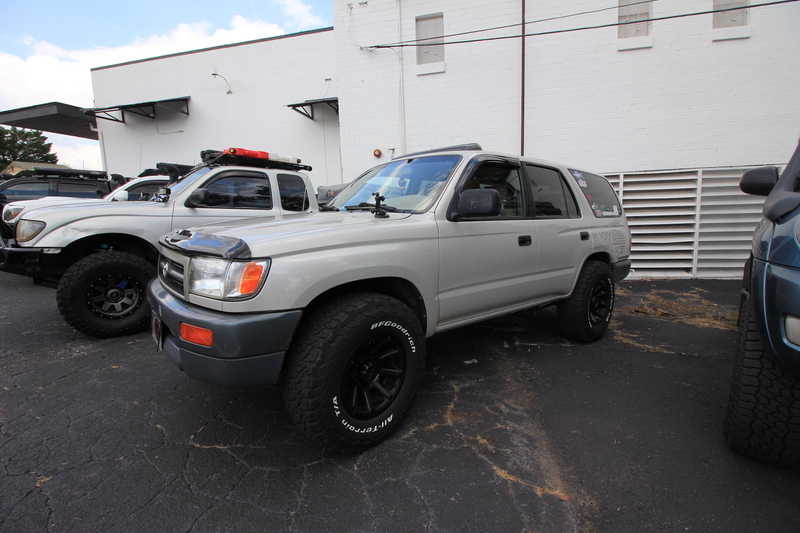 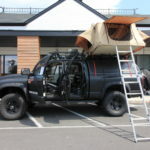 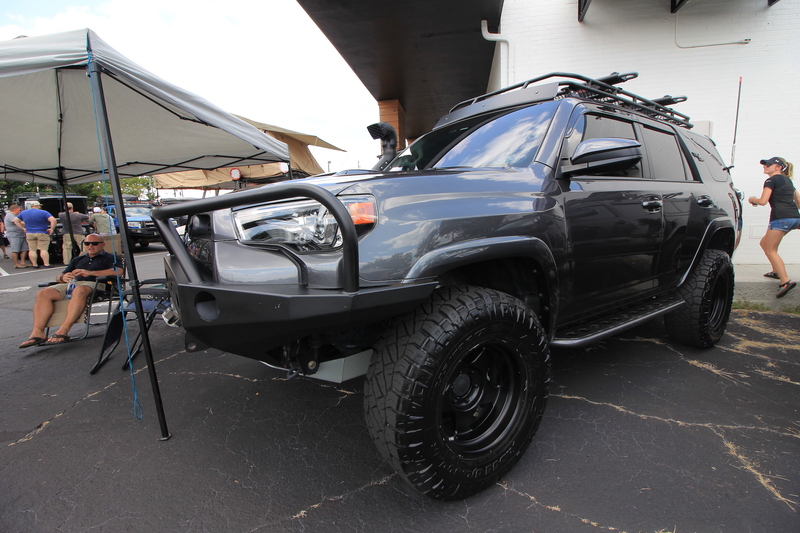 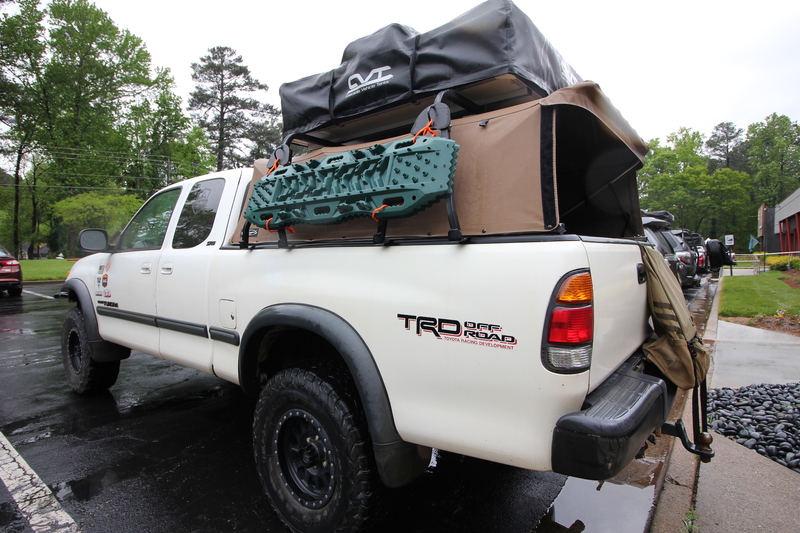 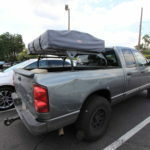 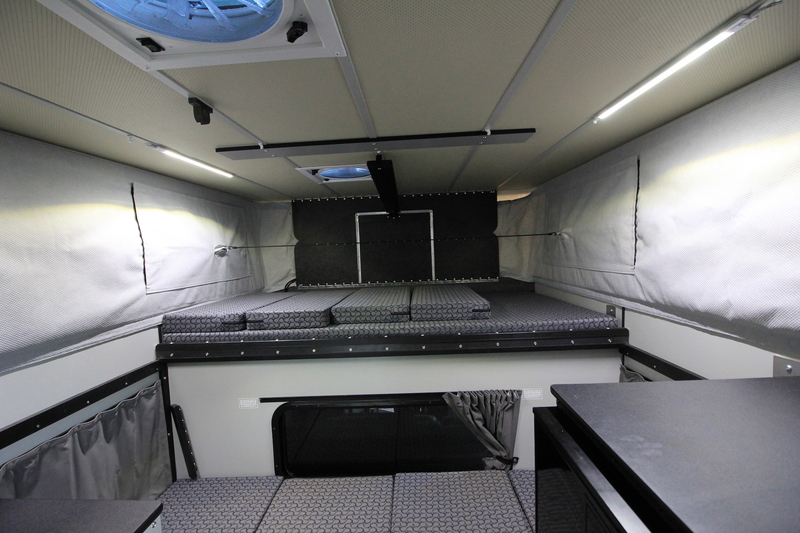 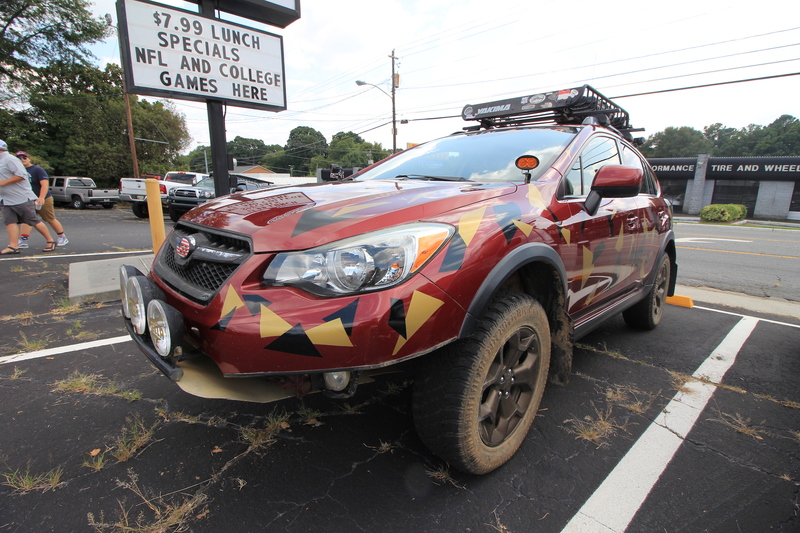 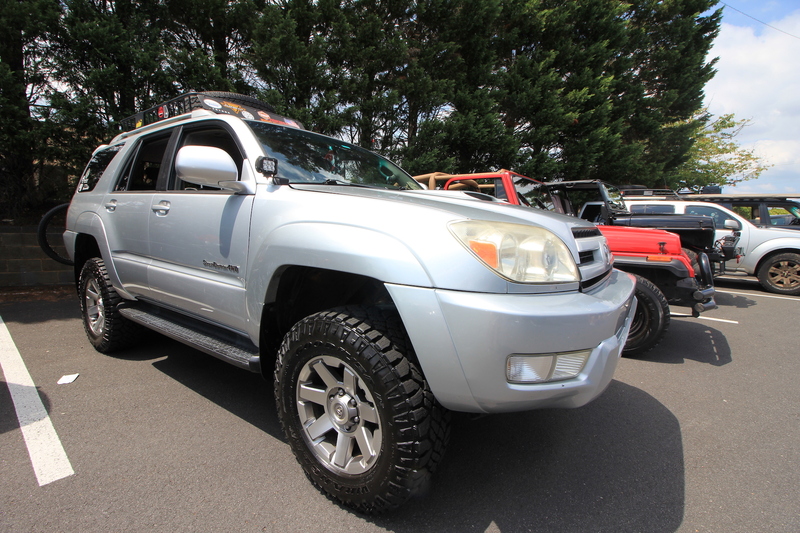 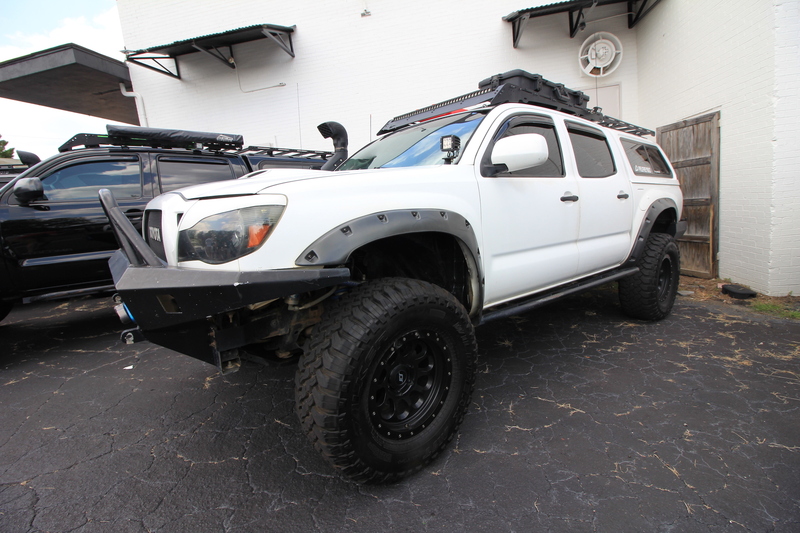 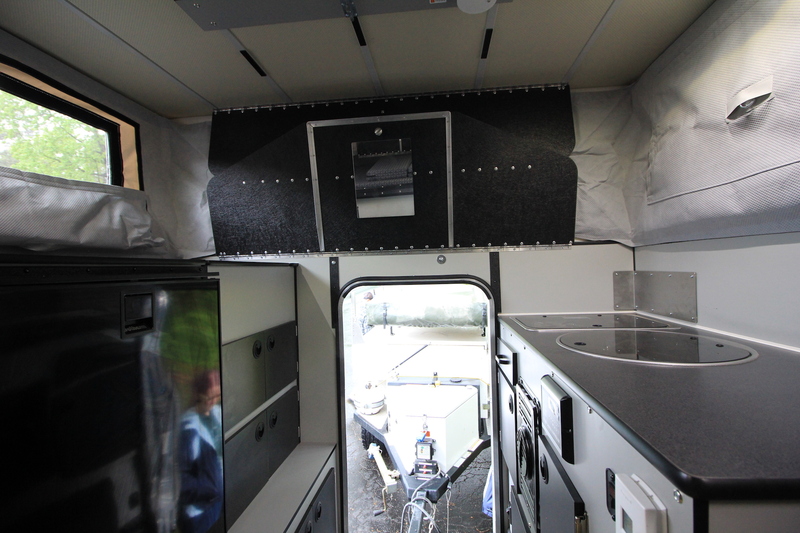 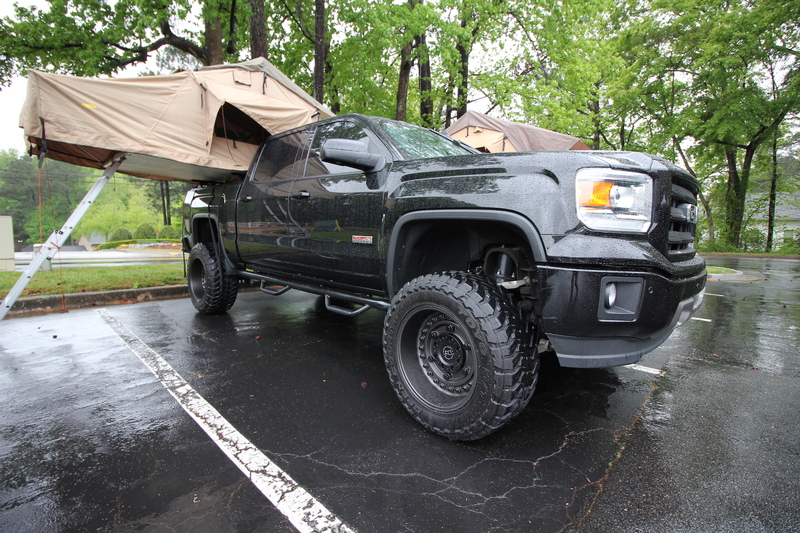 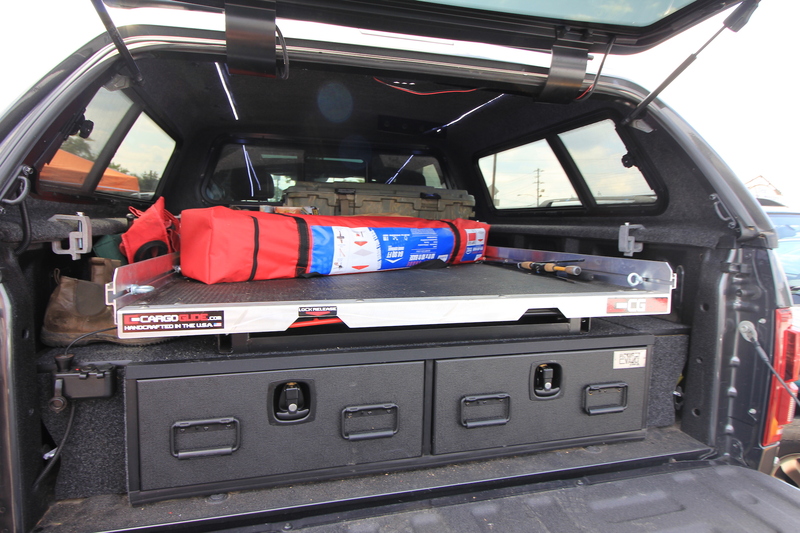 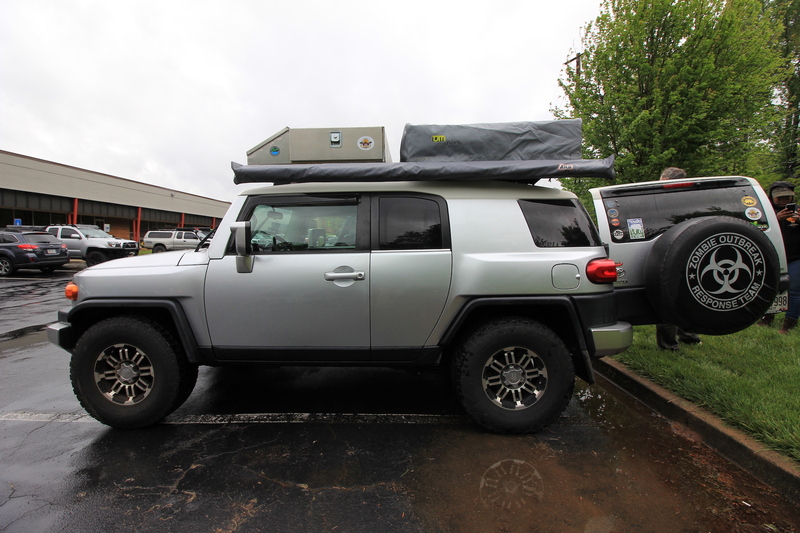 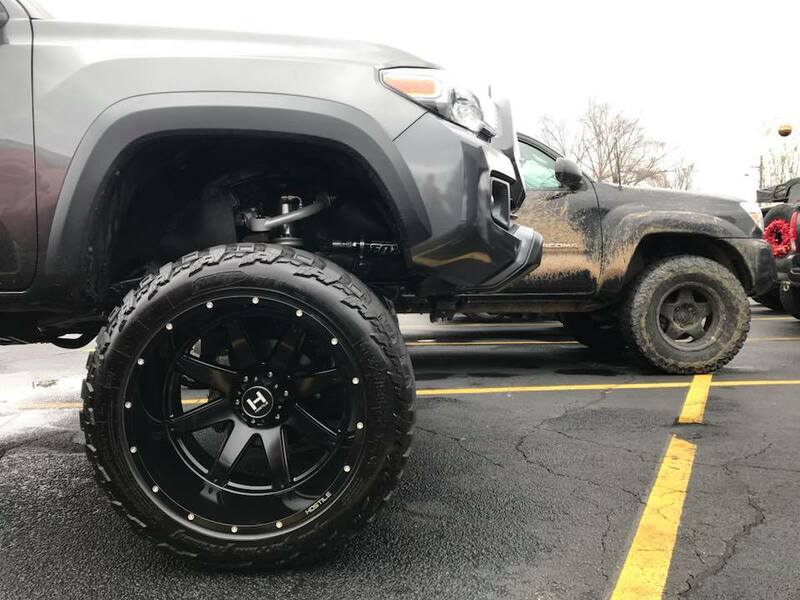 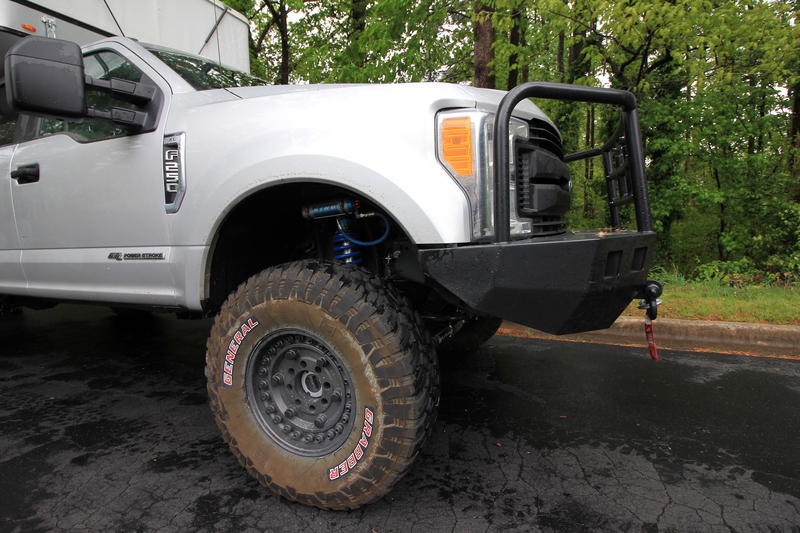 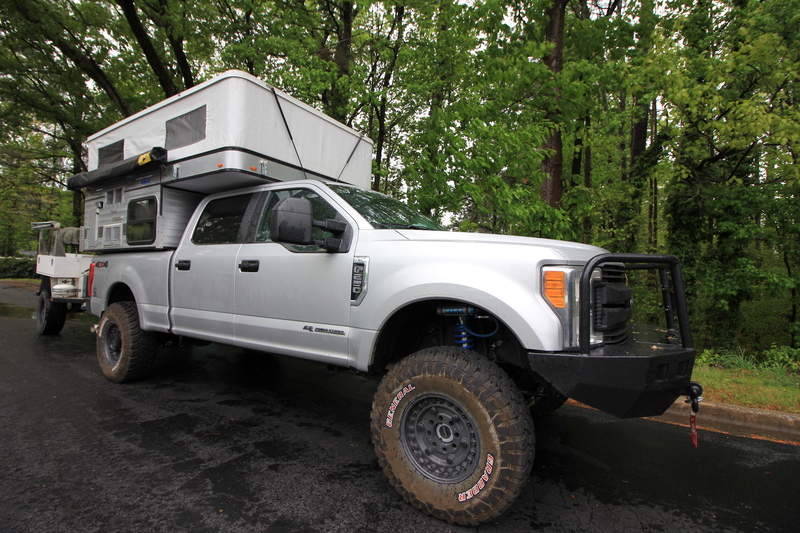 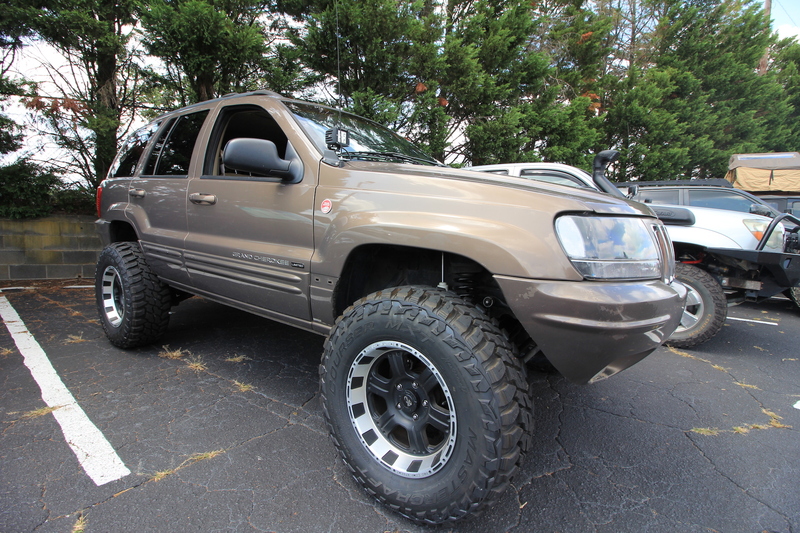 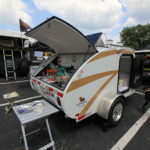 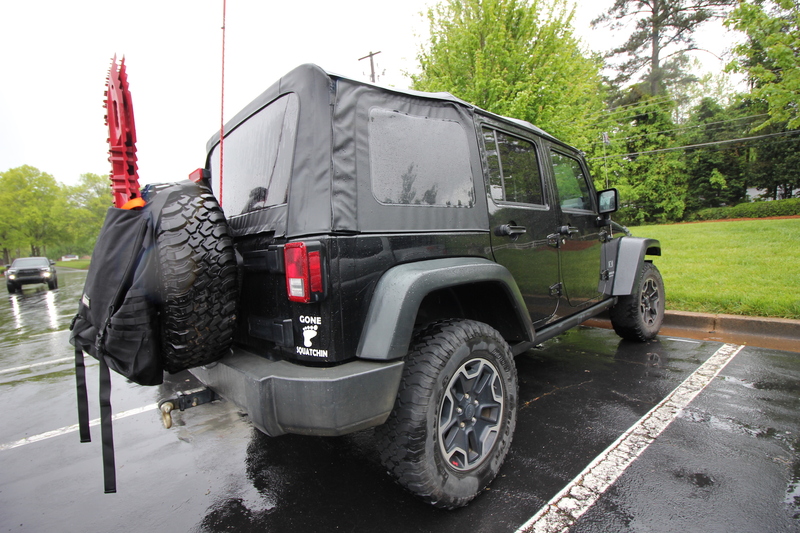 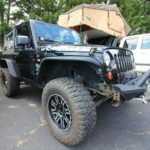 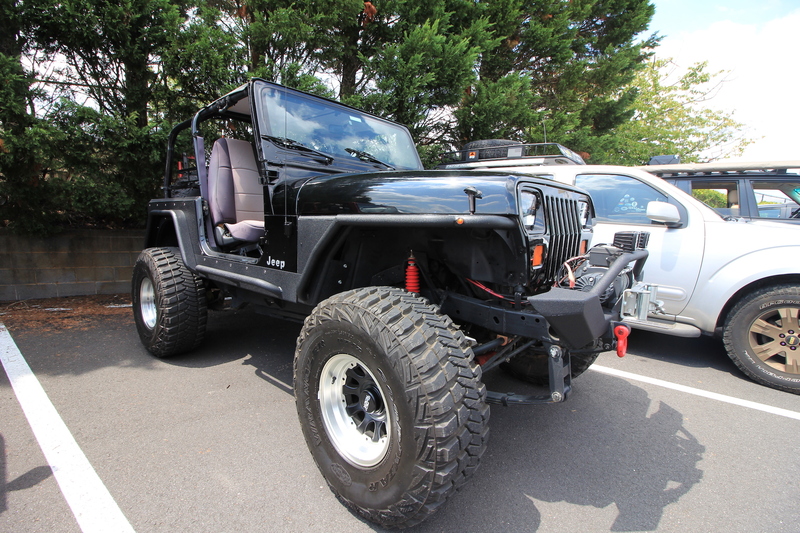 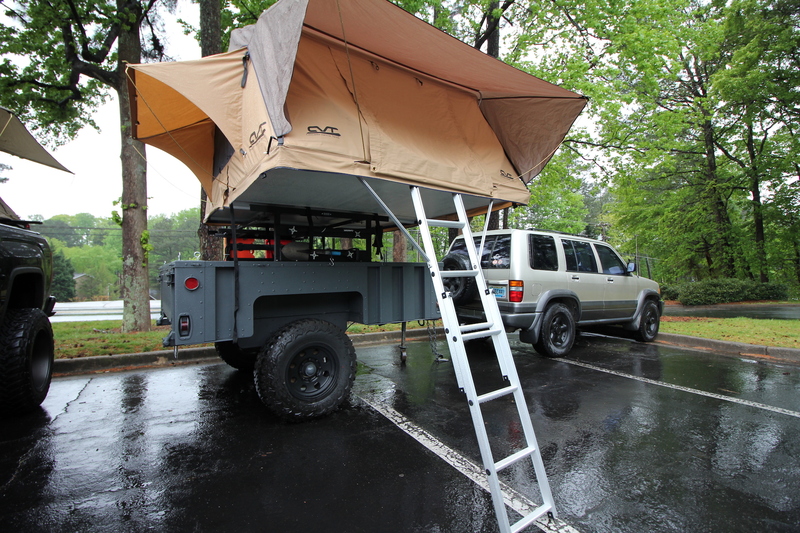 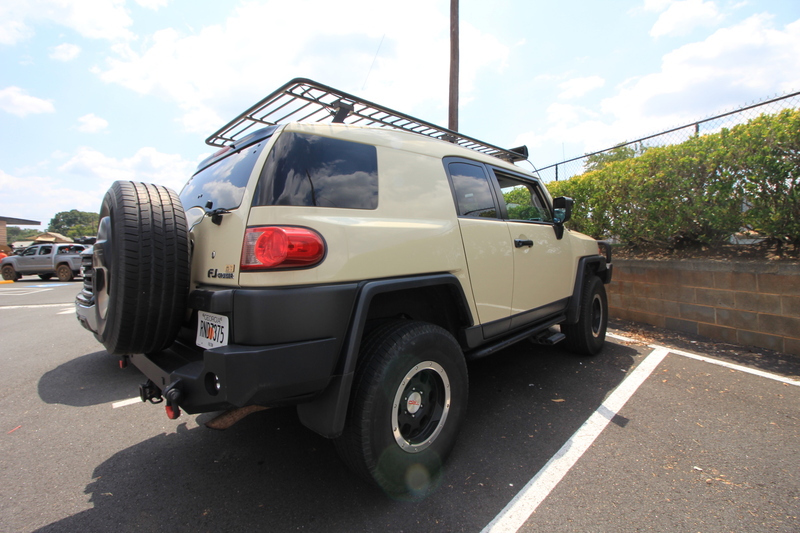 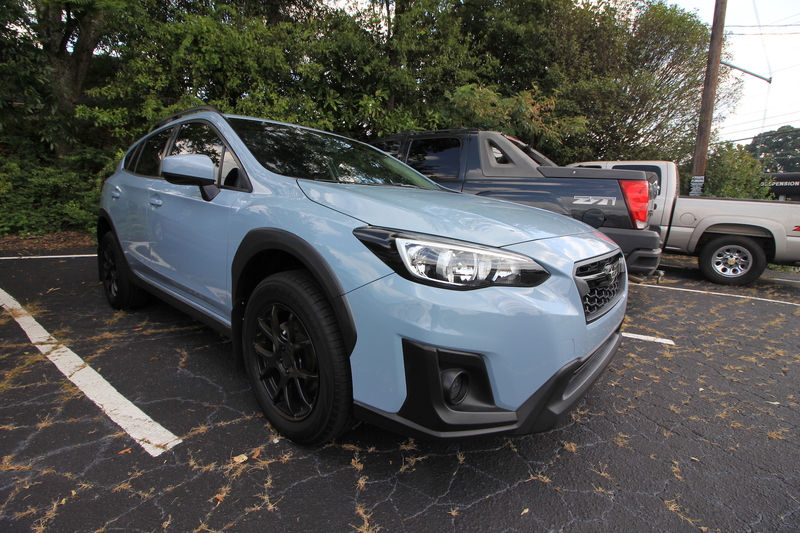 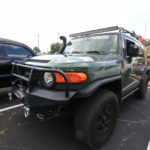 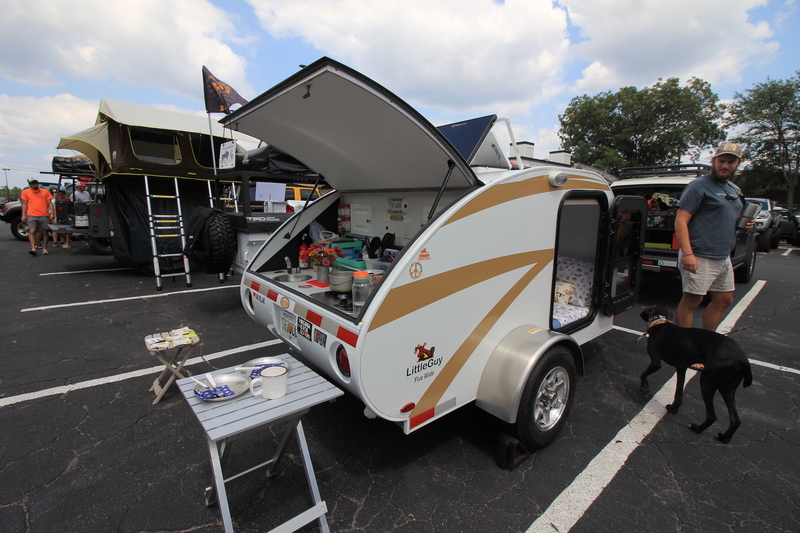 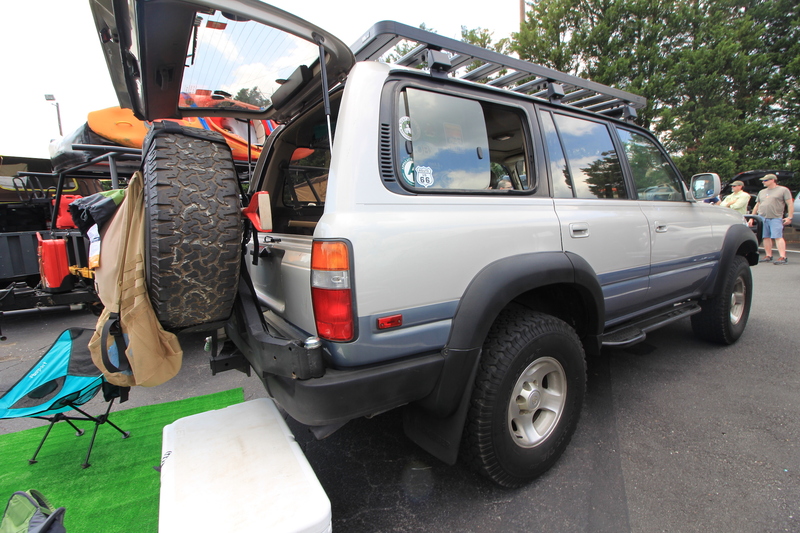 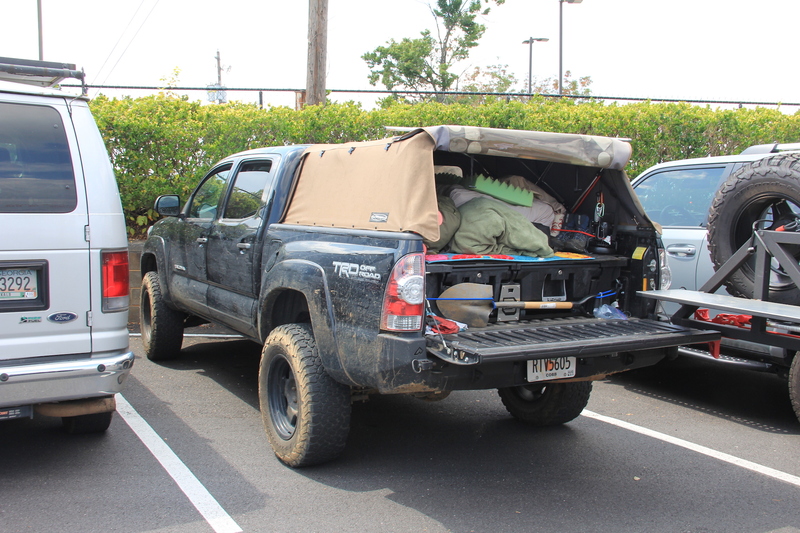 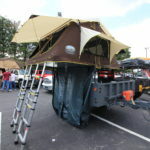 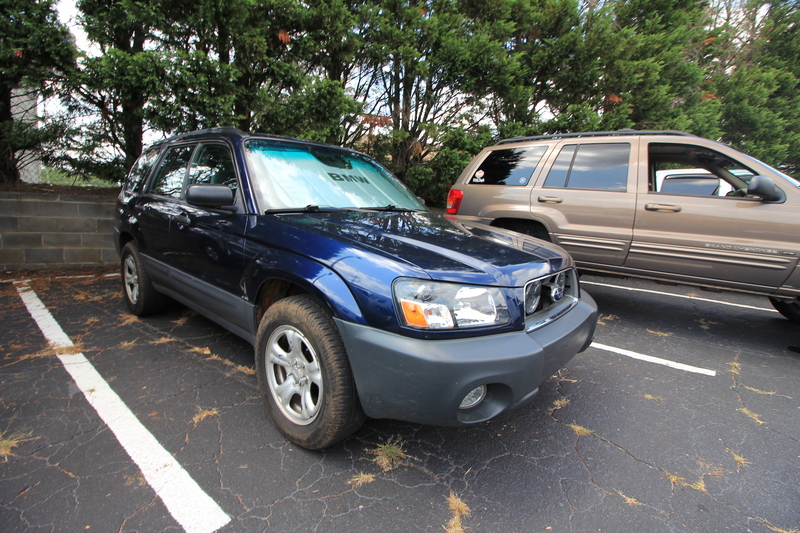 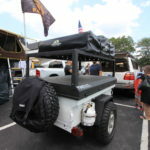 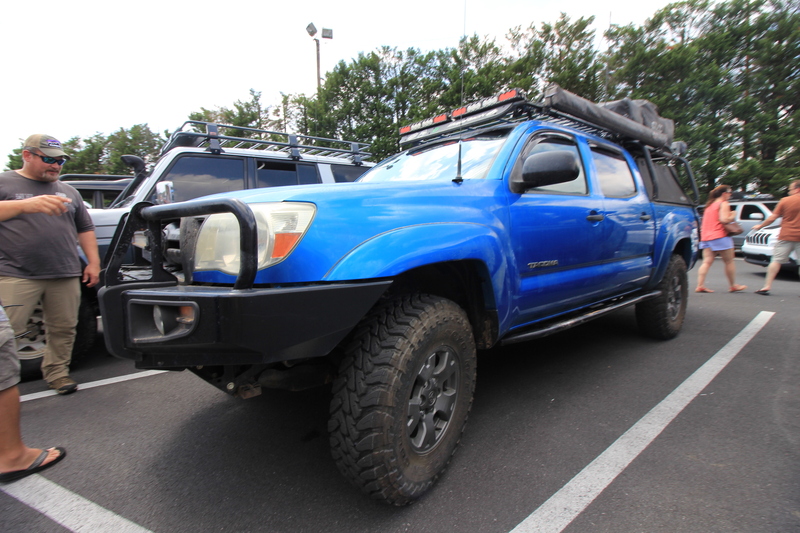 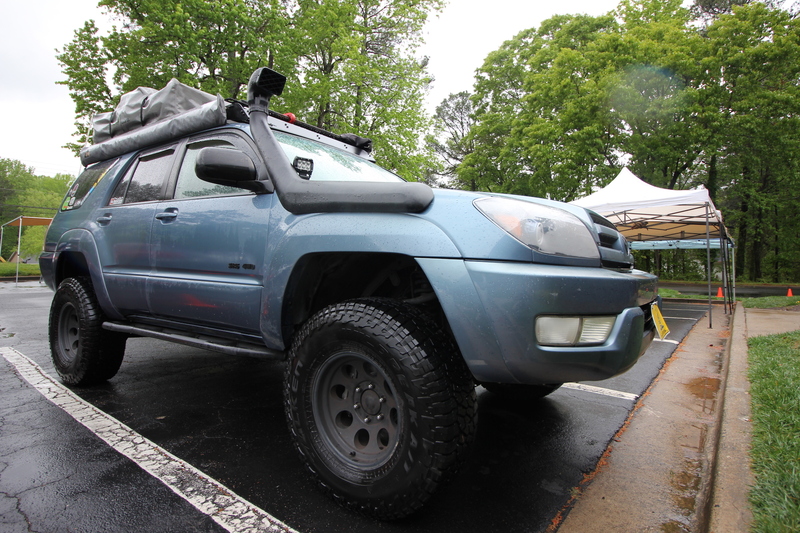 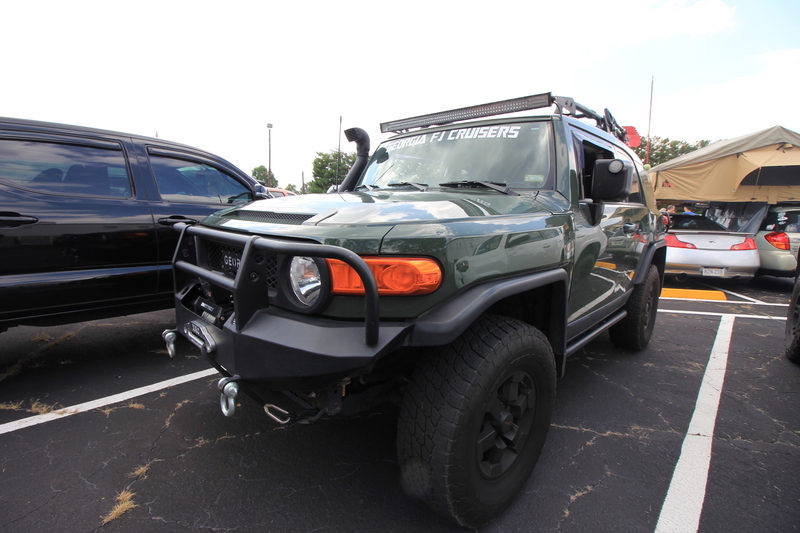 Tents and Tires is our version of Cars & Coffee – but for adventure vehicles! 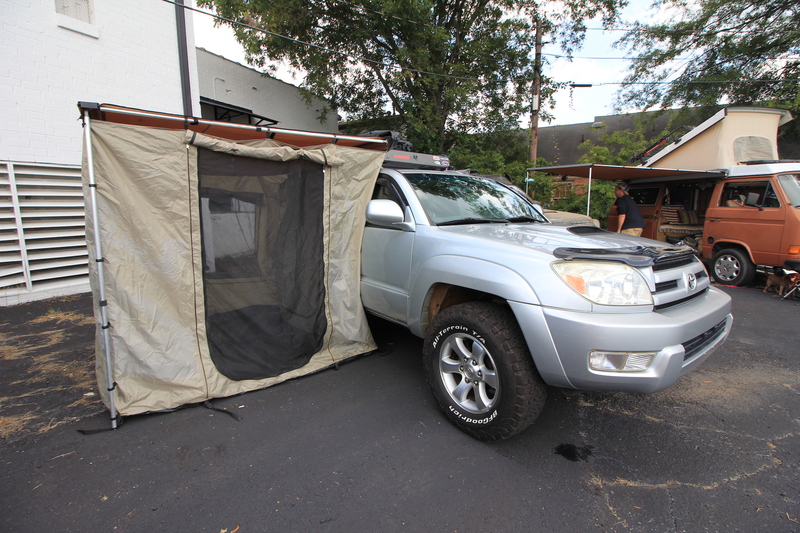 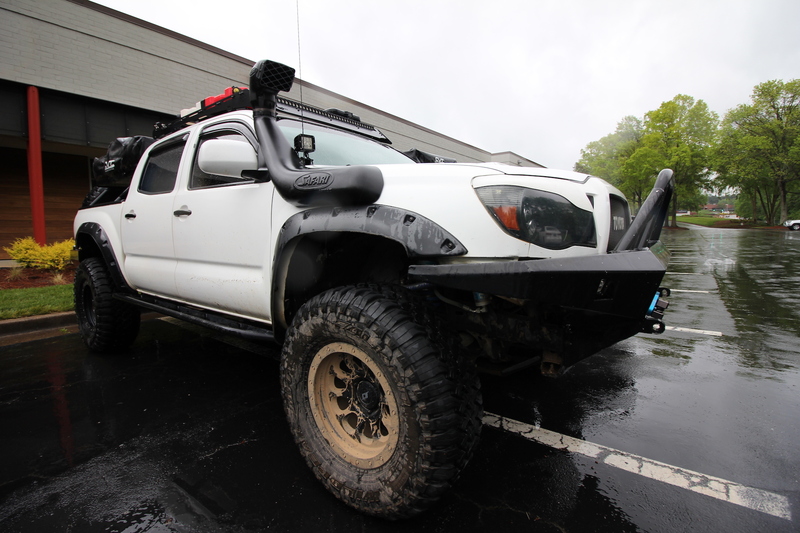 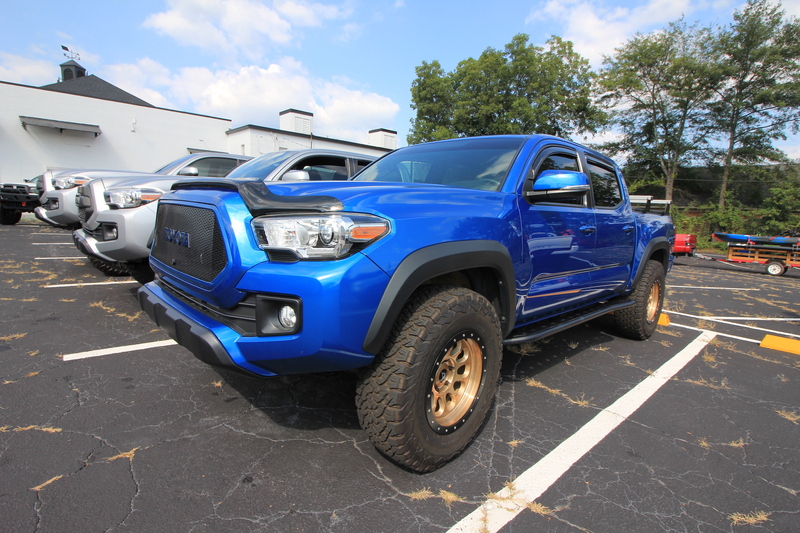 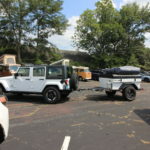 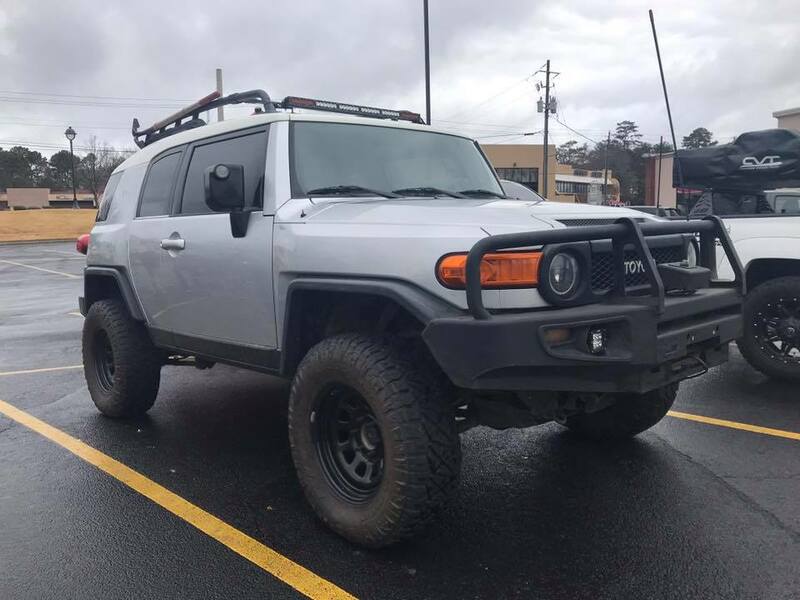 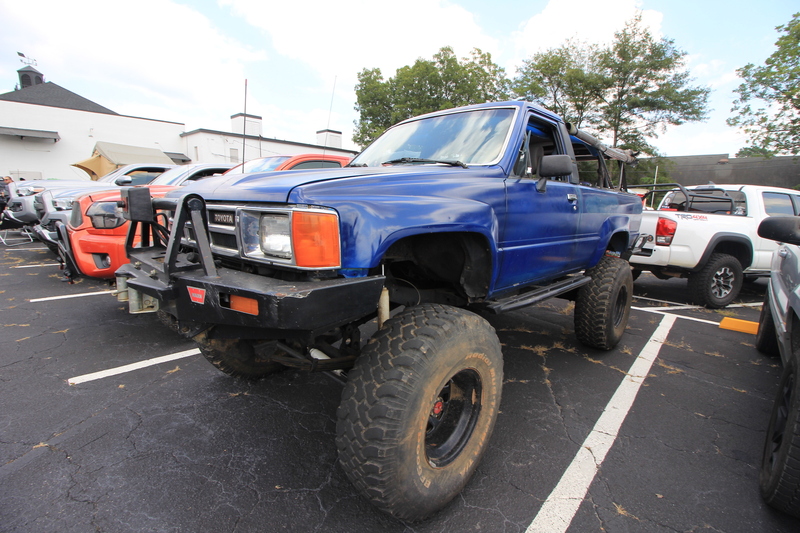 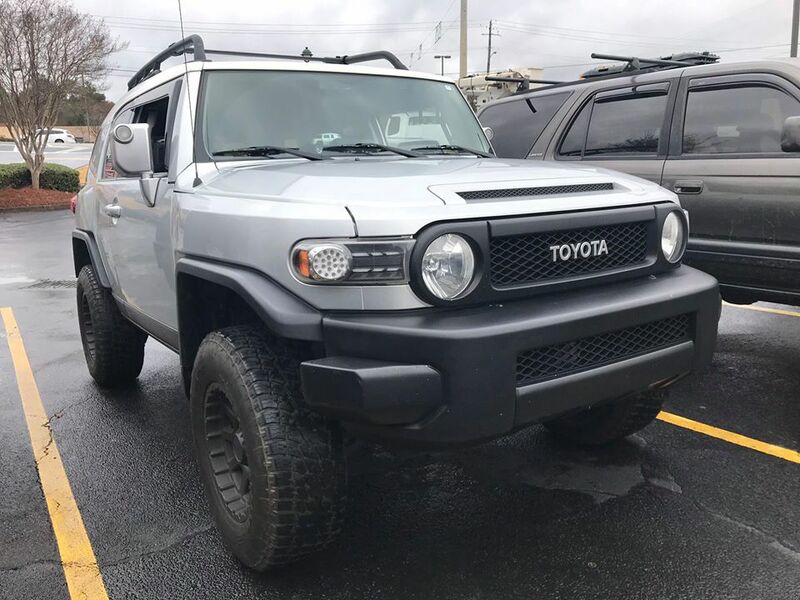 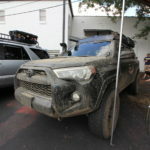 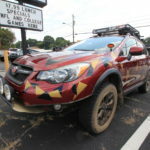 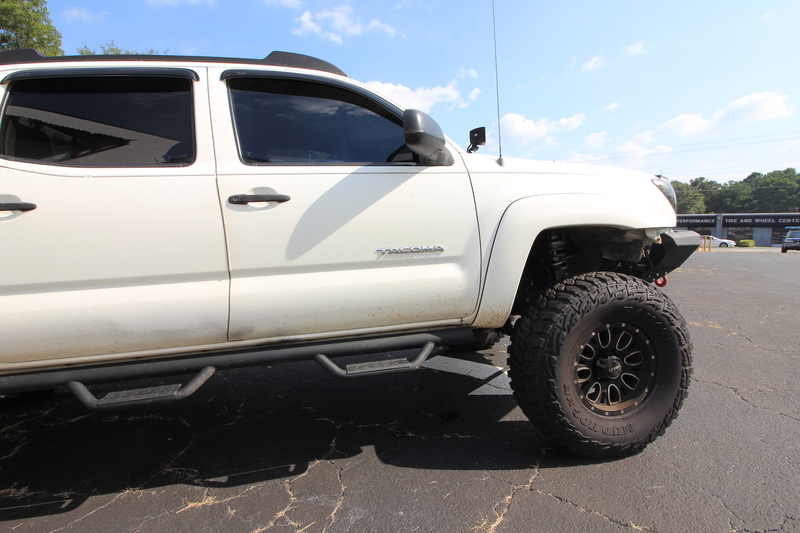 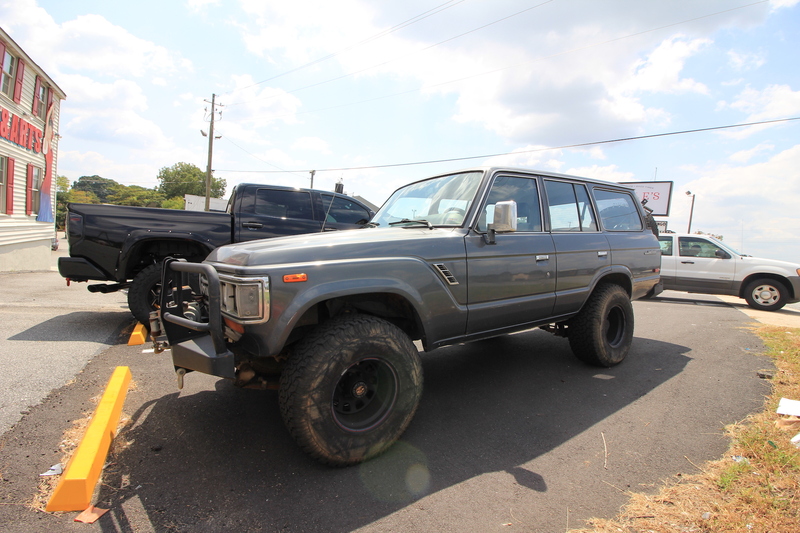 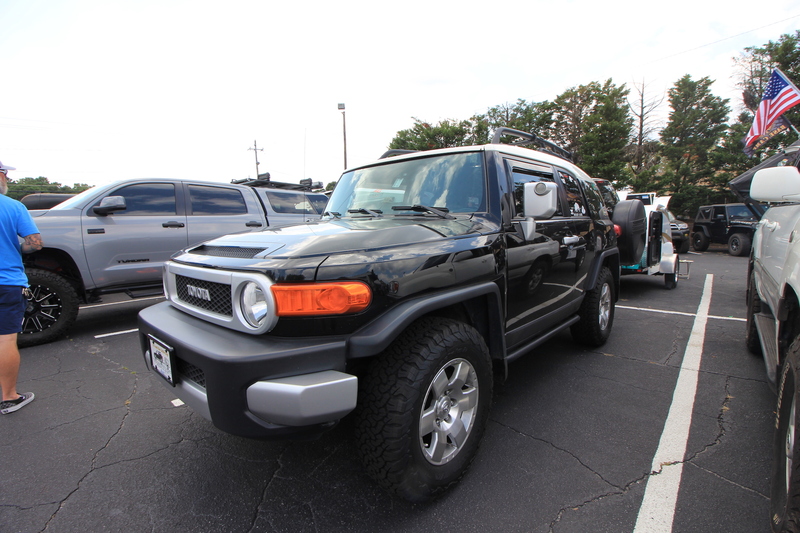 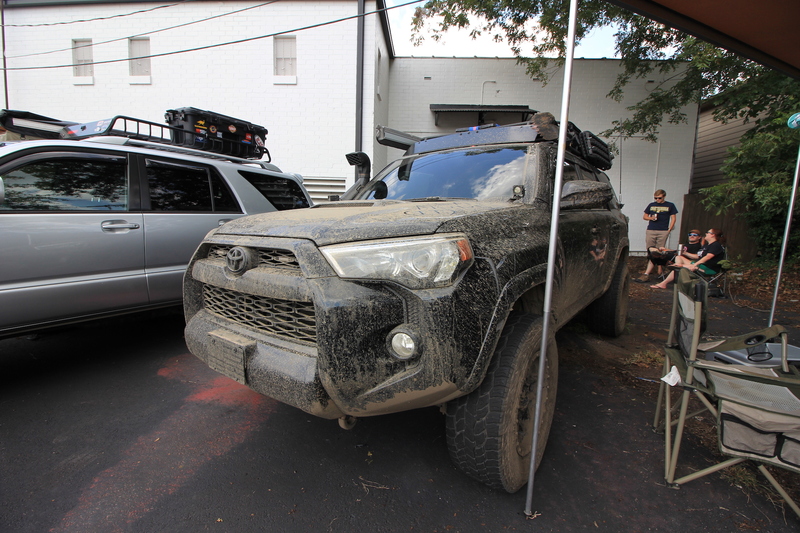 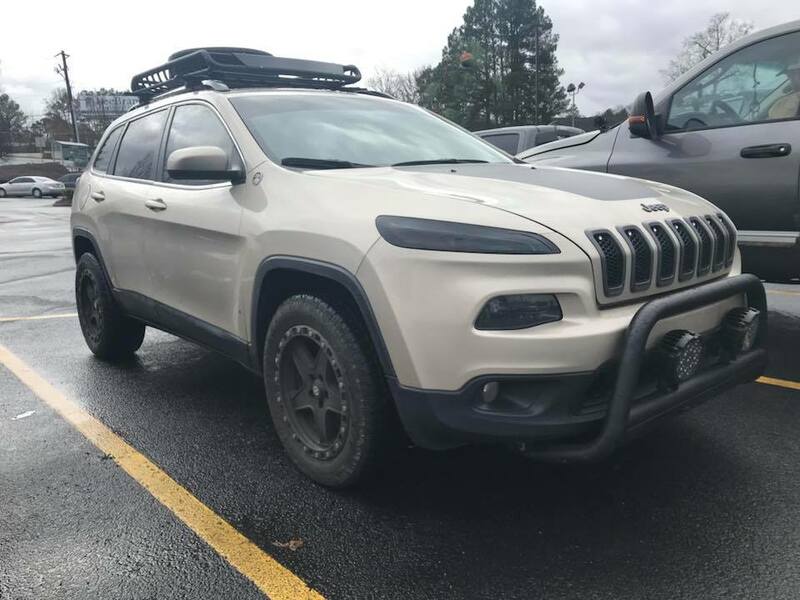 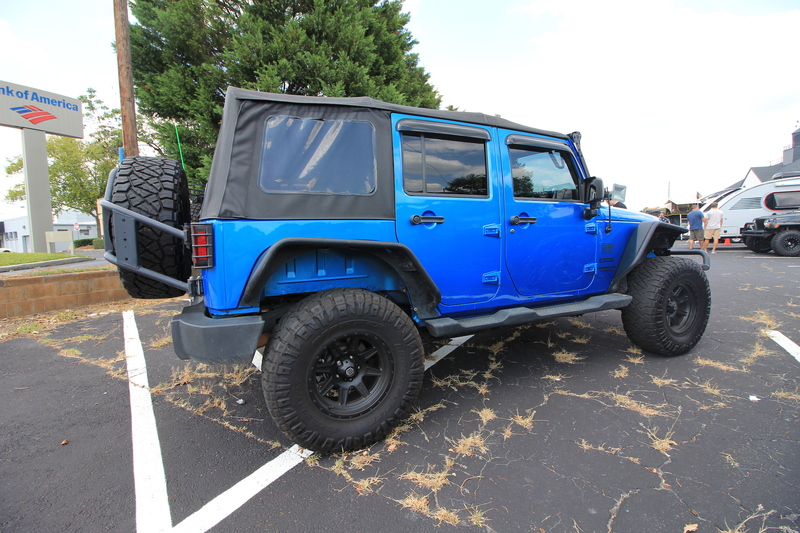 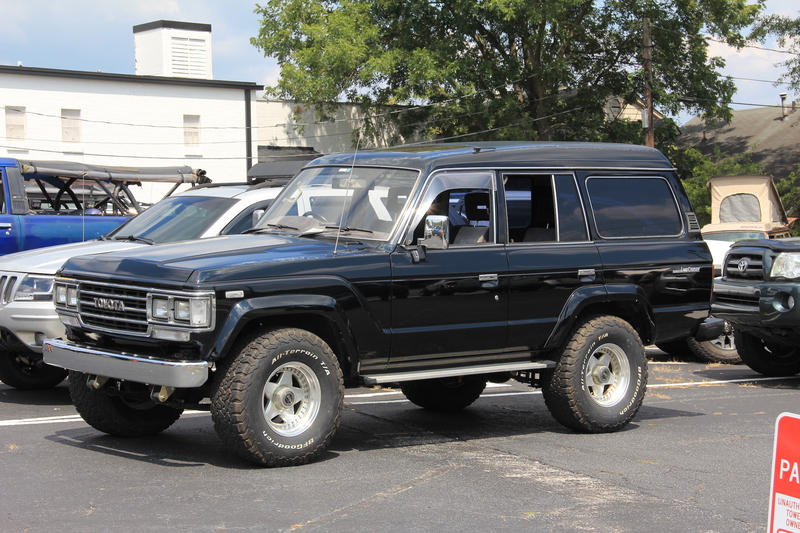 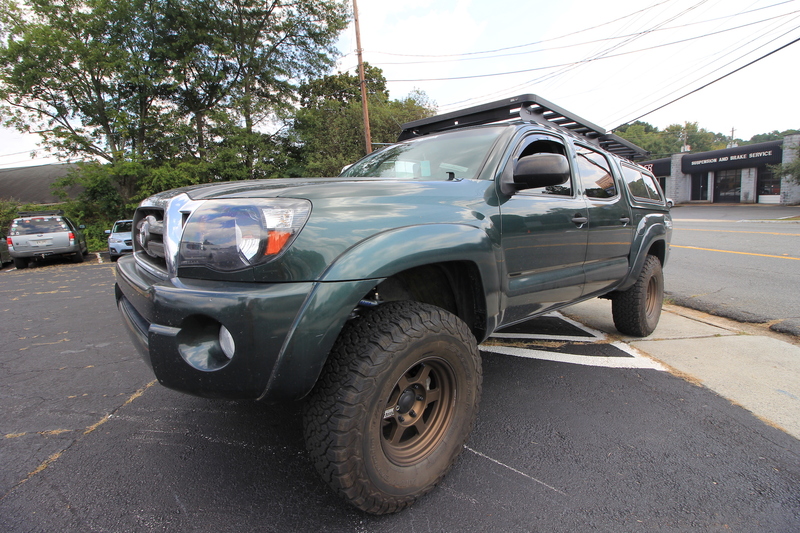 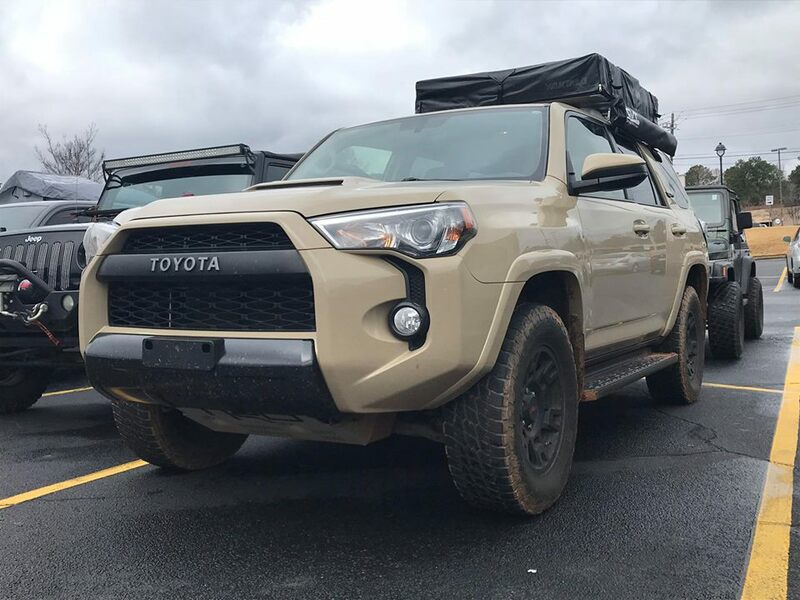 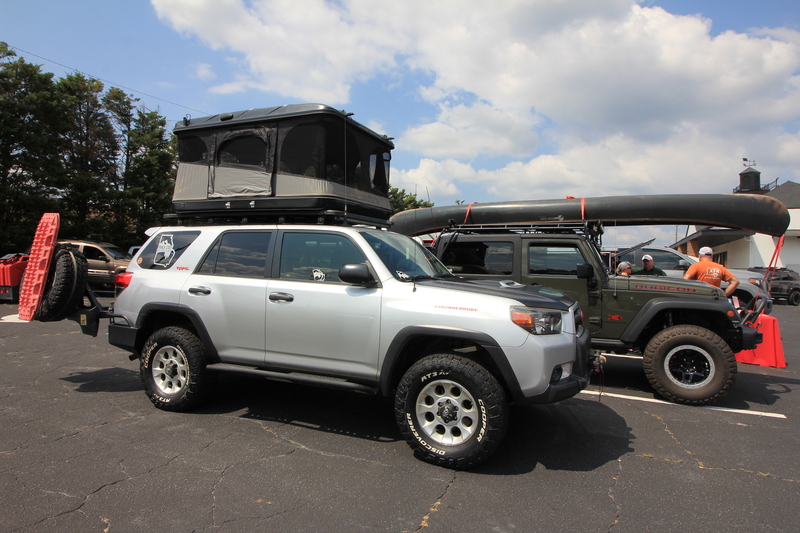 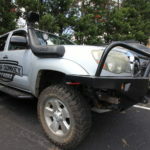 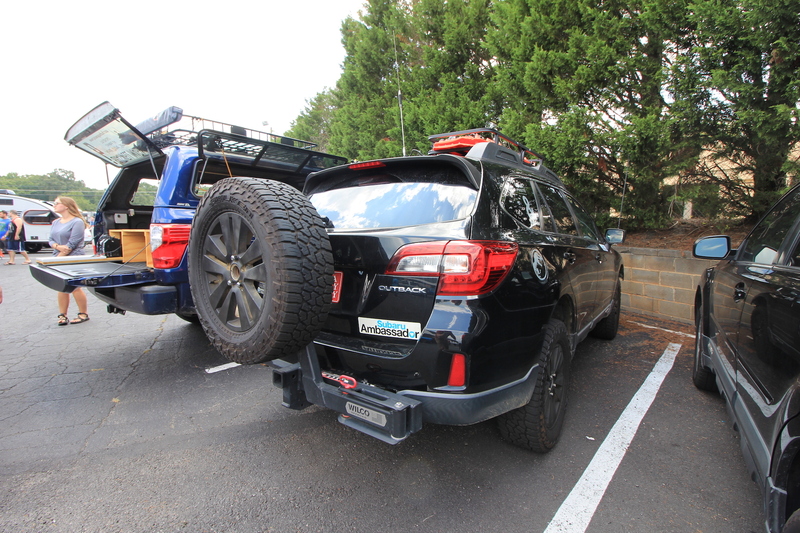 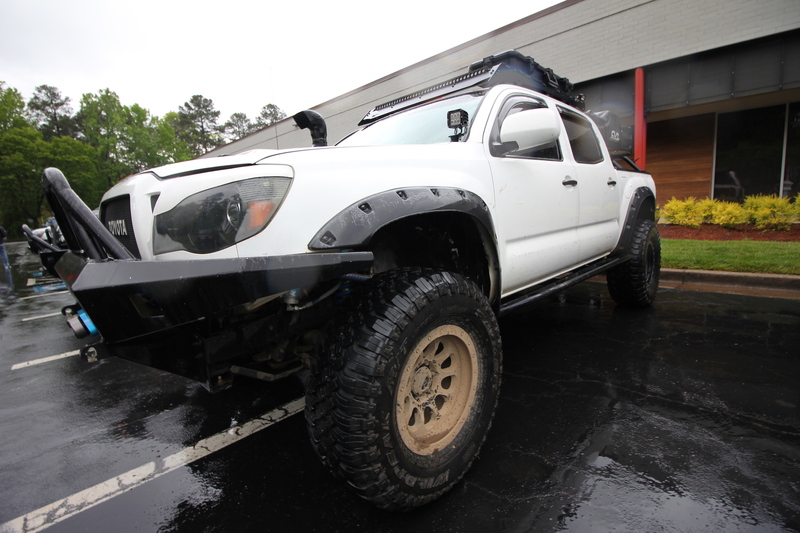 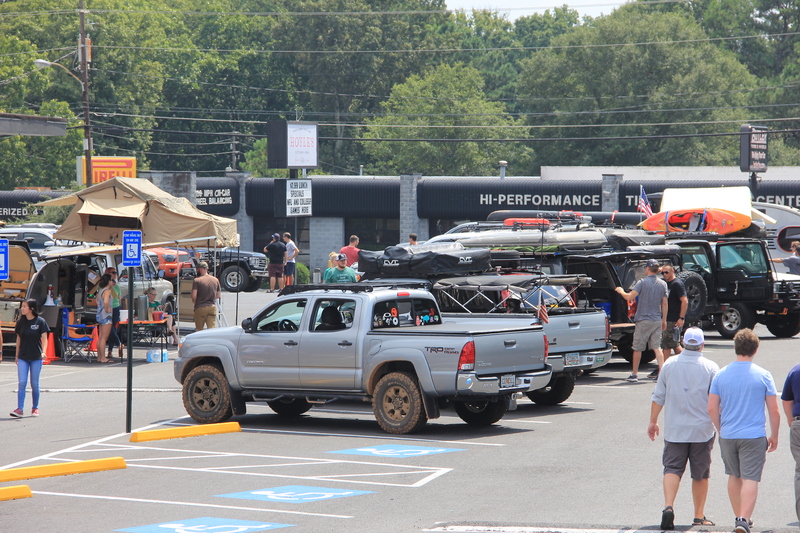 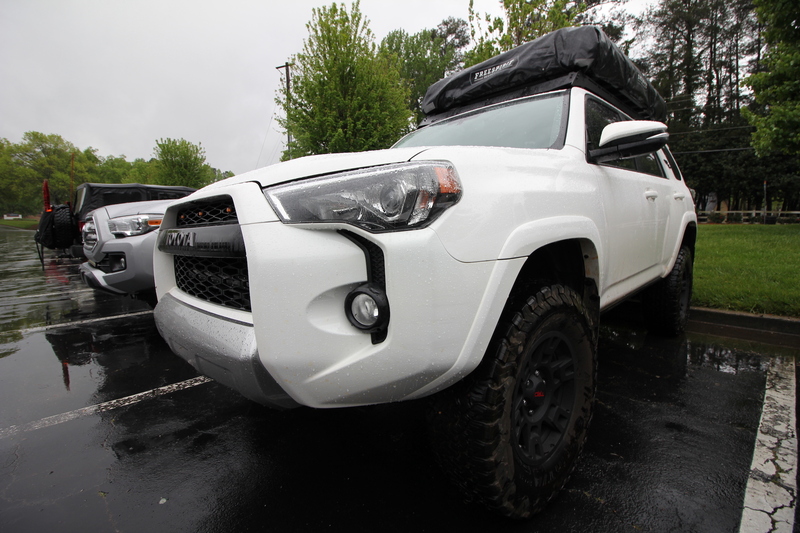 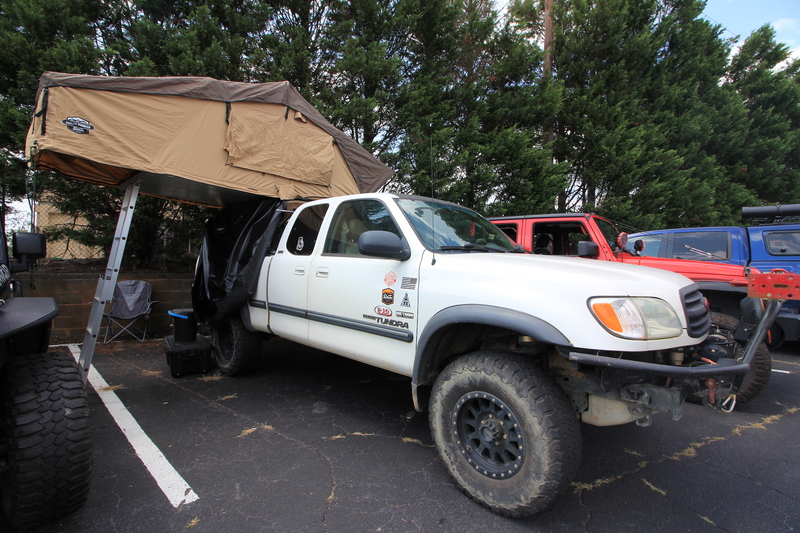 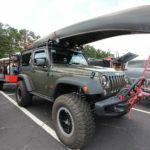 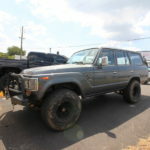 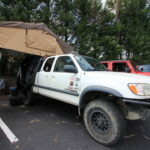 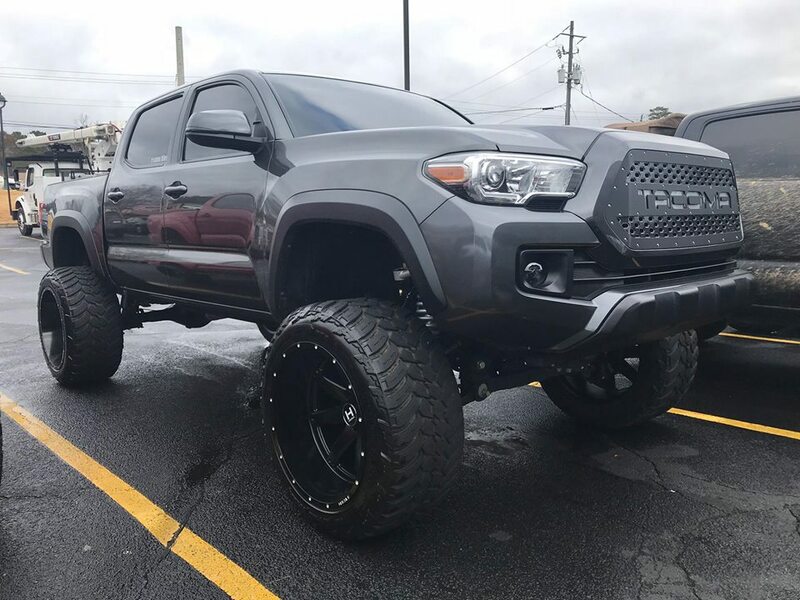 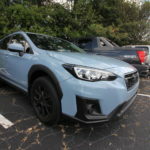 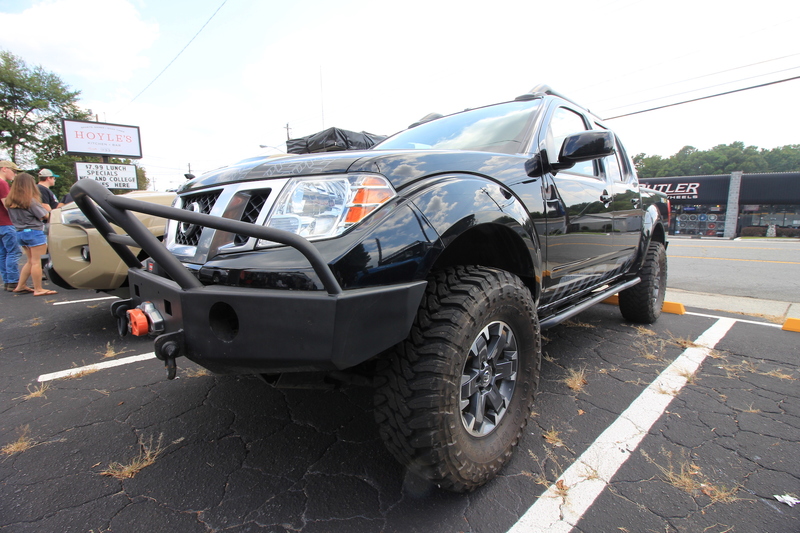 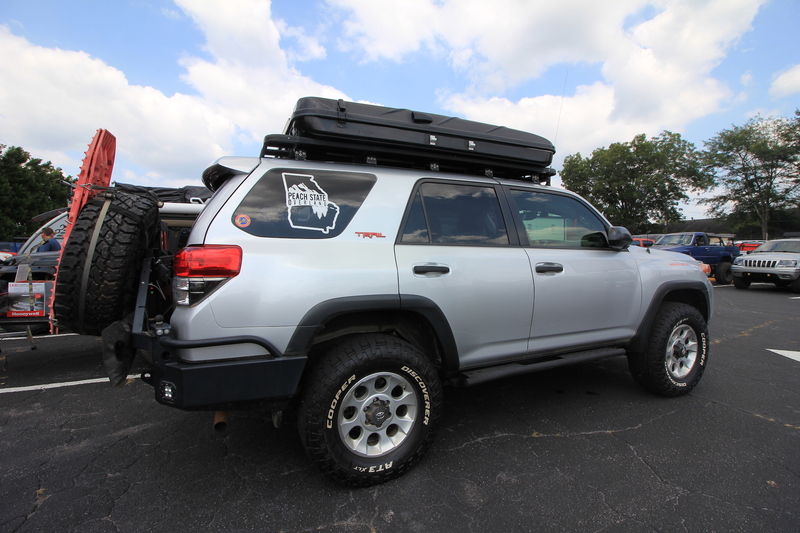 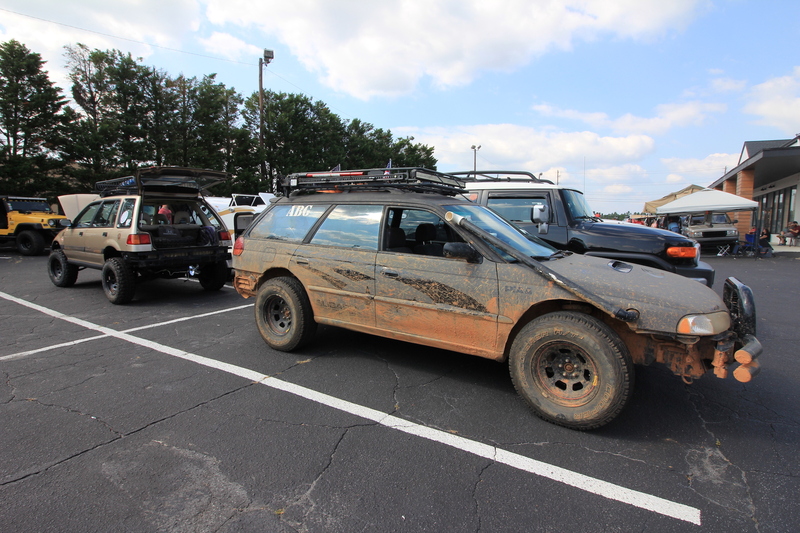 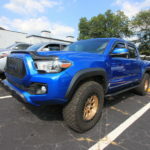 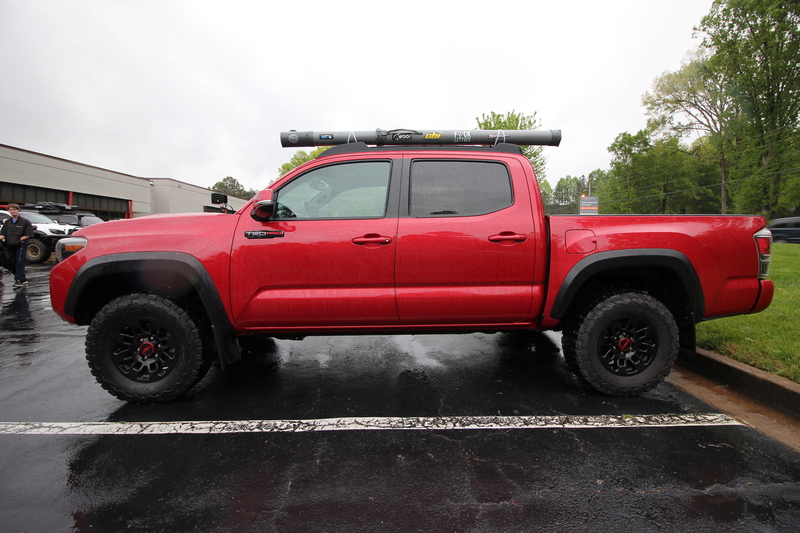 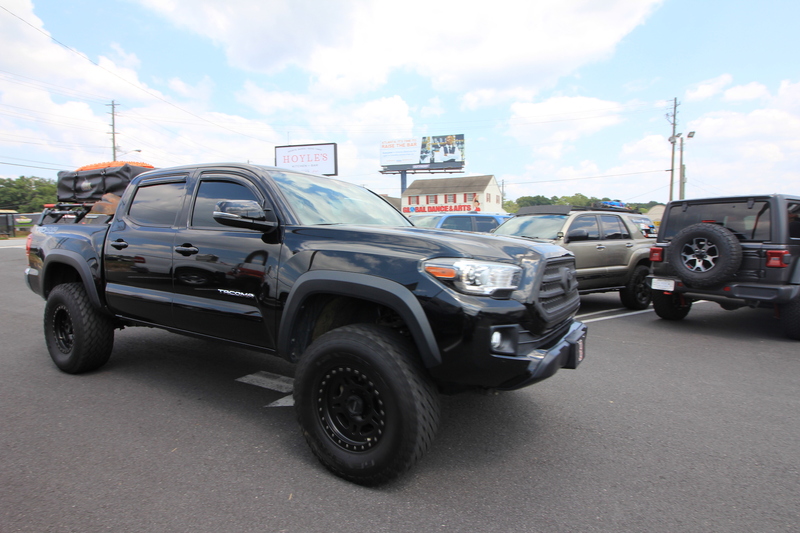 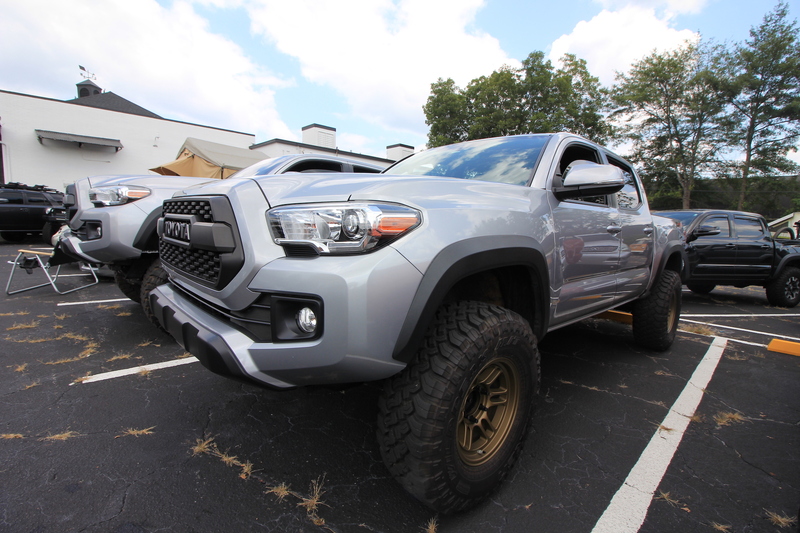 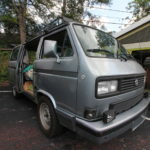 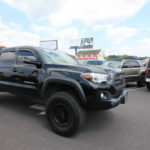 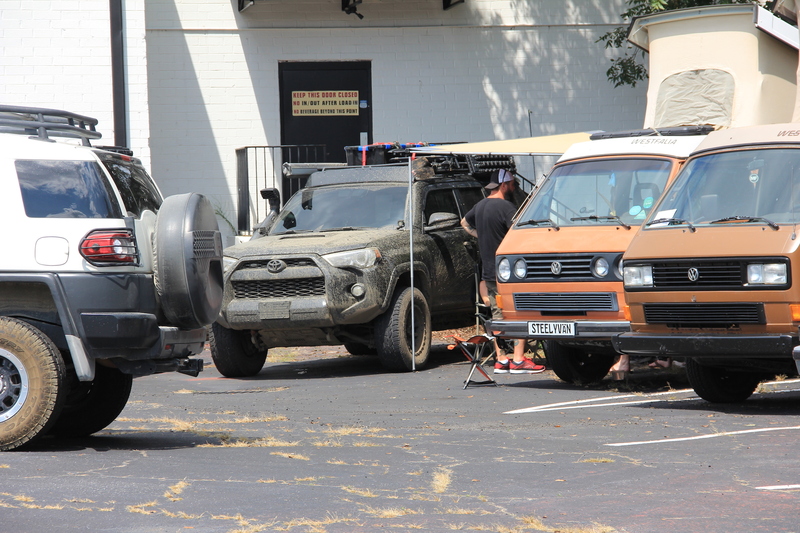 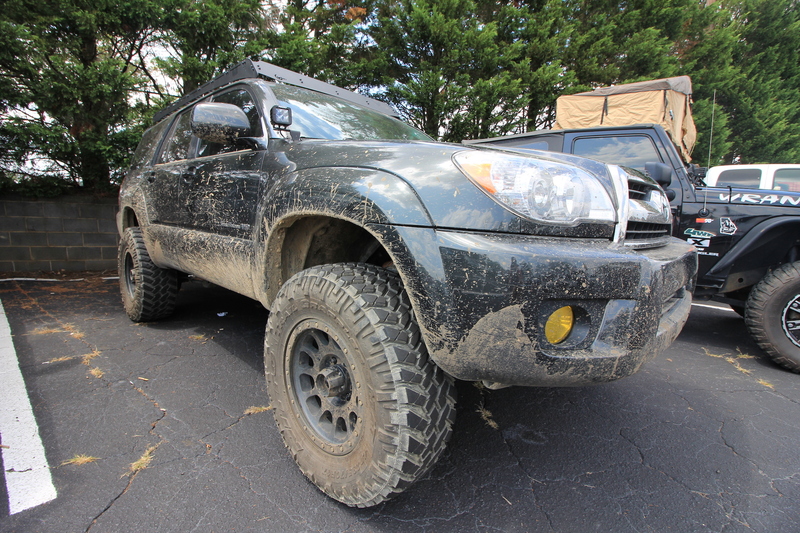 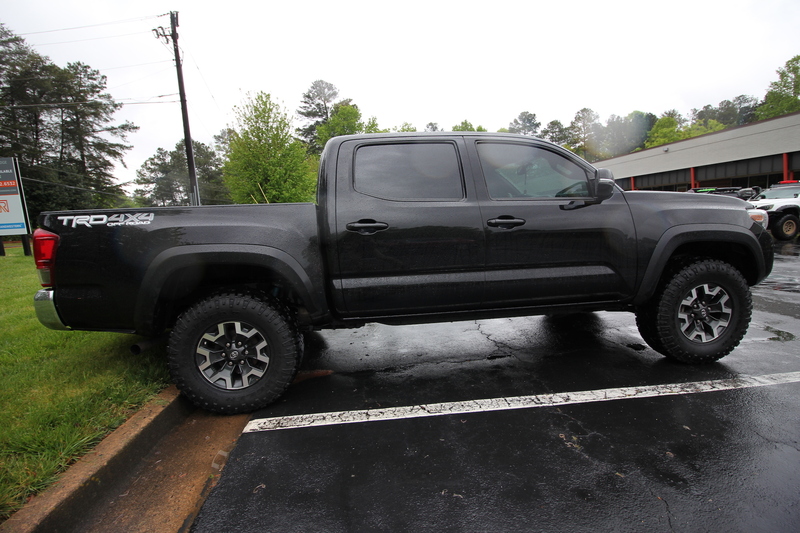 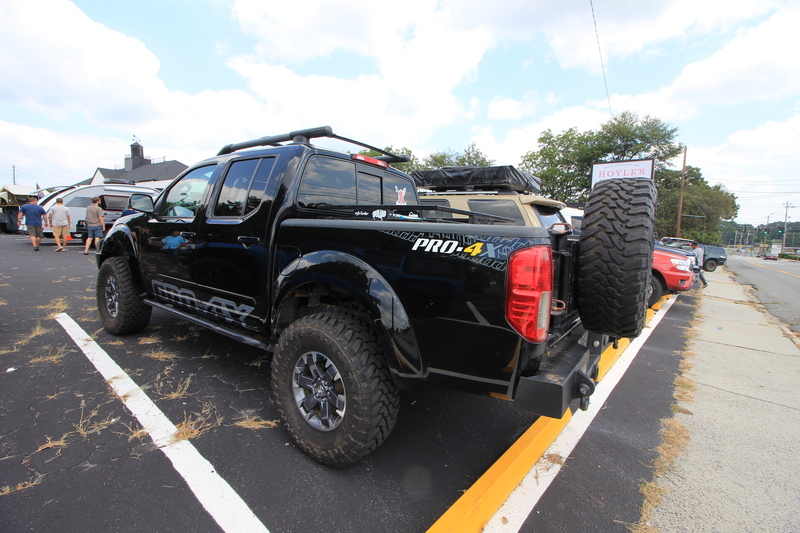 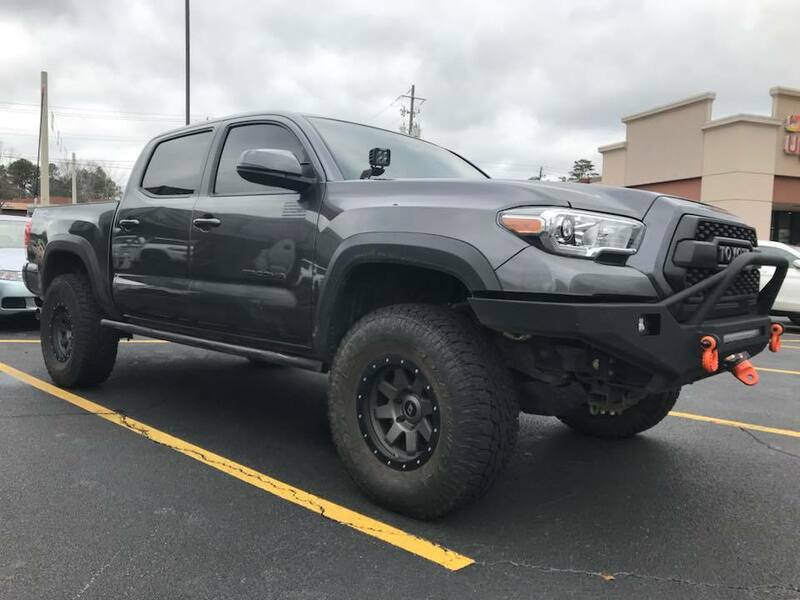 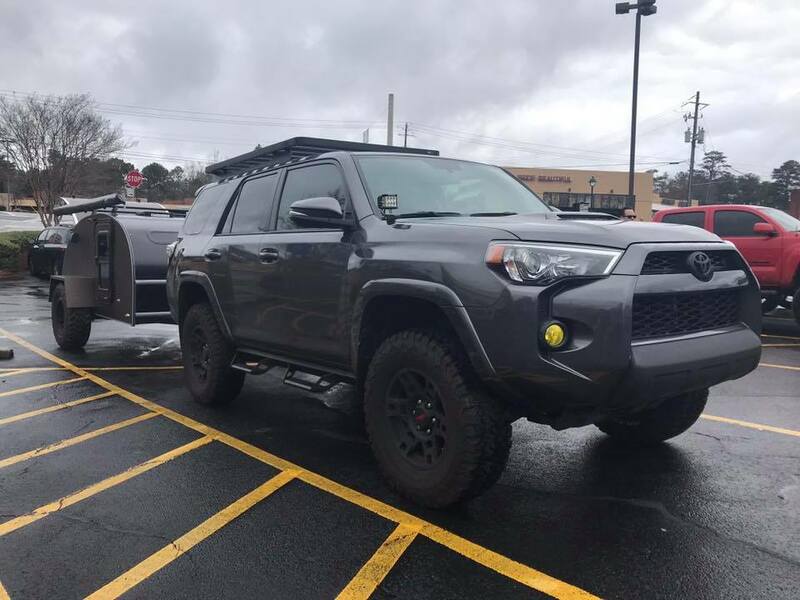 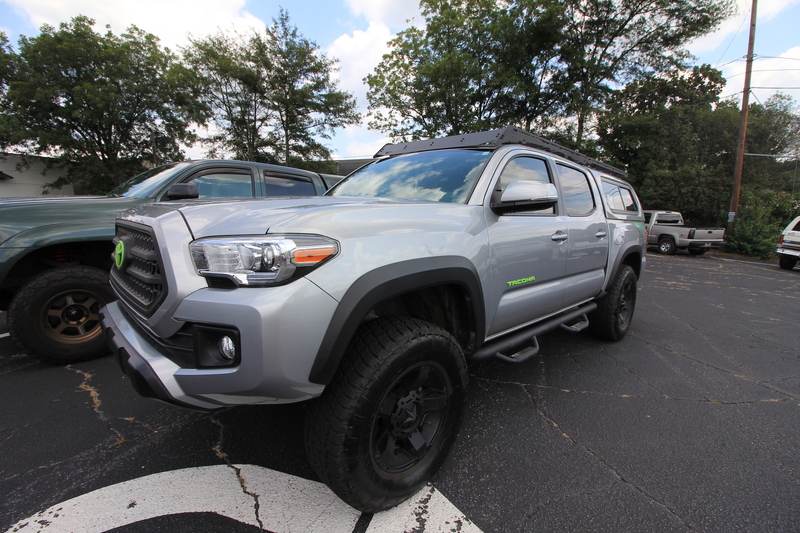 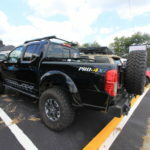 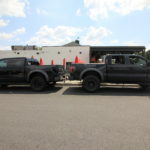 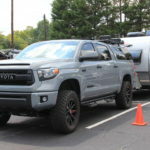 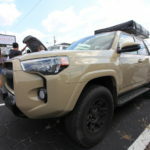 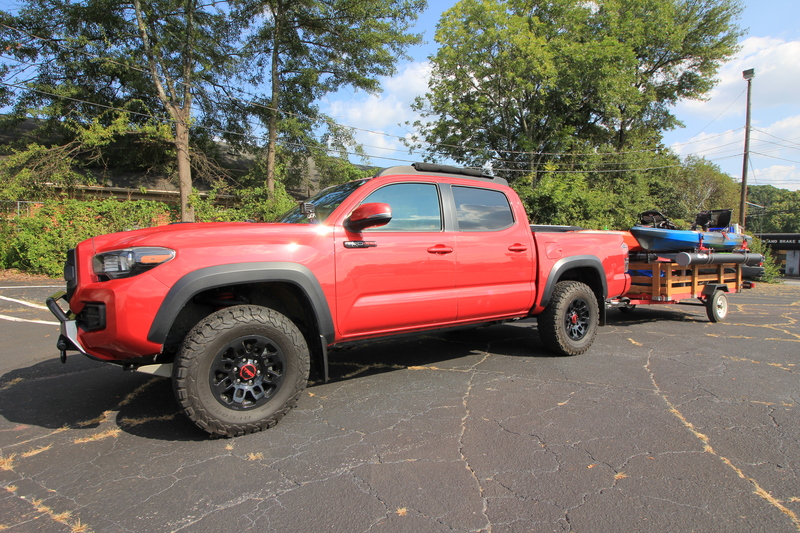 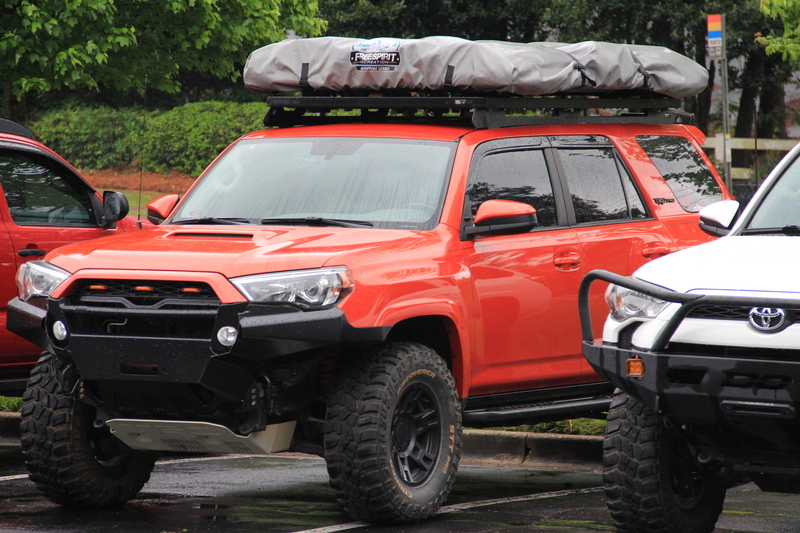 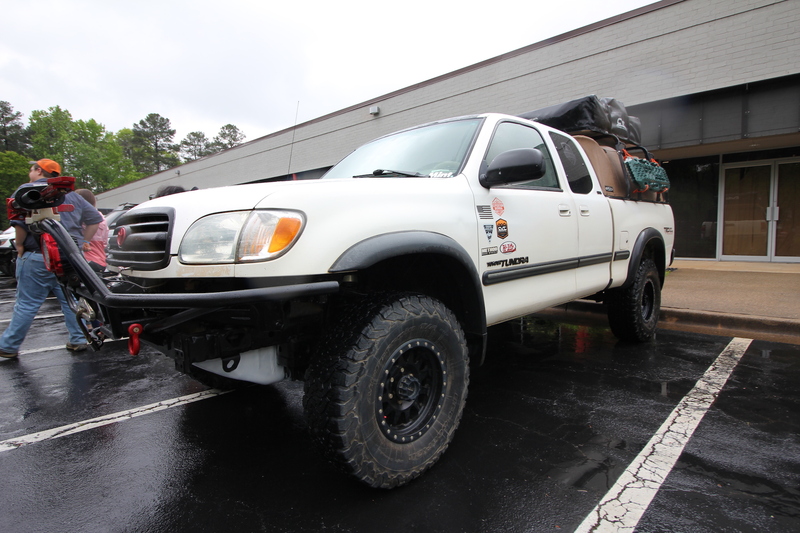 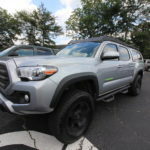 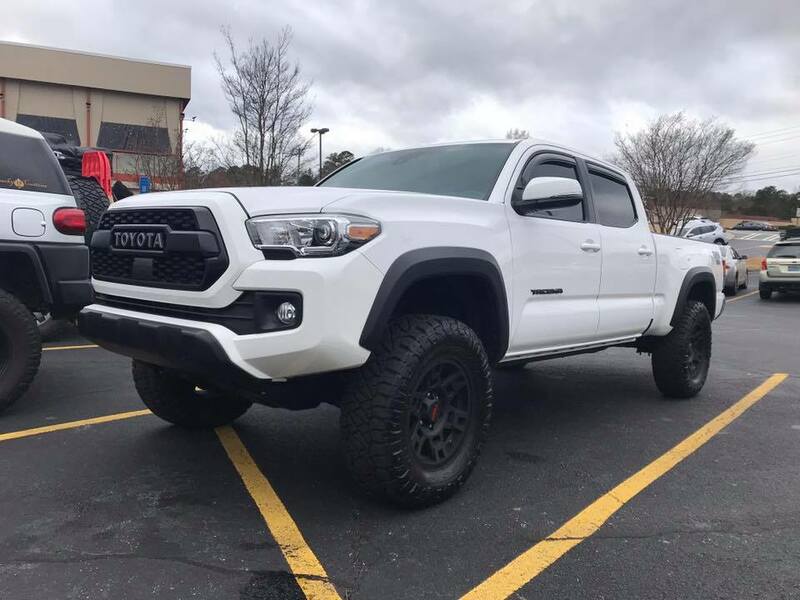 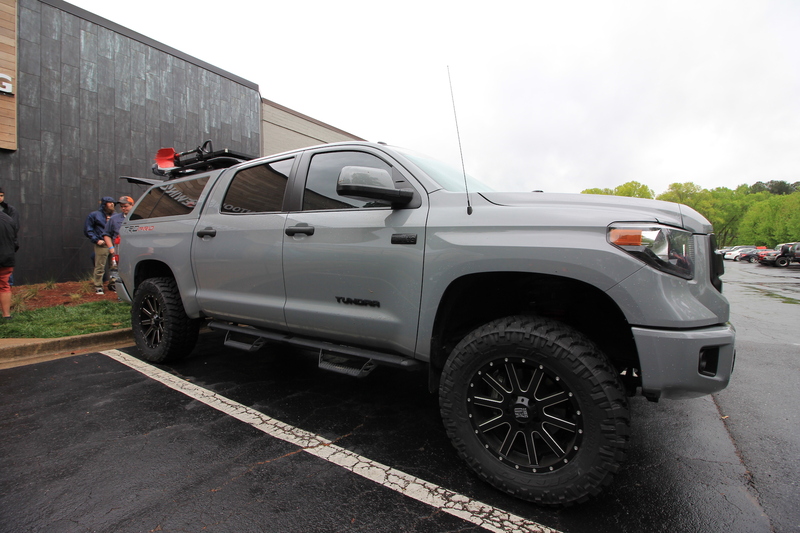 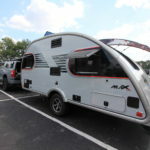 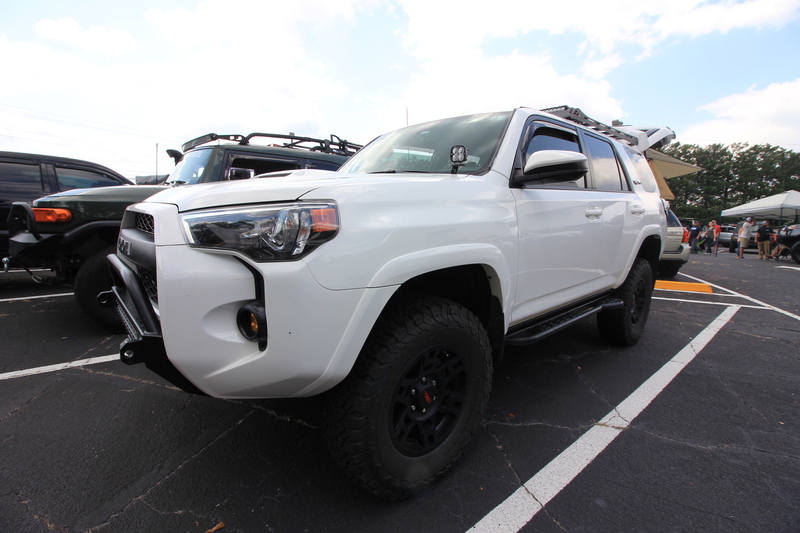 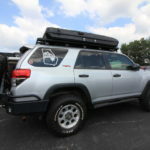 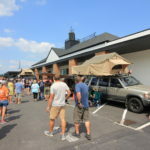 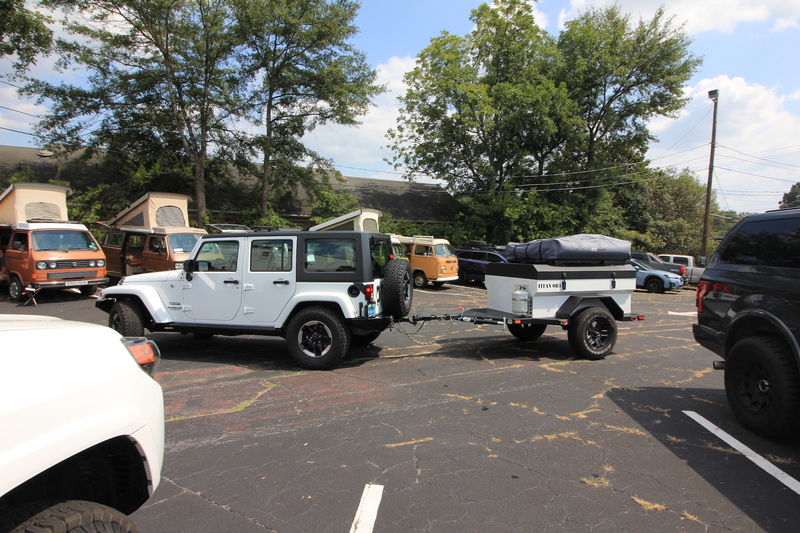 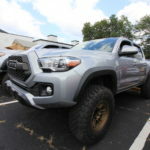 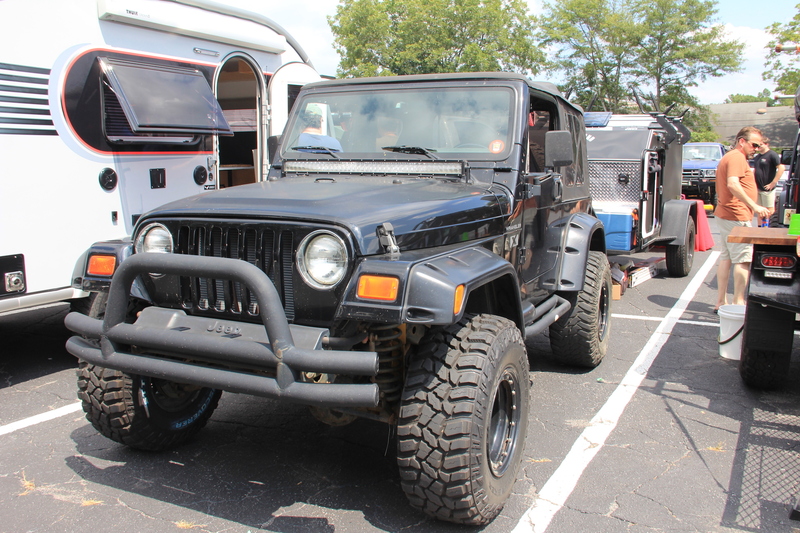 Tents and Tires came back to Georgia in late August 2018, bringing together hundreds of people and over 100 awesome overland vehicles from all over the Southeast to Holye’s Kitchen + Bar in Marietta, Ga. With the overwhelming success of the first event, we wanted to make sure to take Tents and Tires II the next level. 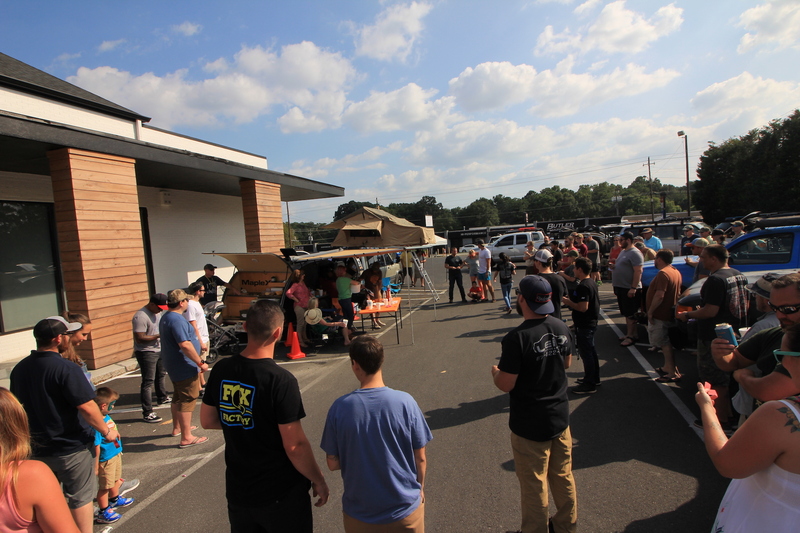 Along with the new location, we partnered with some awesome companies that provided us with over $1300 worth of giveaways for our attendees. 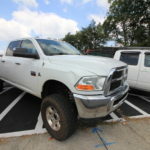 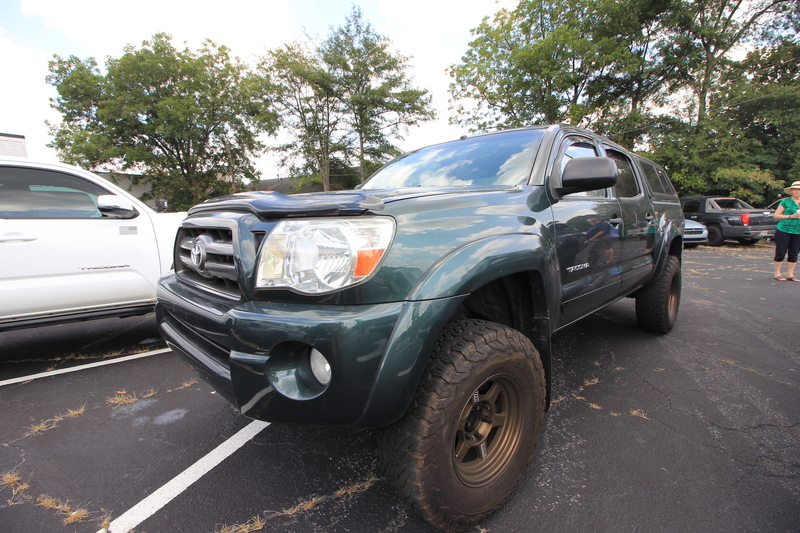 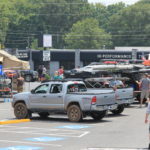 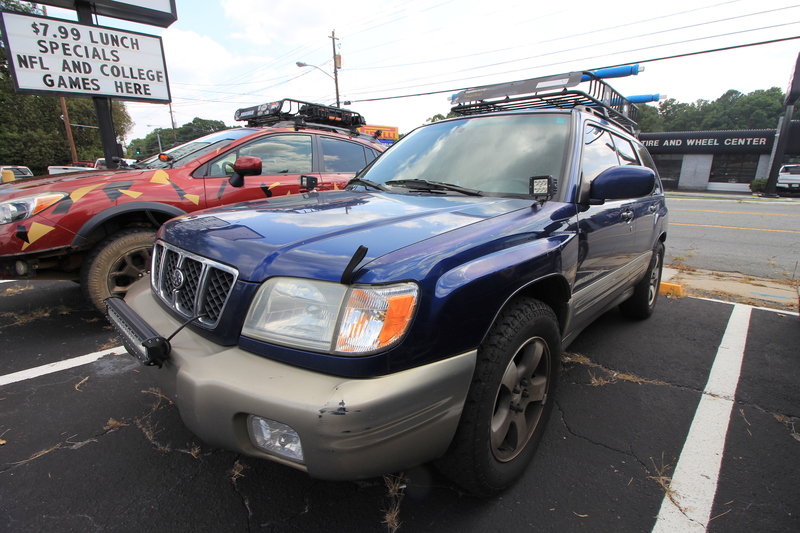 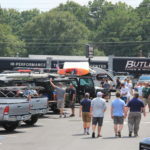 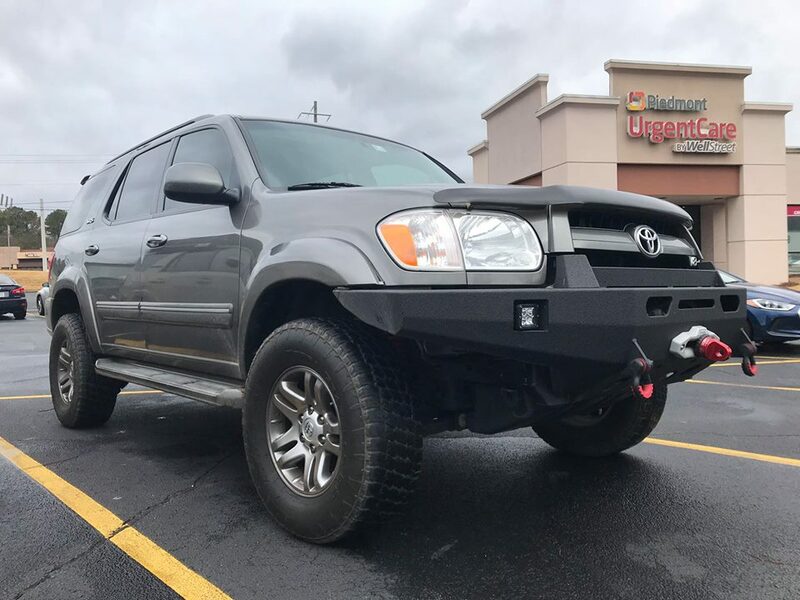 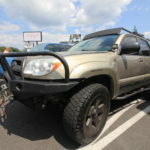 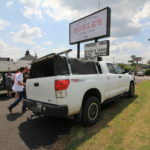 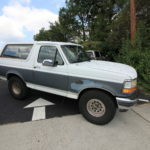 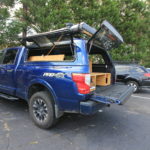 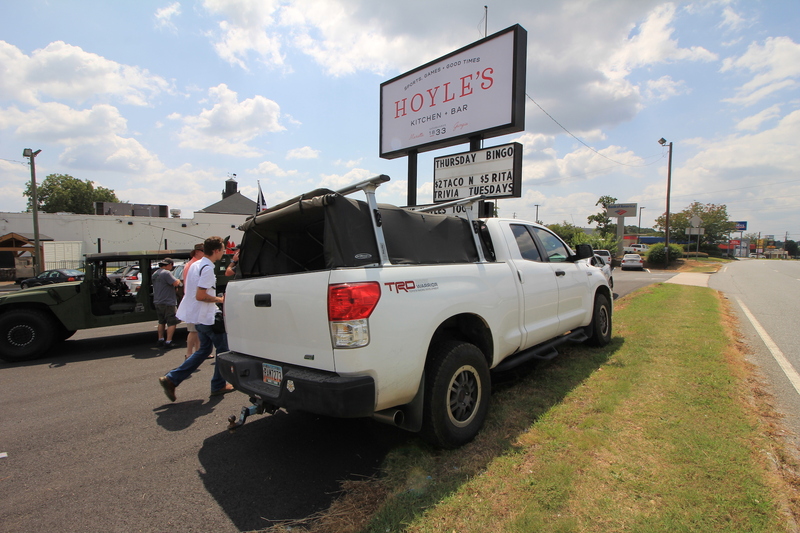 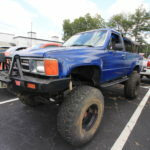 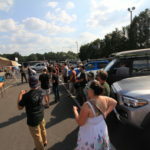 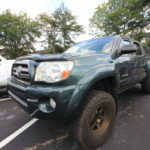 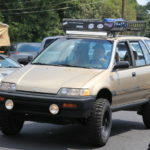 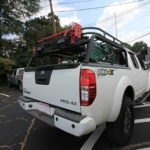 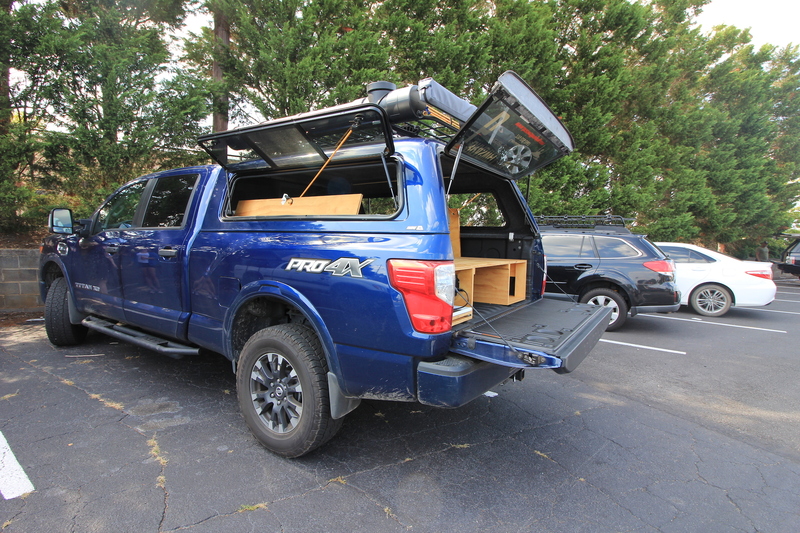 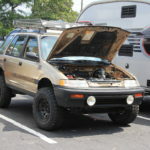 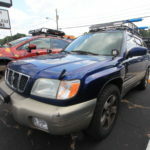 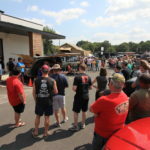 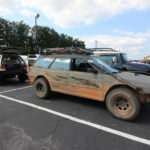 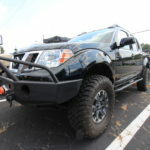 Companies like Wander North Ga, Gerber Gear, LifeProof, Otter Box, Griffin Pocket Tool, Southeast Toyota, Toyo Tires, TruPrep, CVT, Diversified Fire & Safety, and Hoyle’s stepped up and donated tons of gear for those who braved the Georgia August heat. 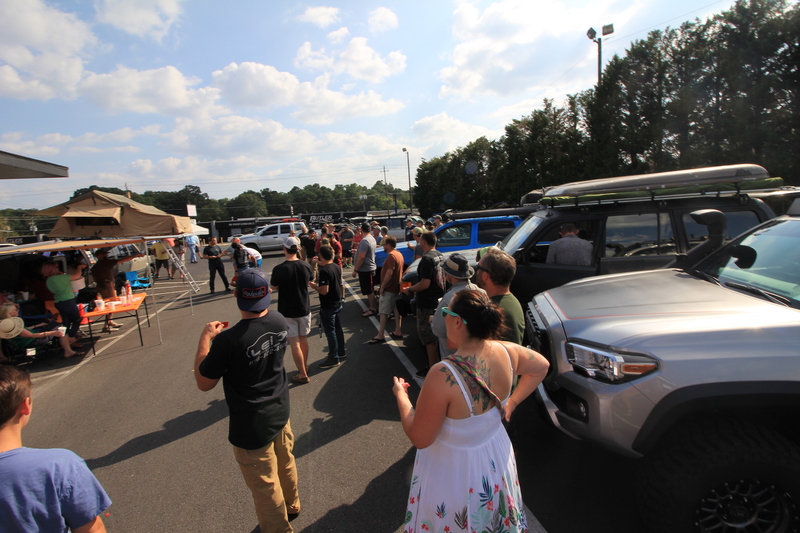 Enjoy our coverage of our second event below! 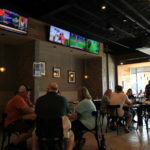 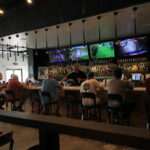 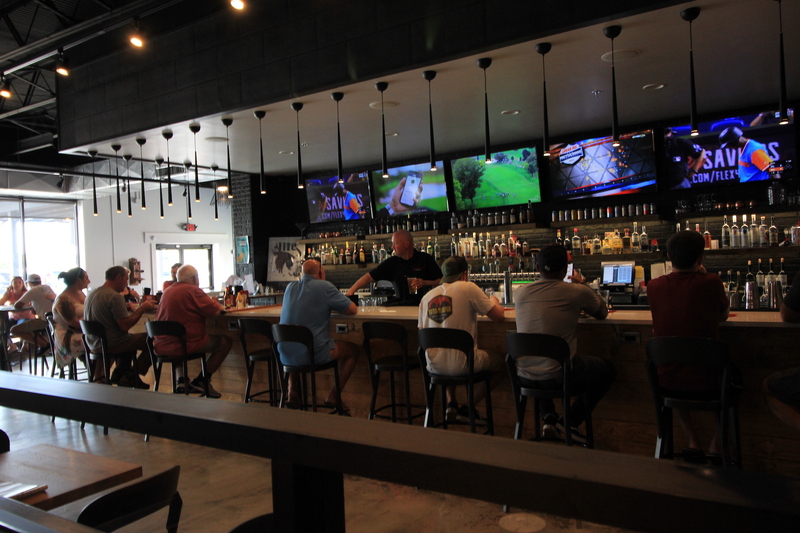 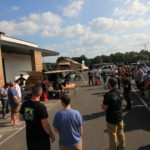 Check out coverage from our first event below! 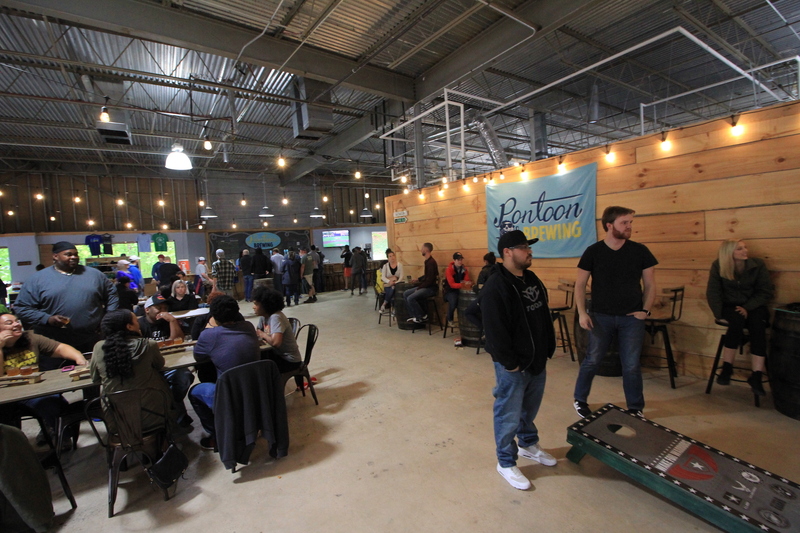 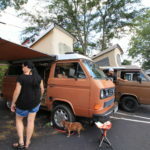 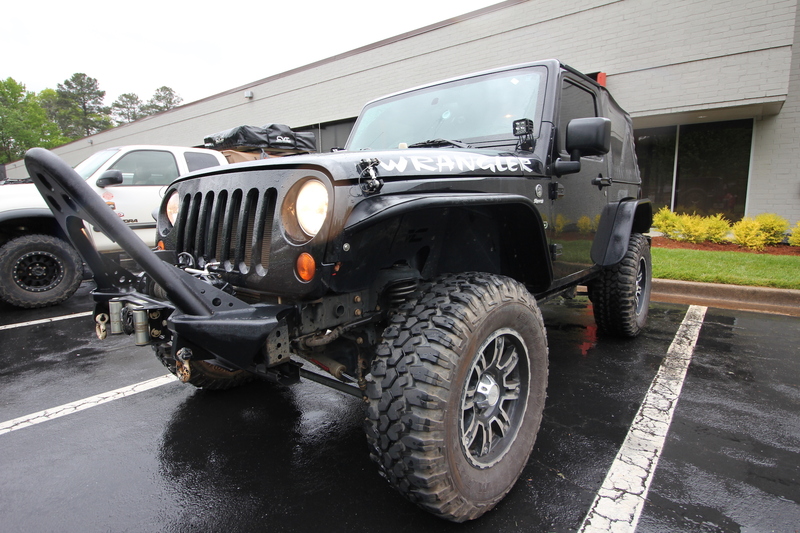 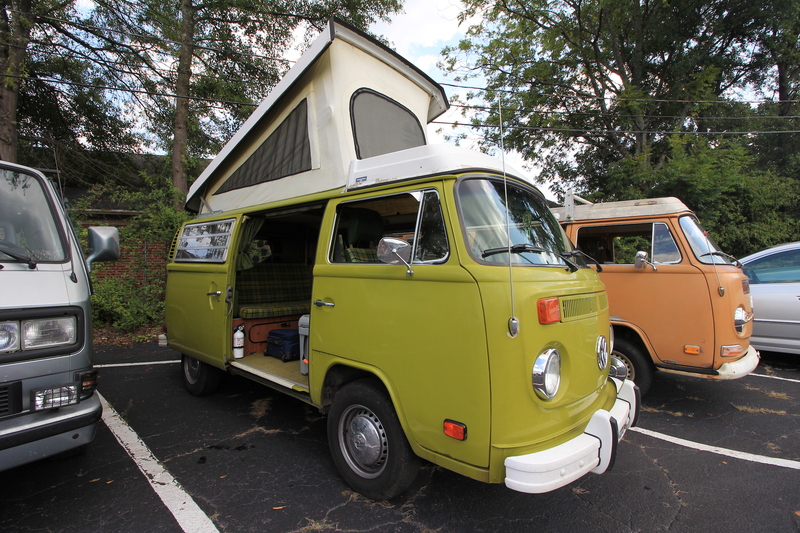 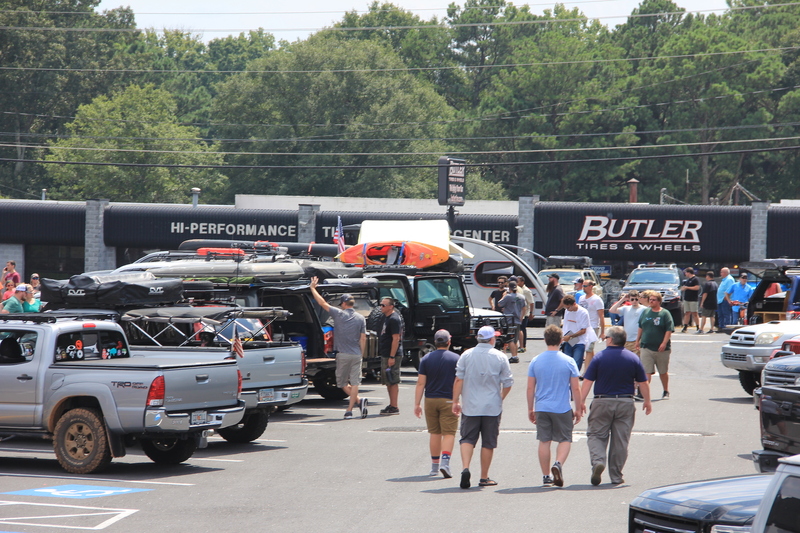 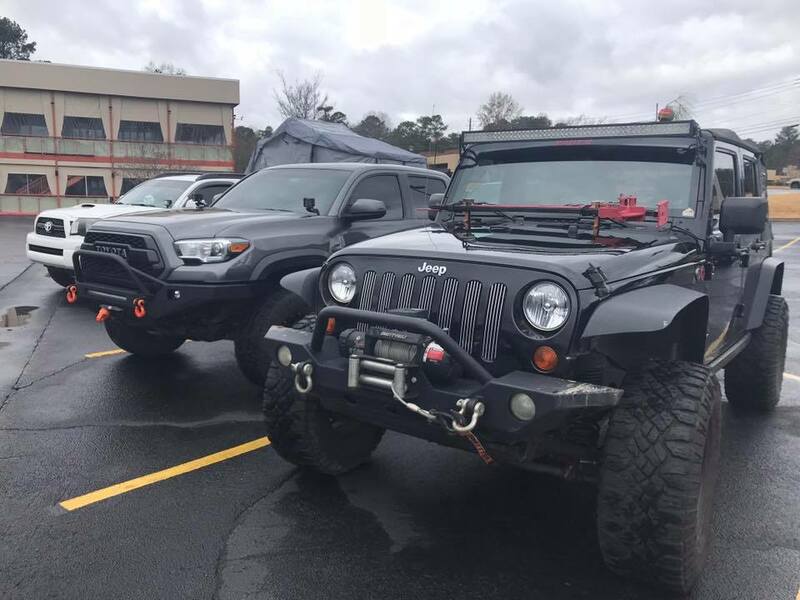 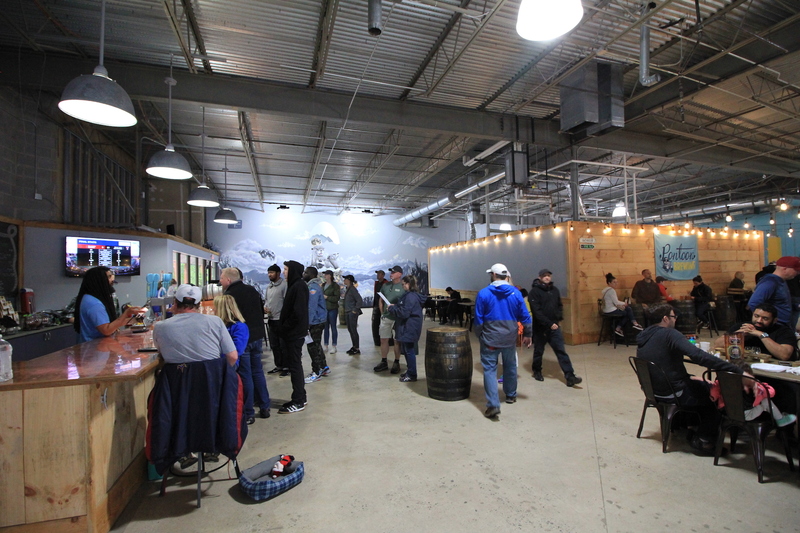 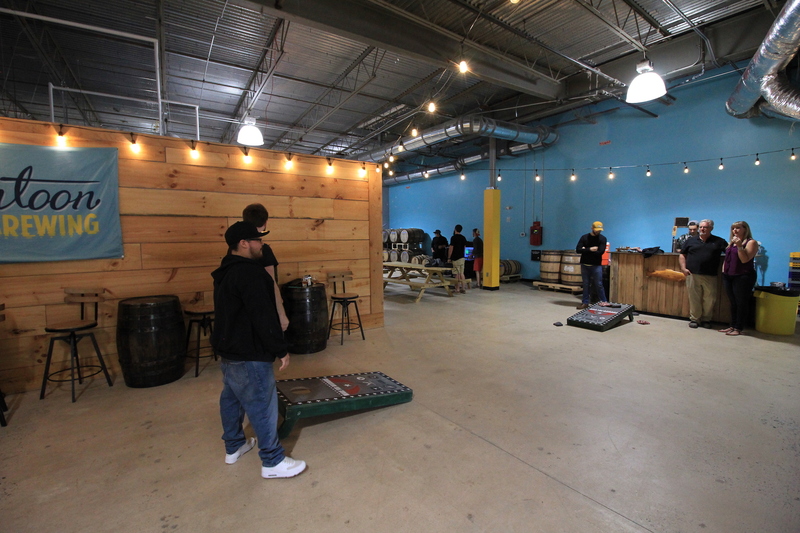 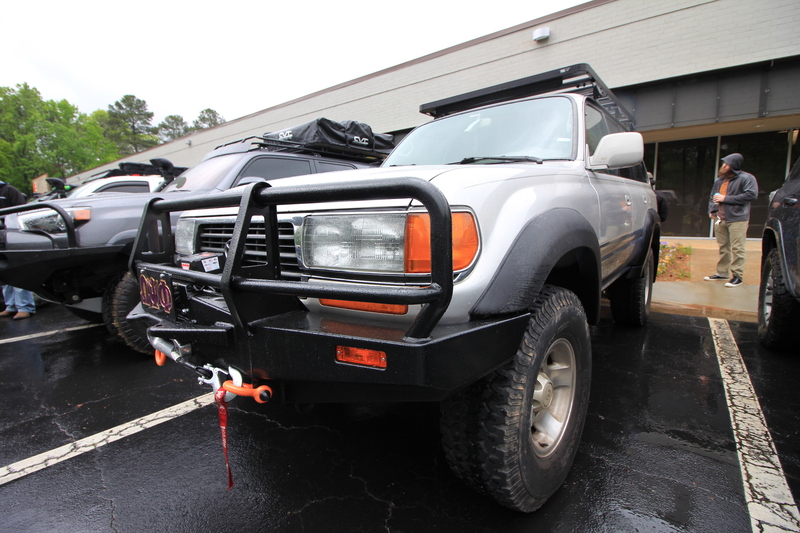 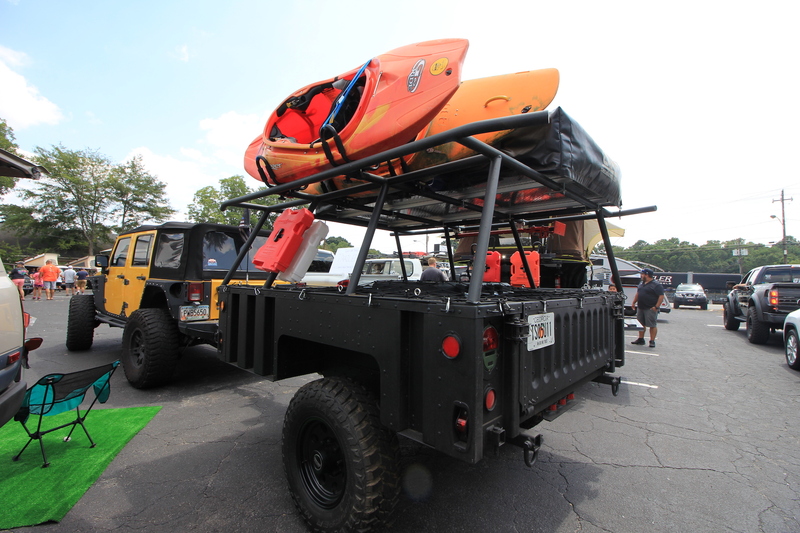 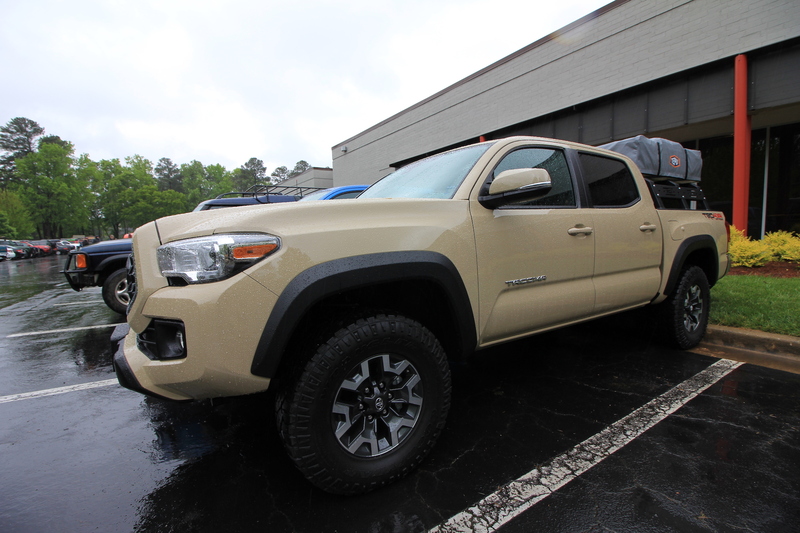 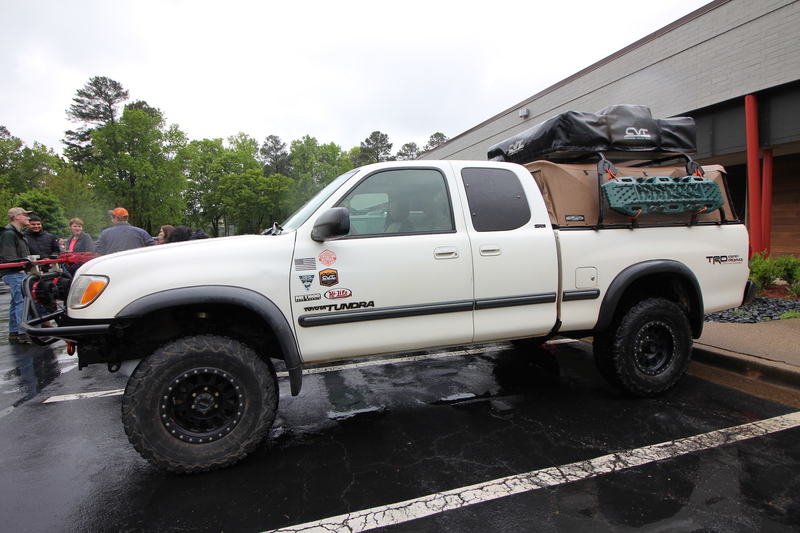 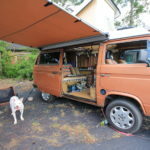 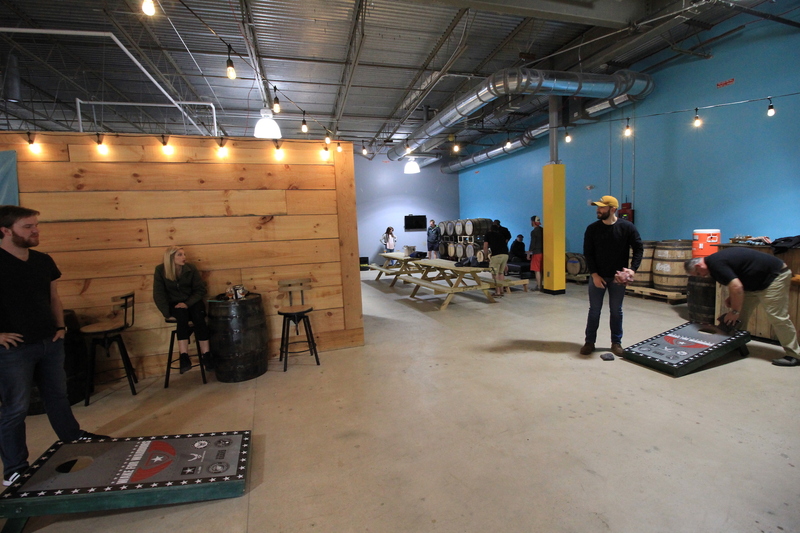 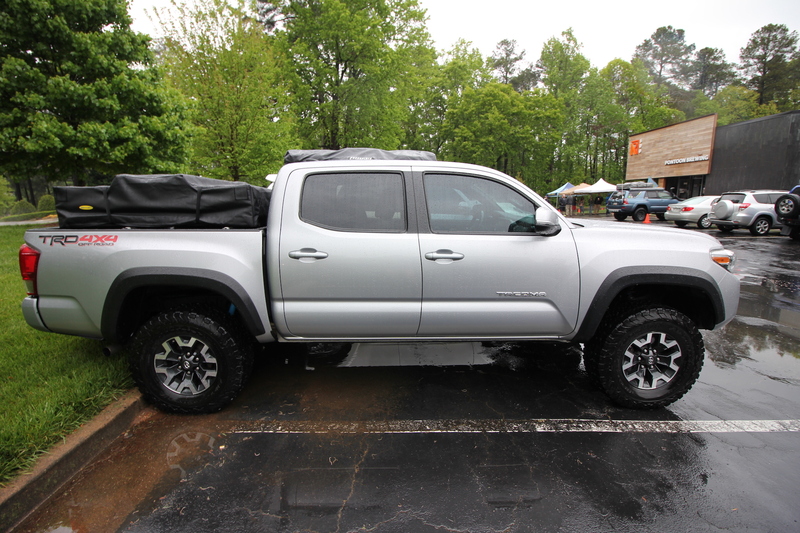 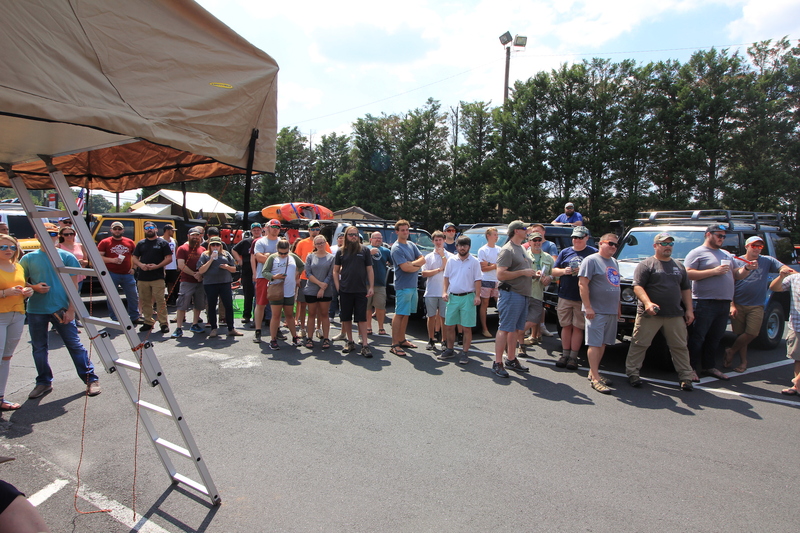 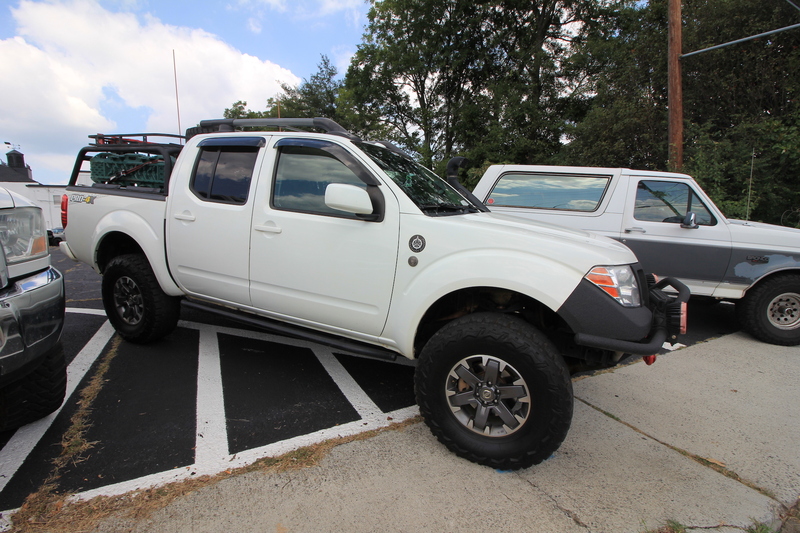 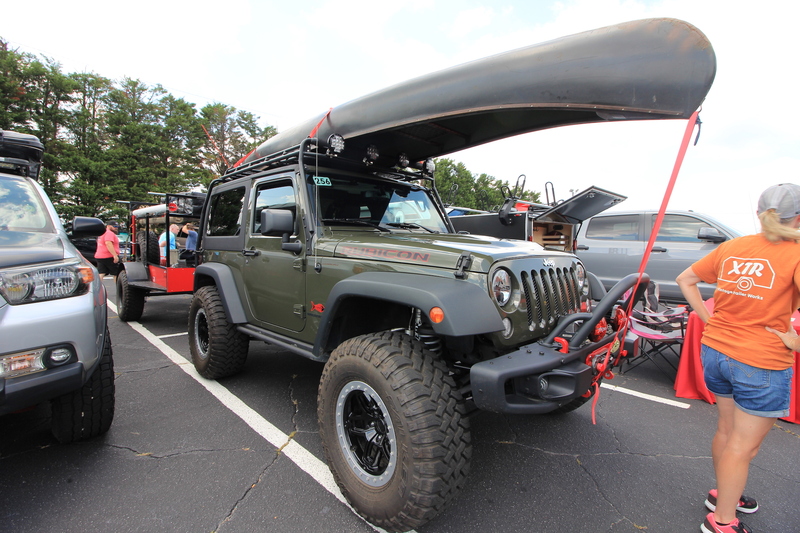 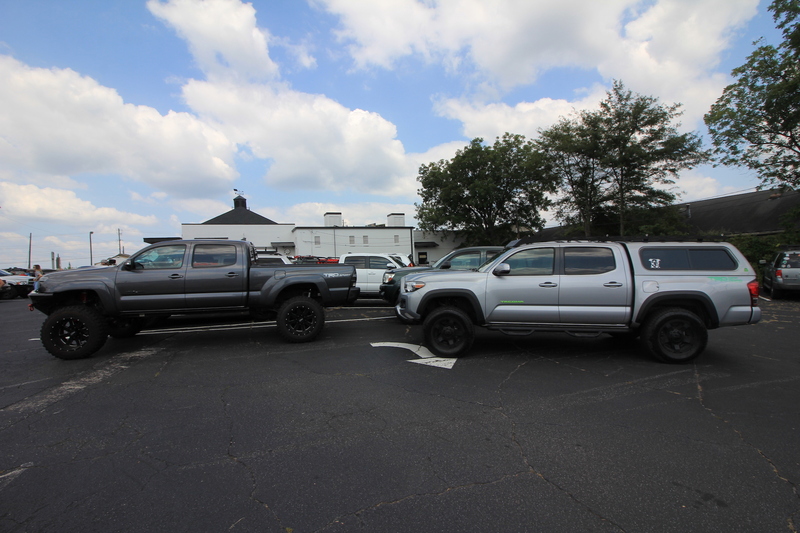 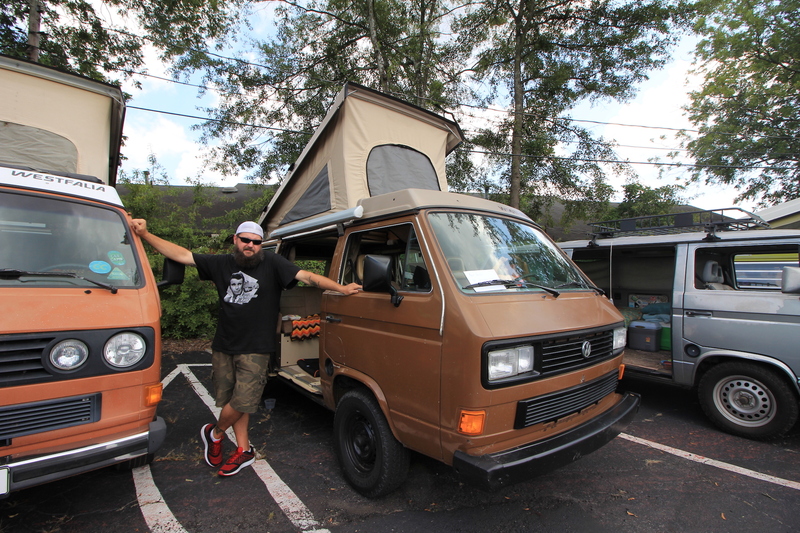 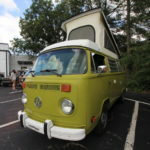 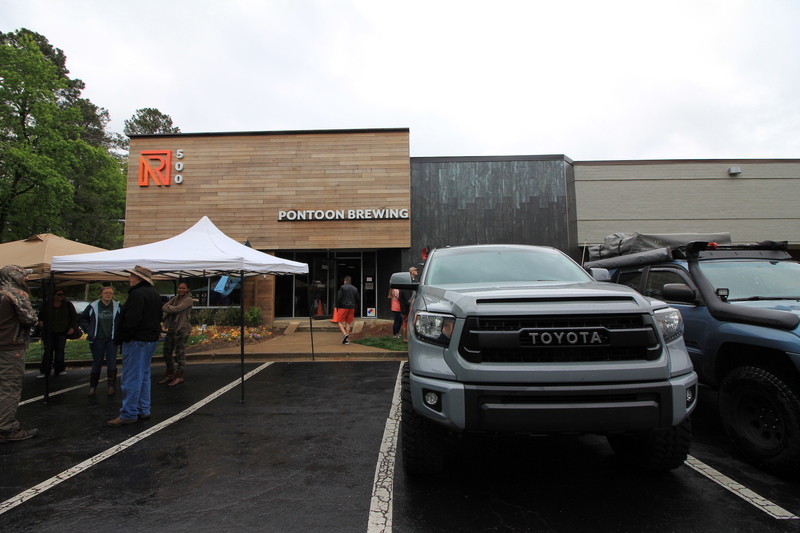 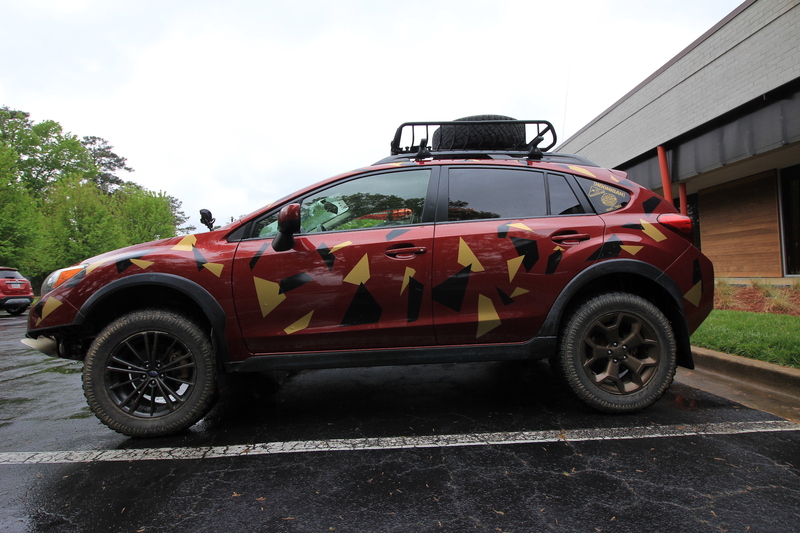 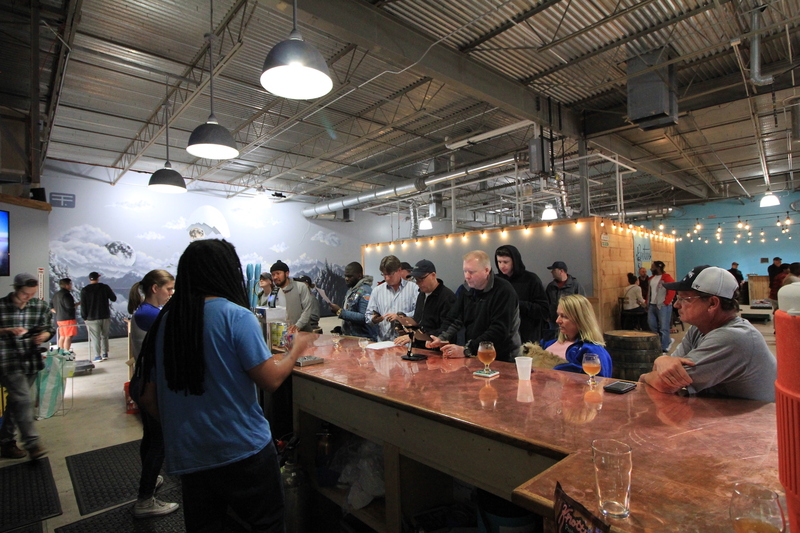 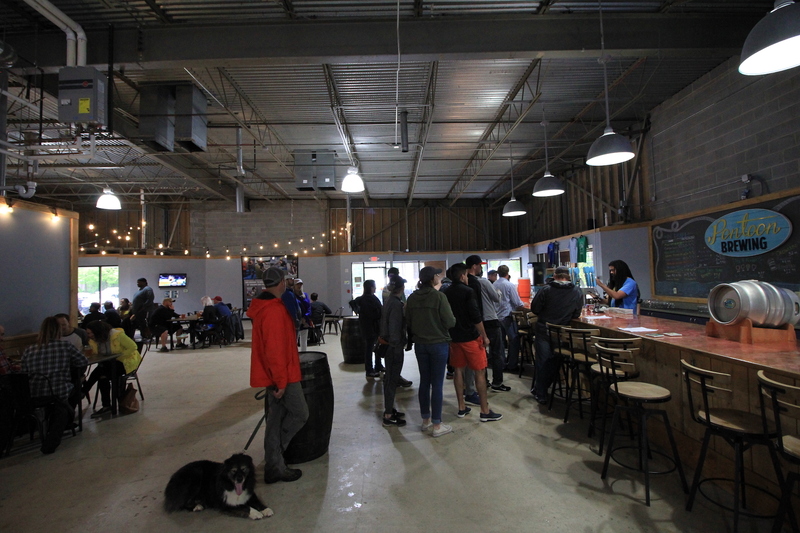 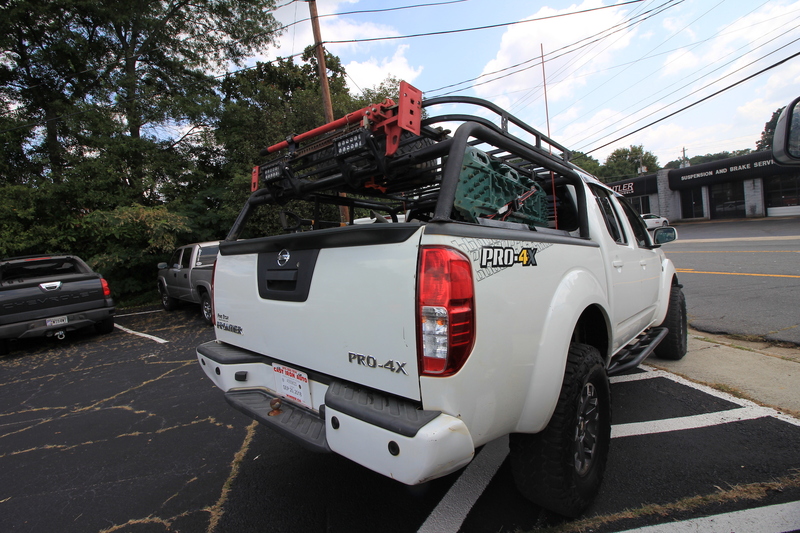 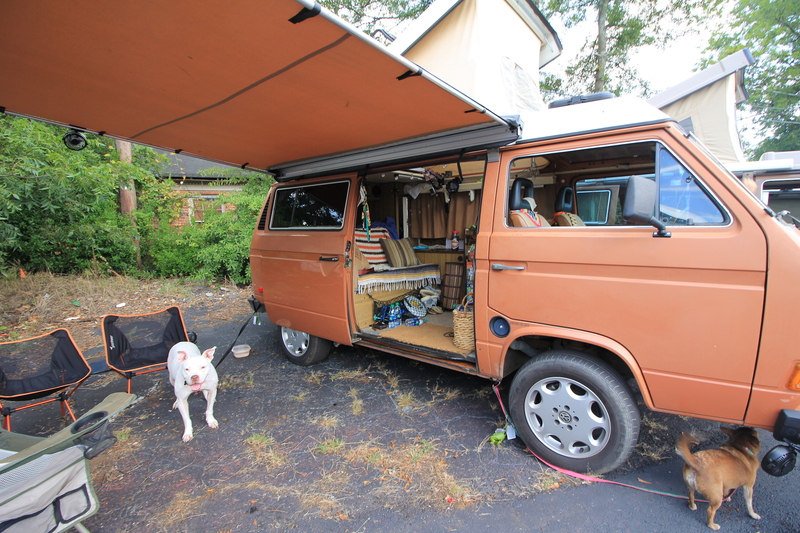 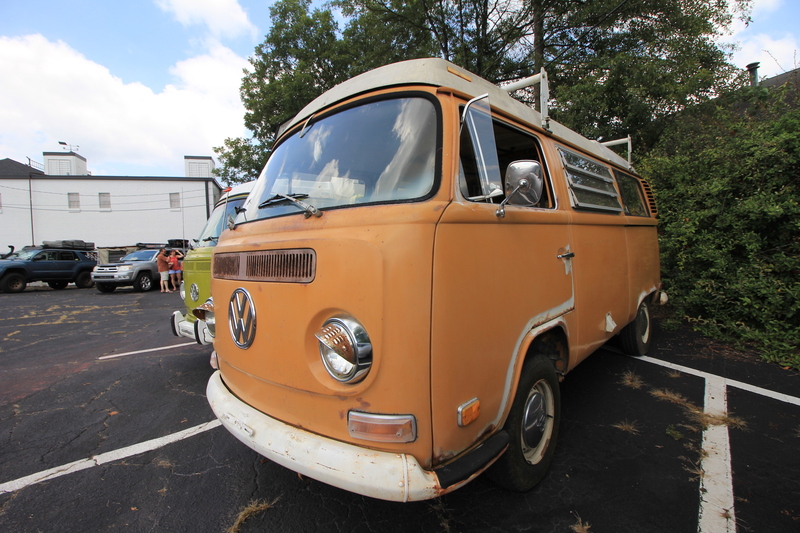 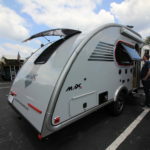 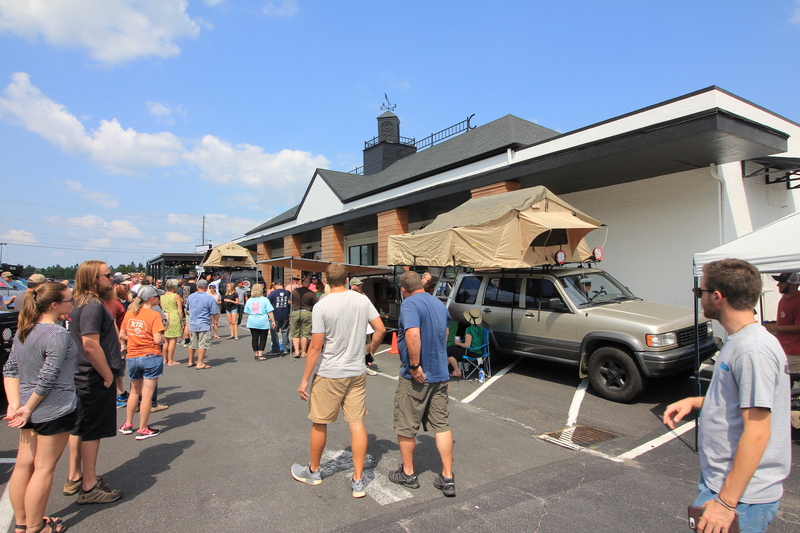 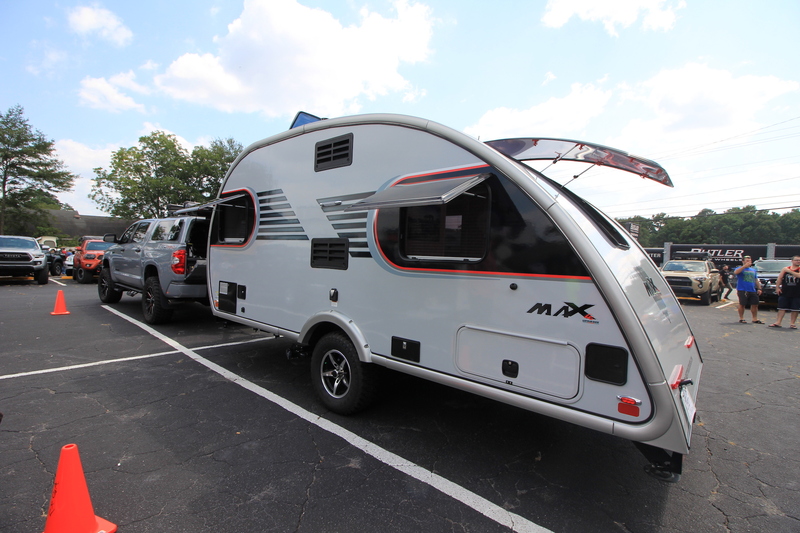 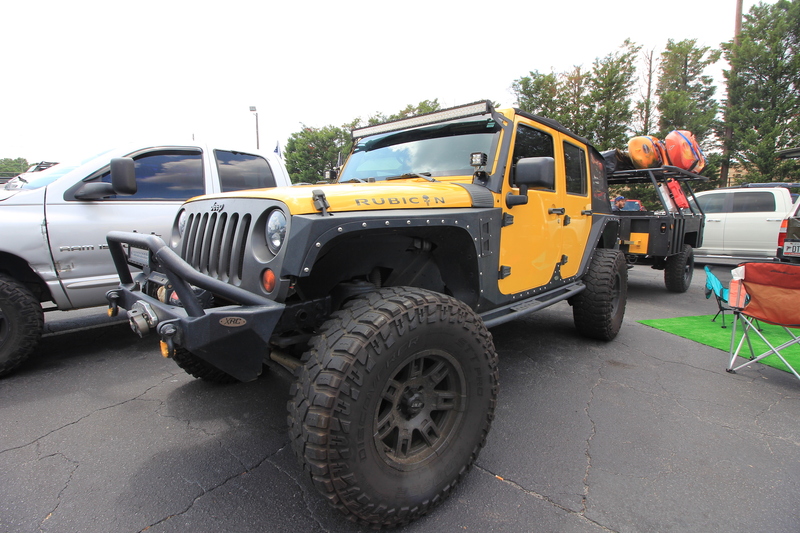 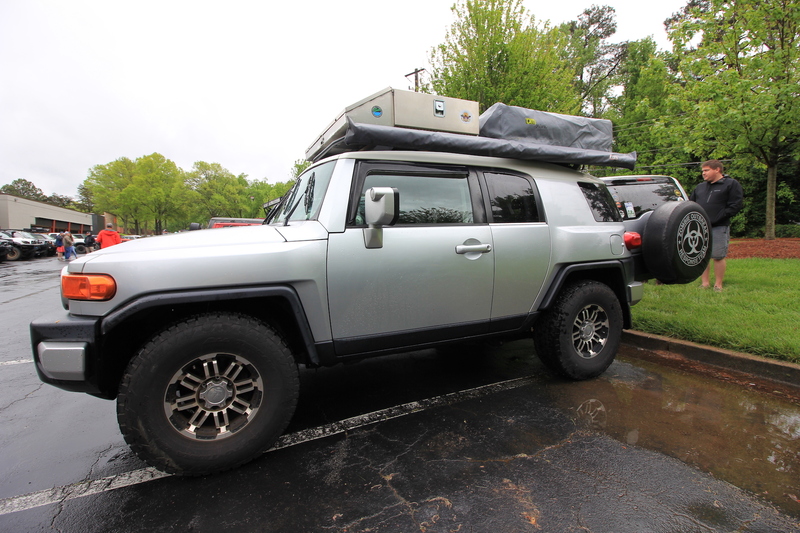 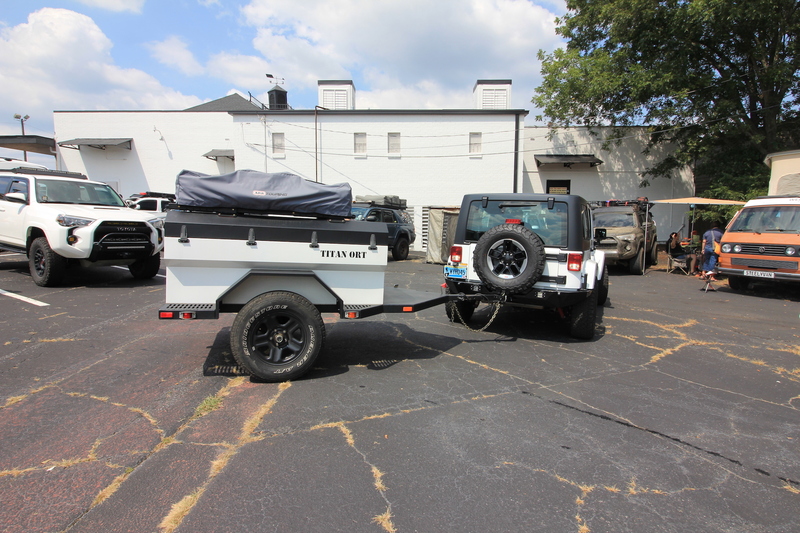 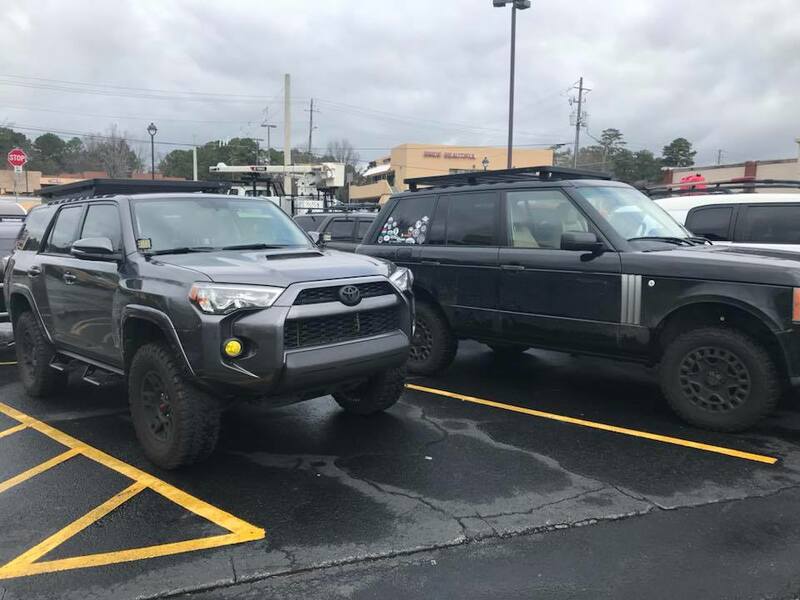 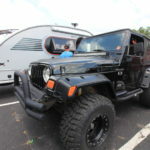 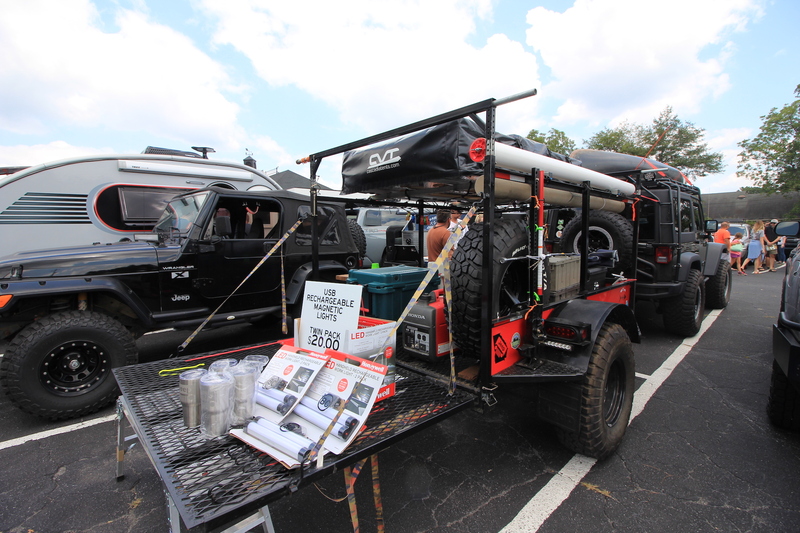 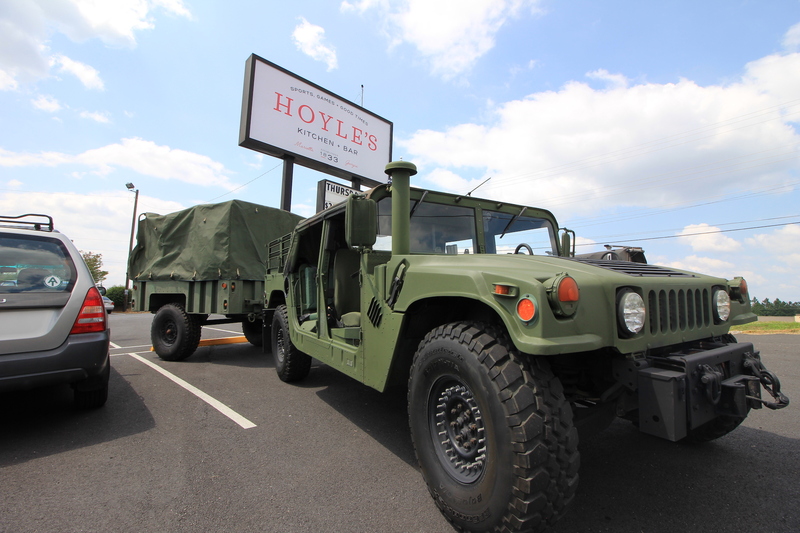 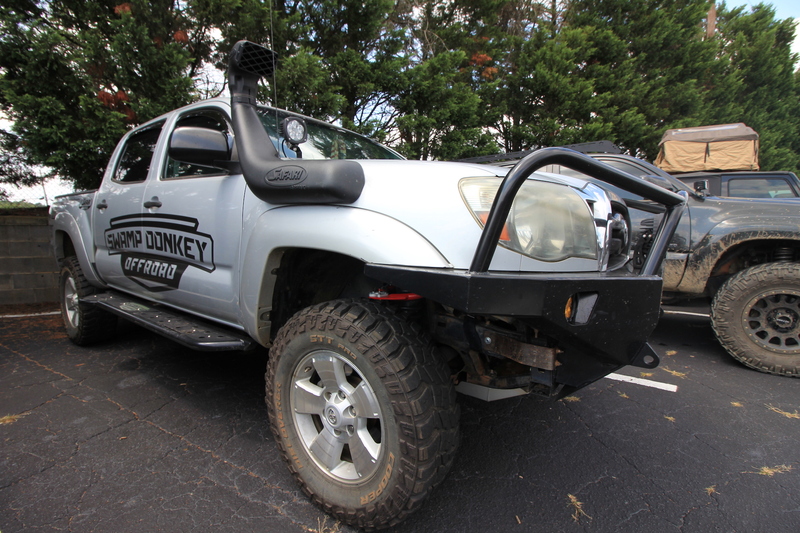 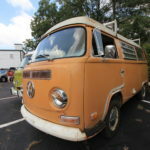 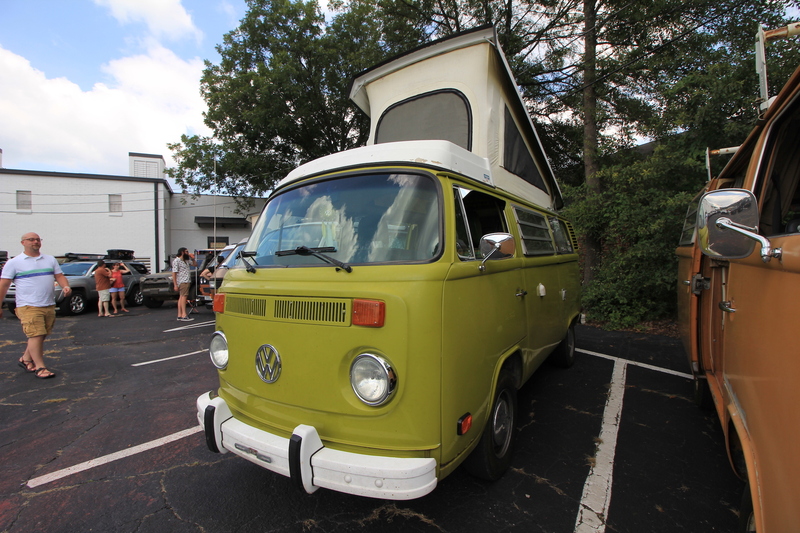 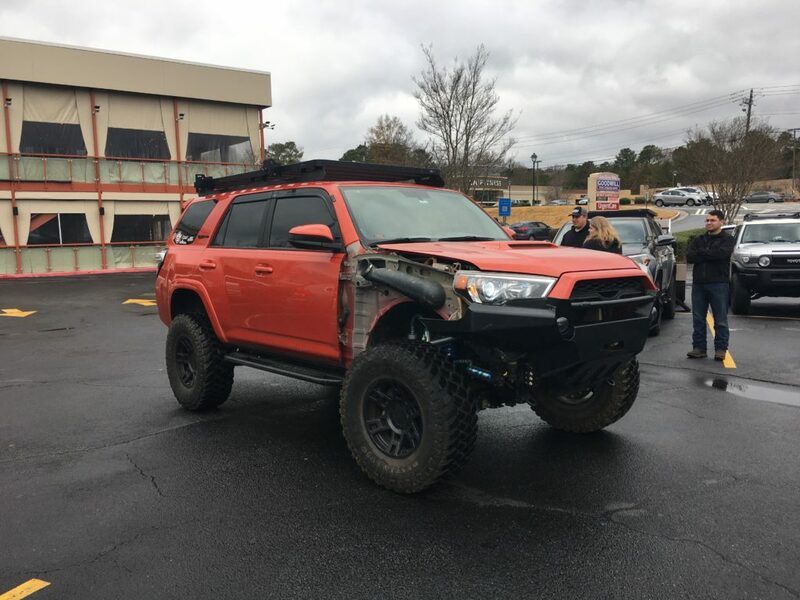 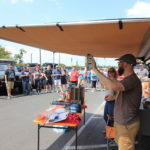 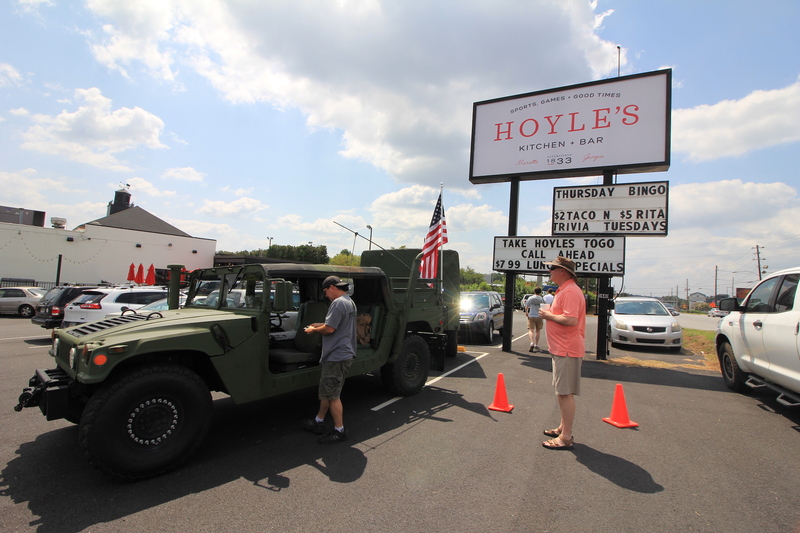 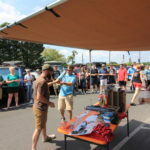 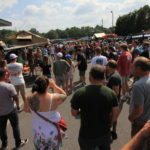 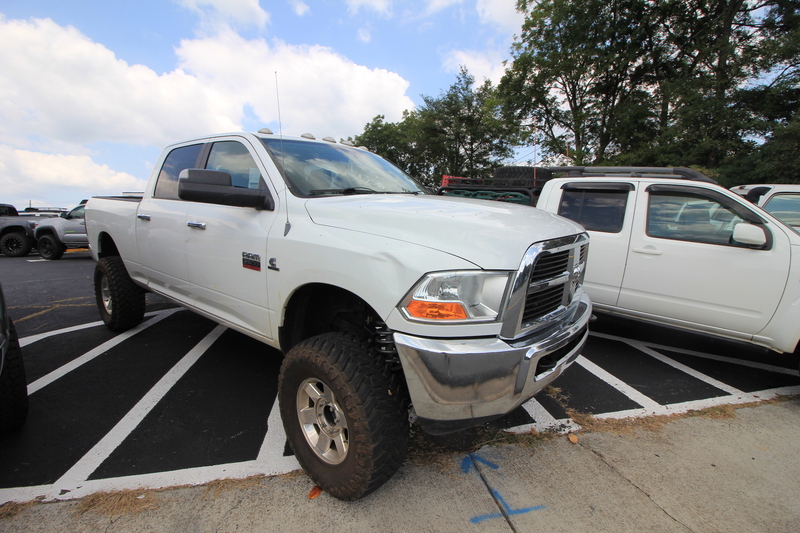 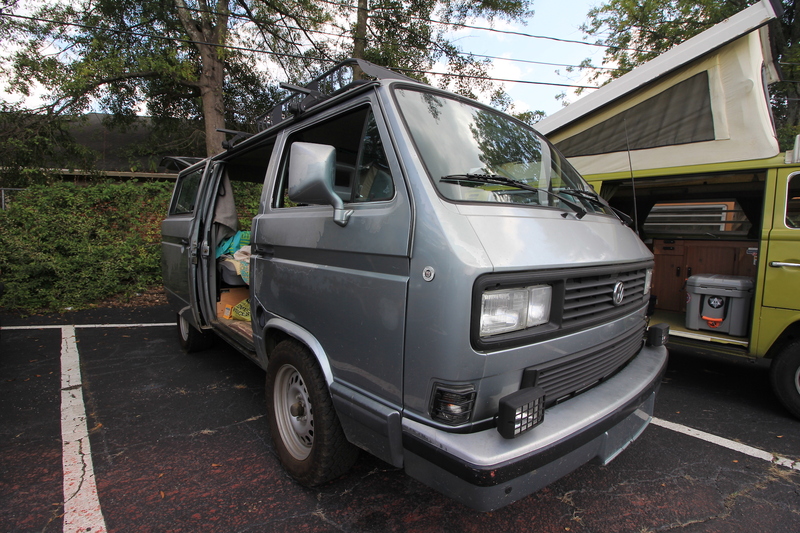 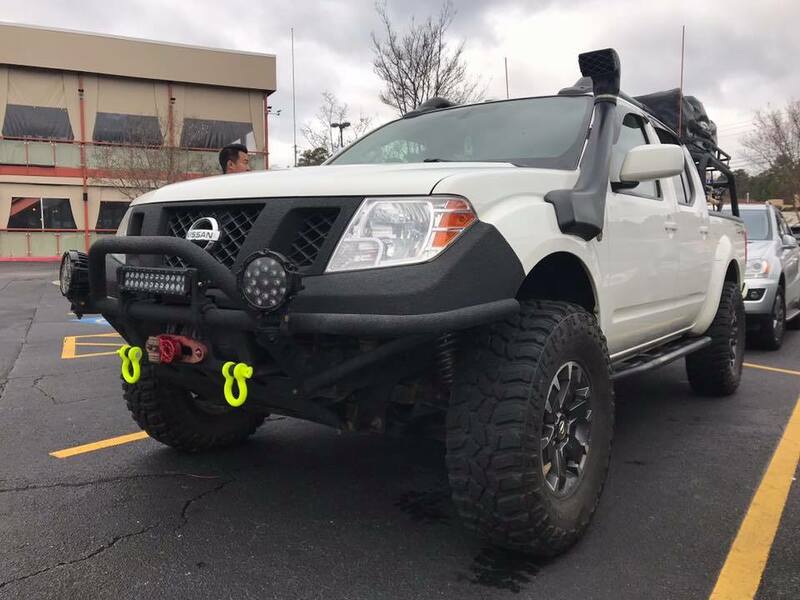 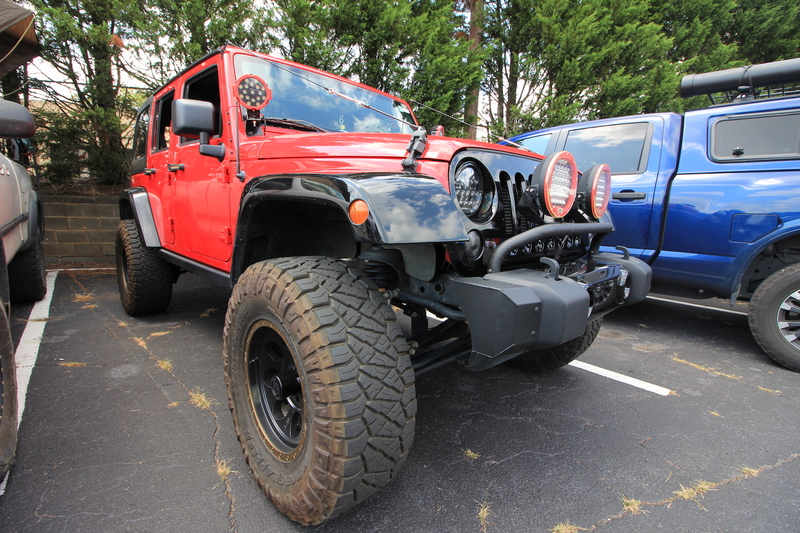 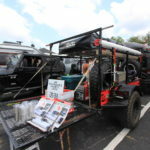 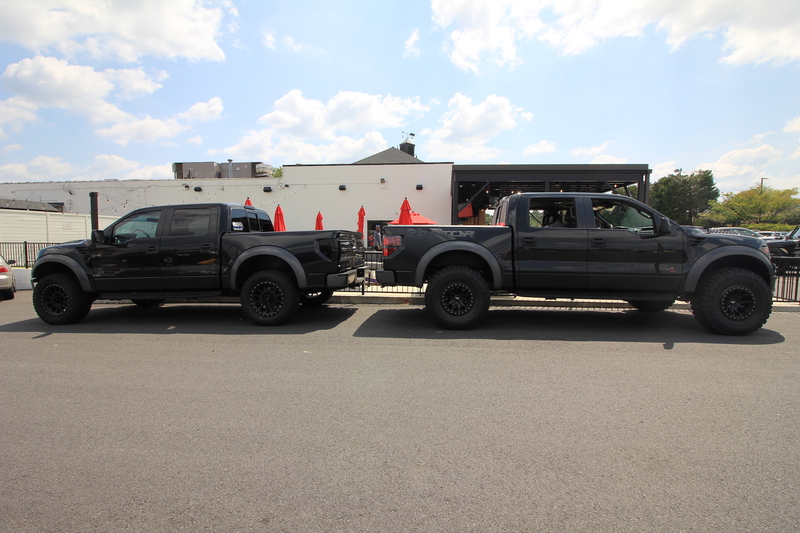 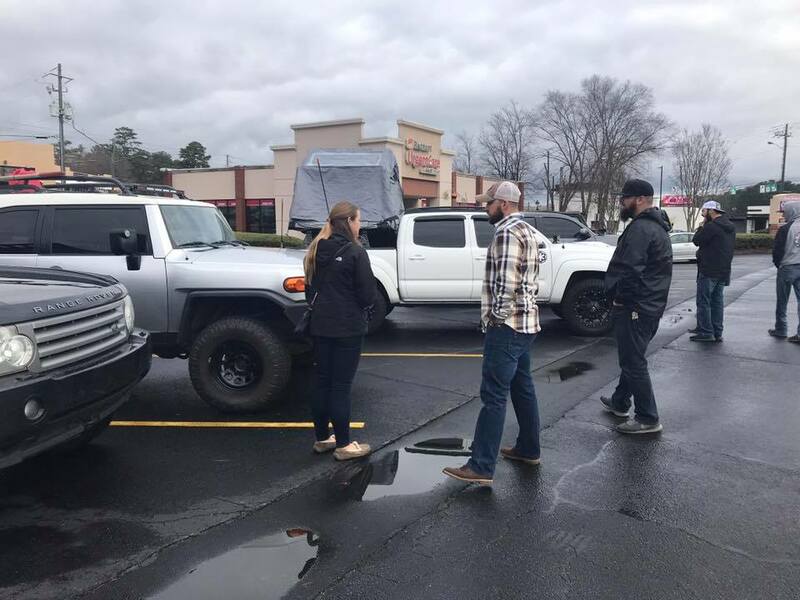 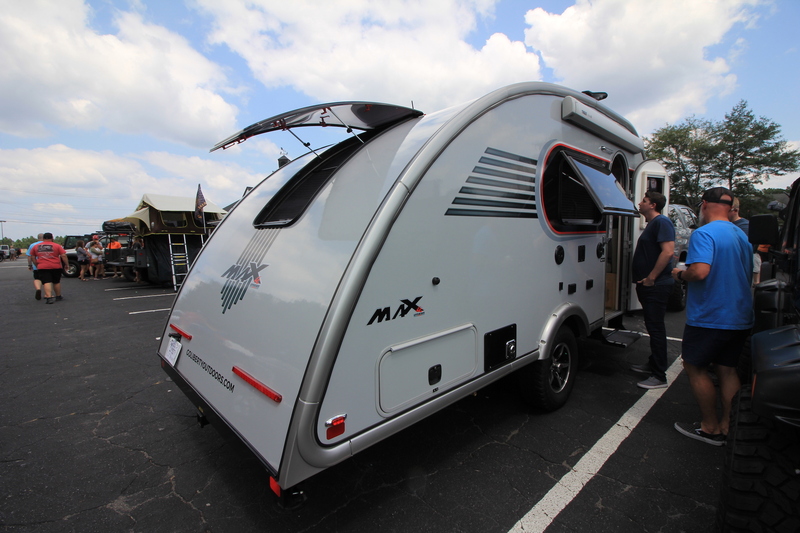 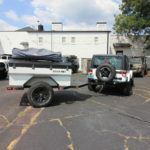 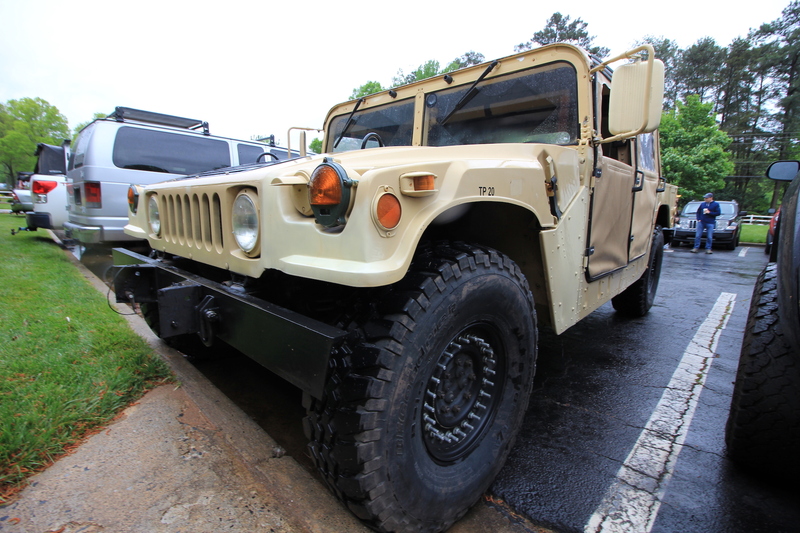 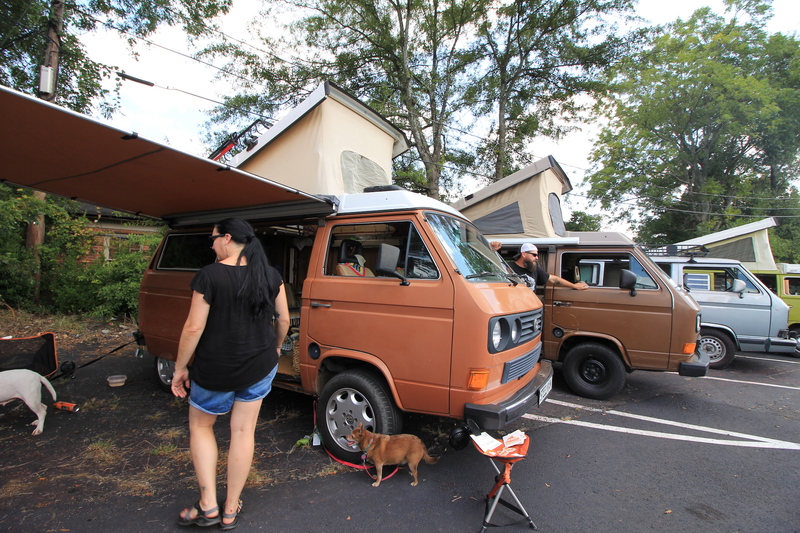 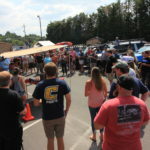 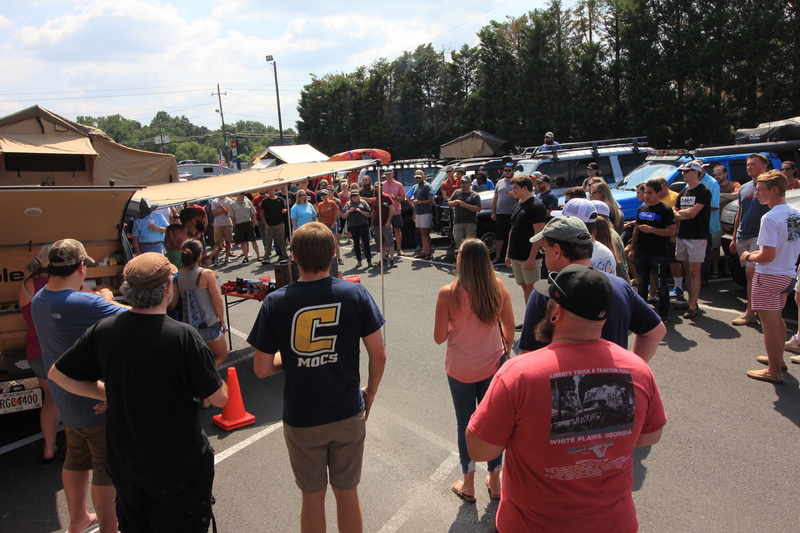 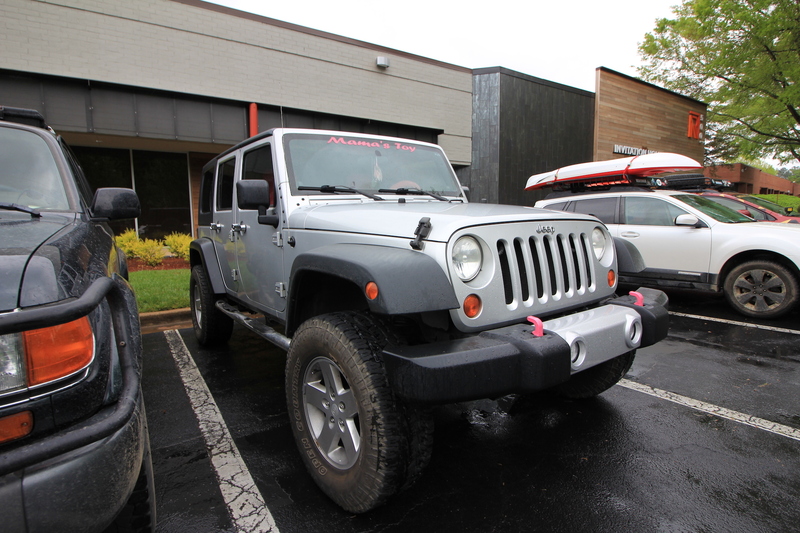 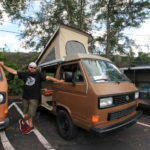 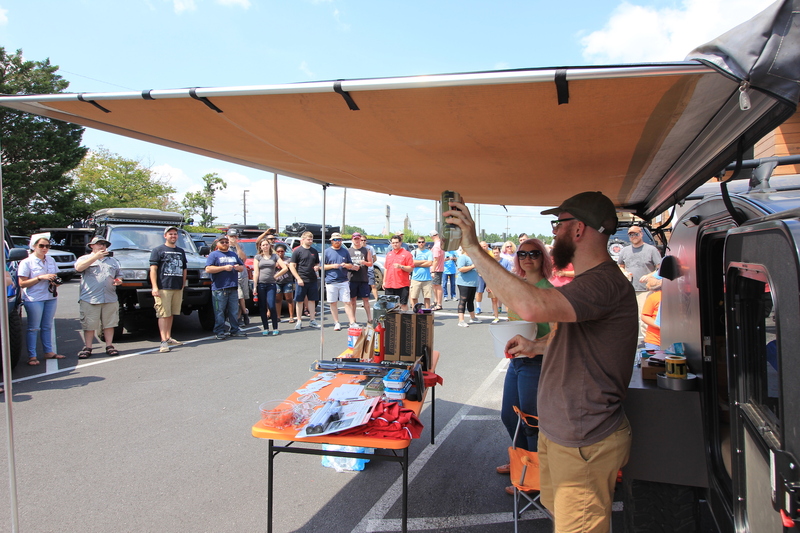 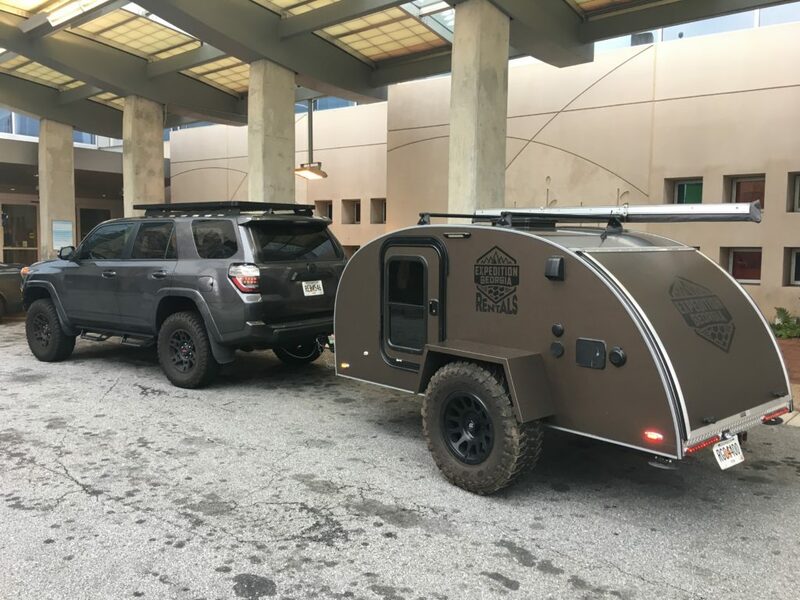 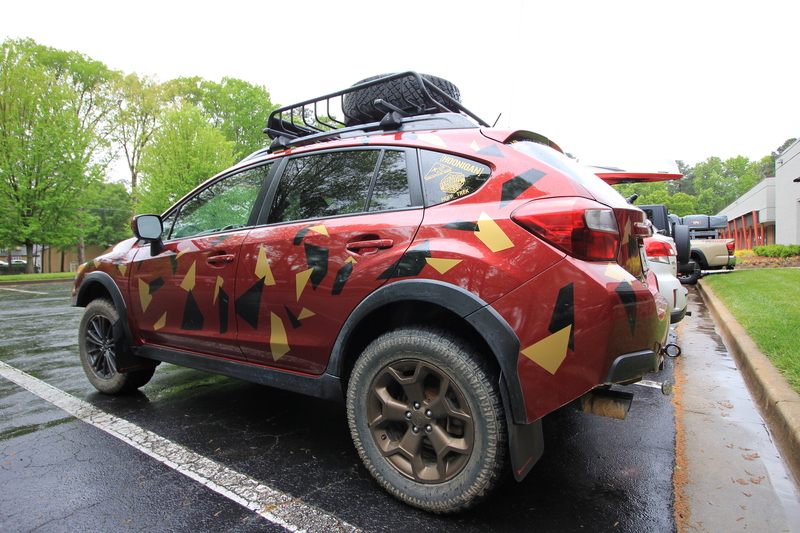 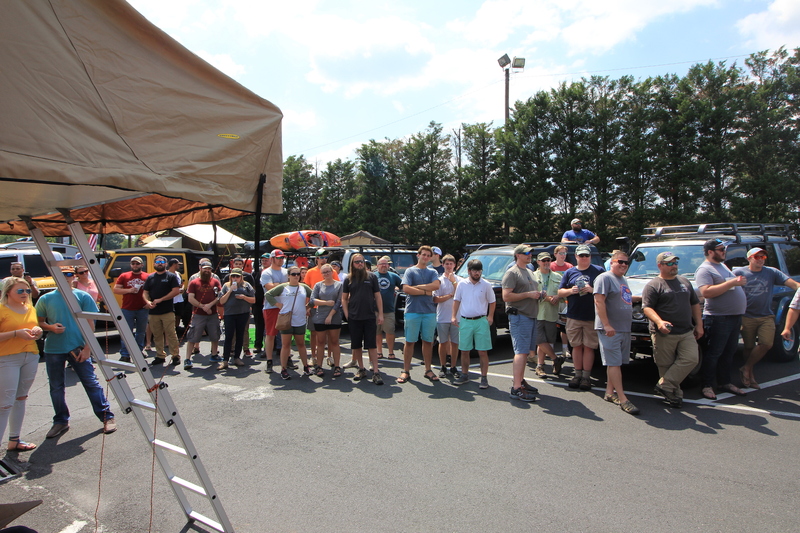 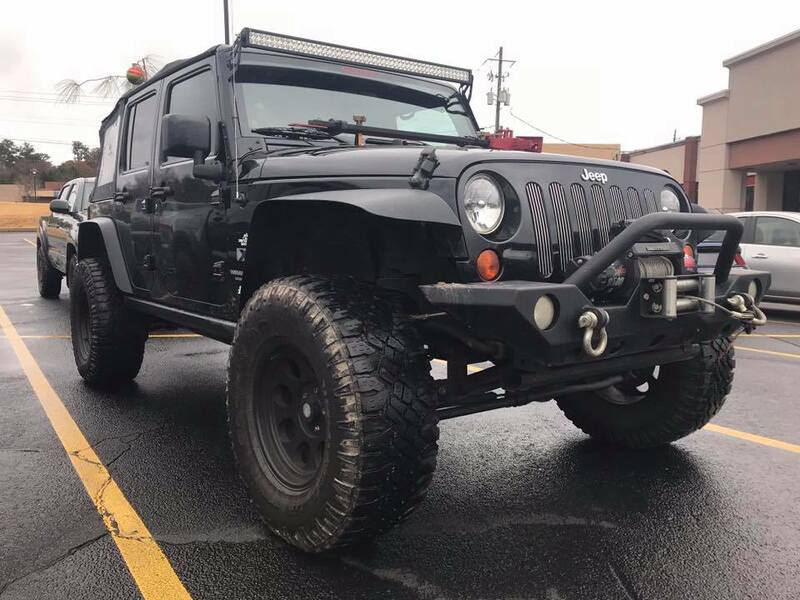 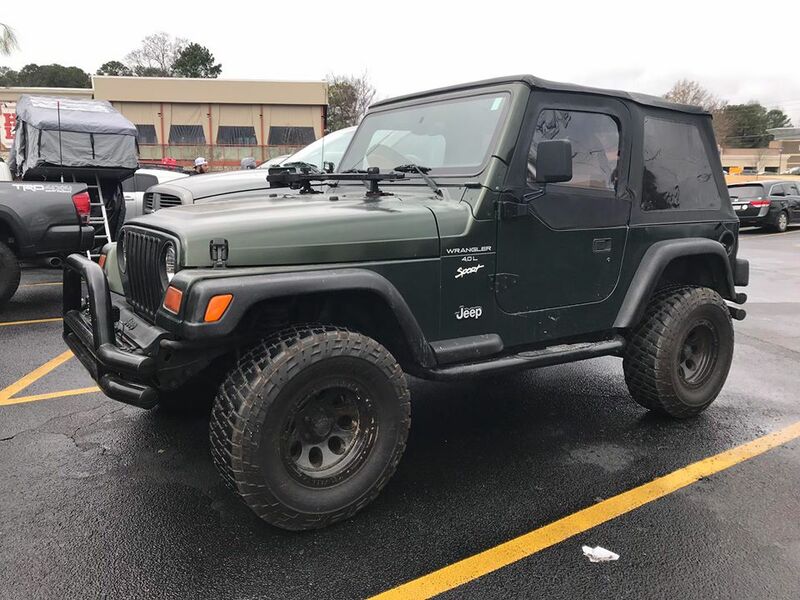 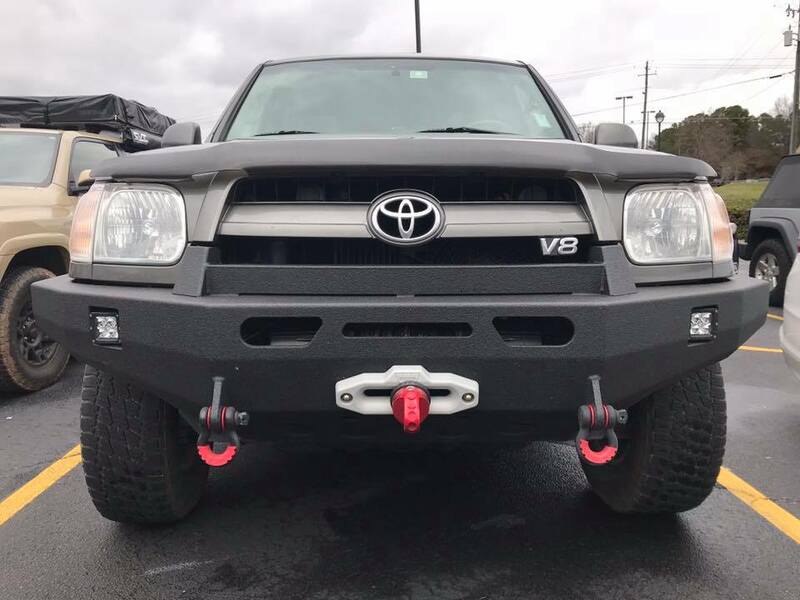 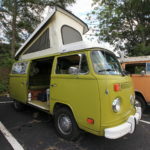 The First official Tents and Tires event was held at Pontoon Brewing in Sandy Springs, GA. Our goal was to create an event that provided people an opportunity to bring out their adventure vehicles in a relaxed atmosphere while having a brew or two! 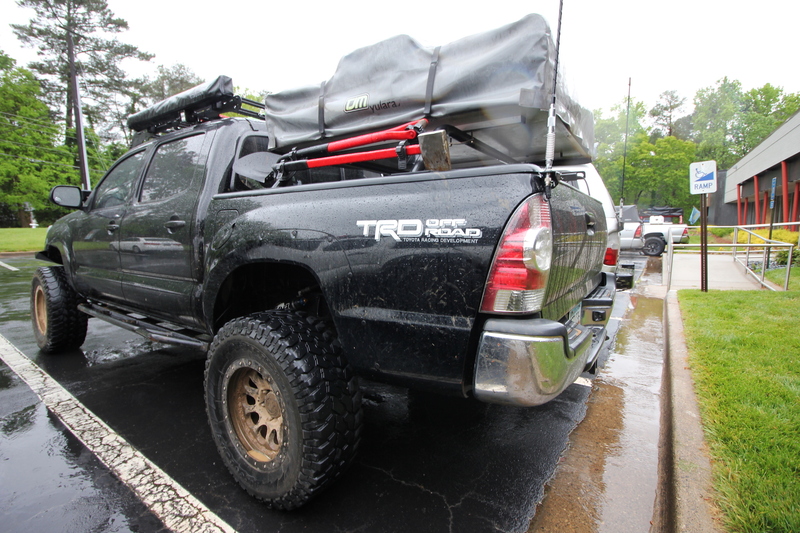 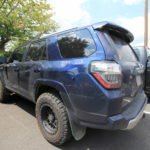 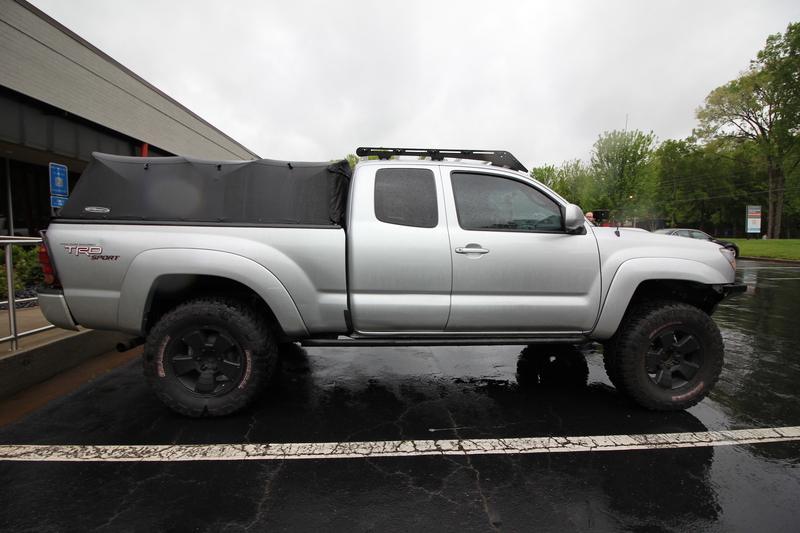 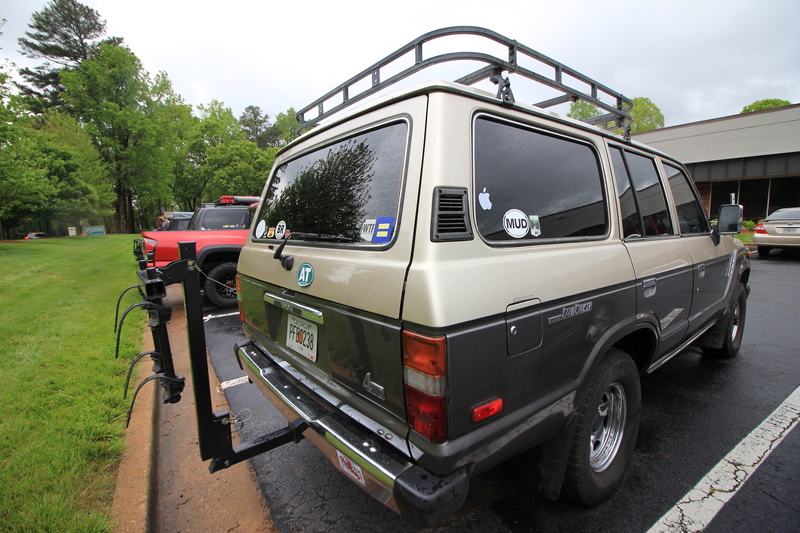 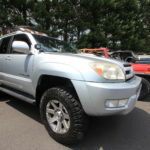 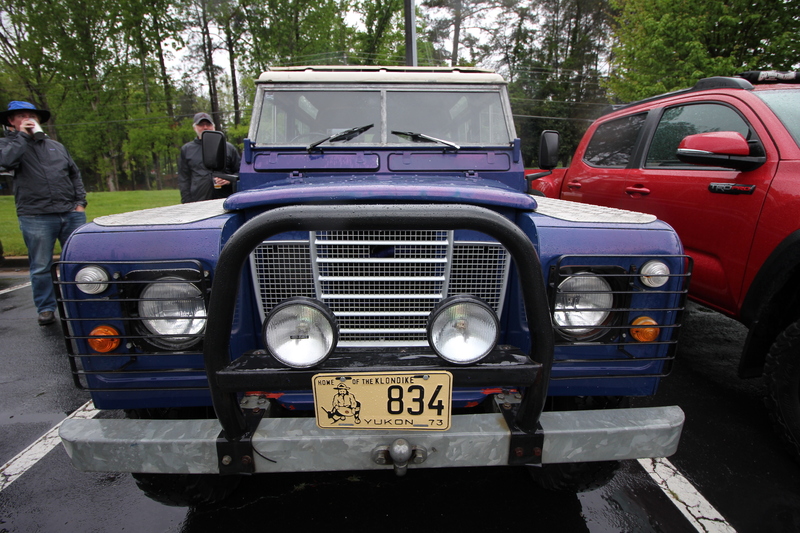 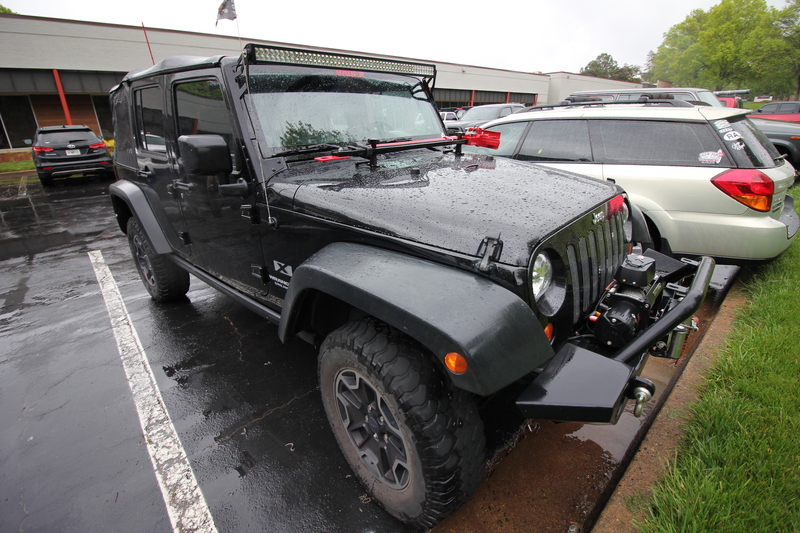 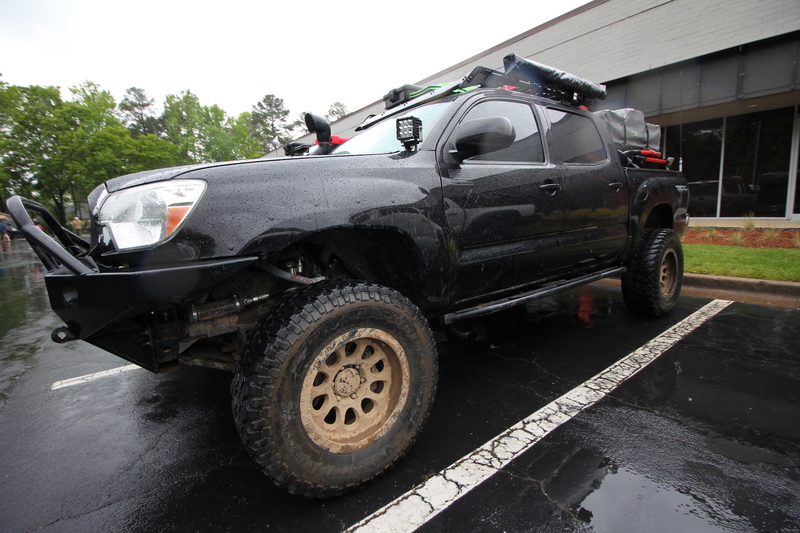 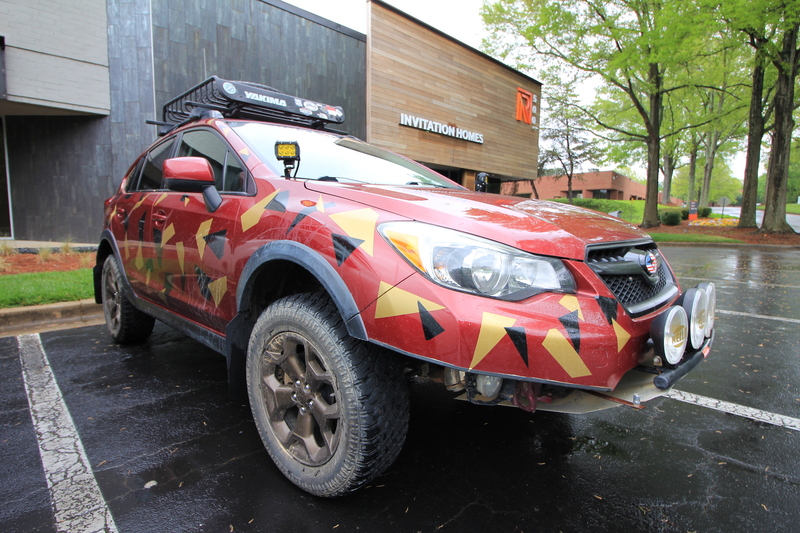 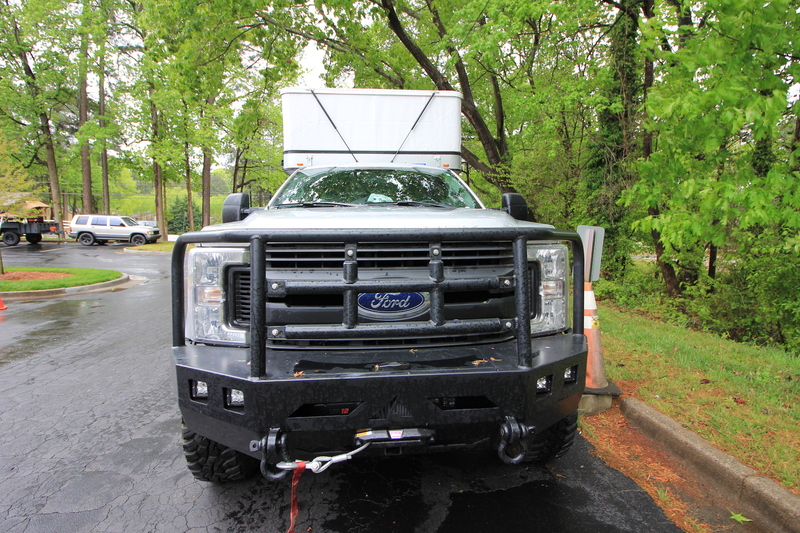 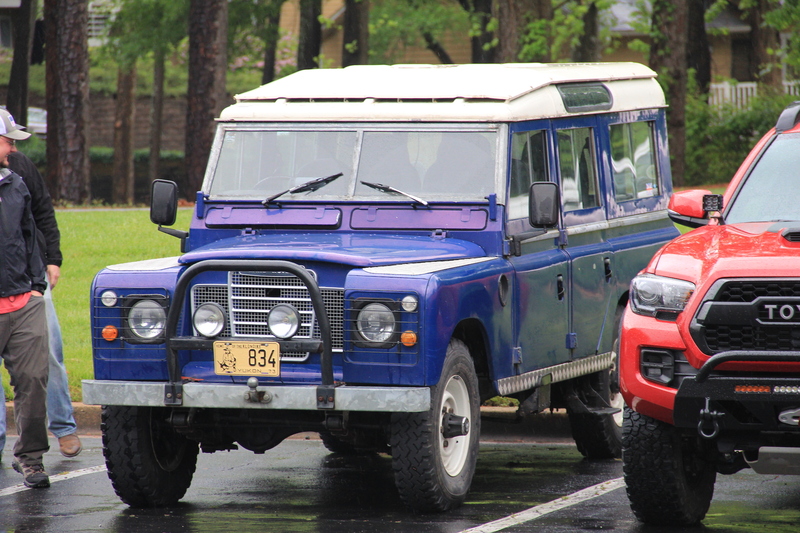 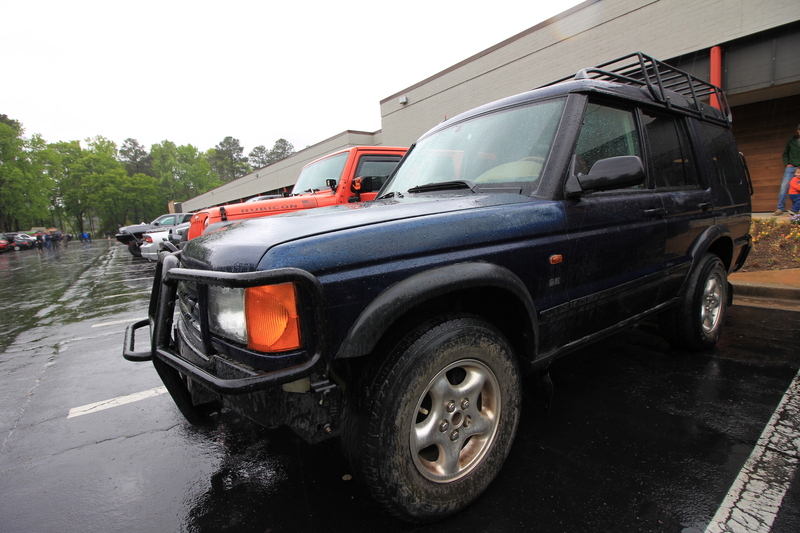 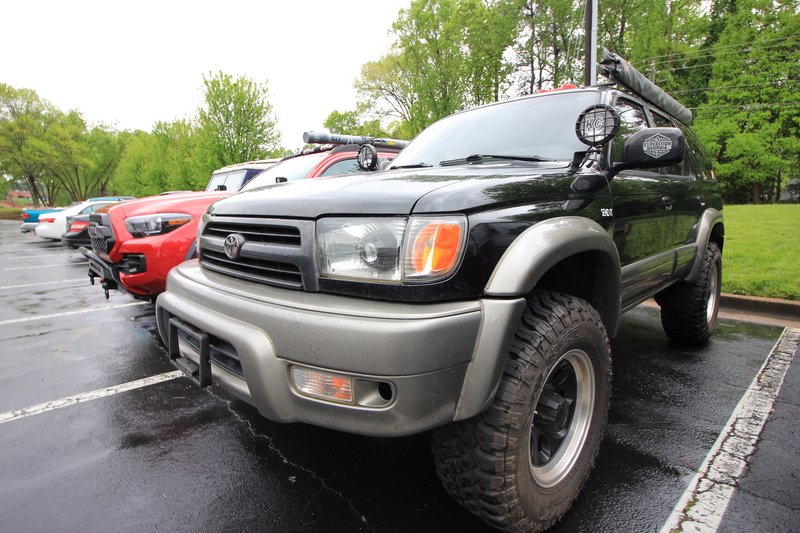 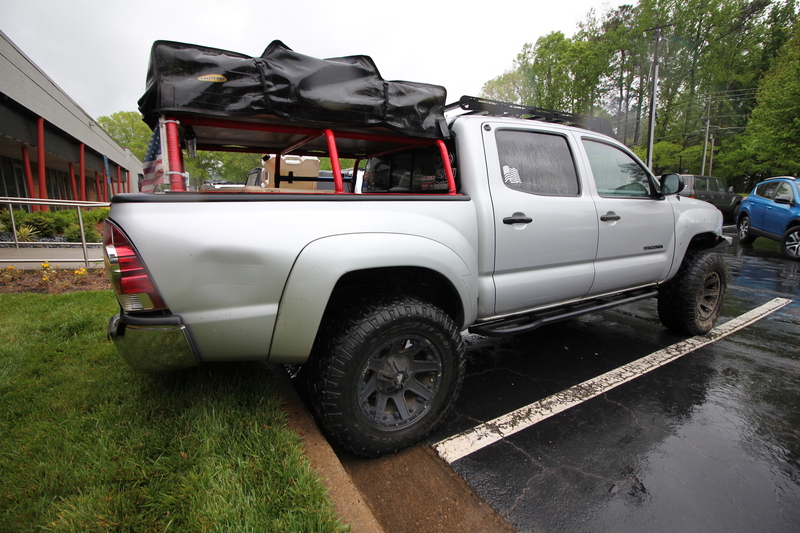 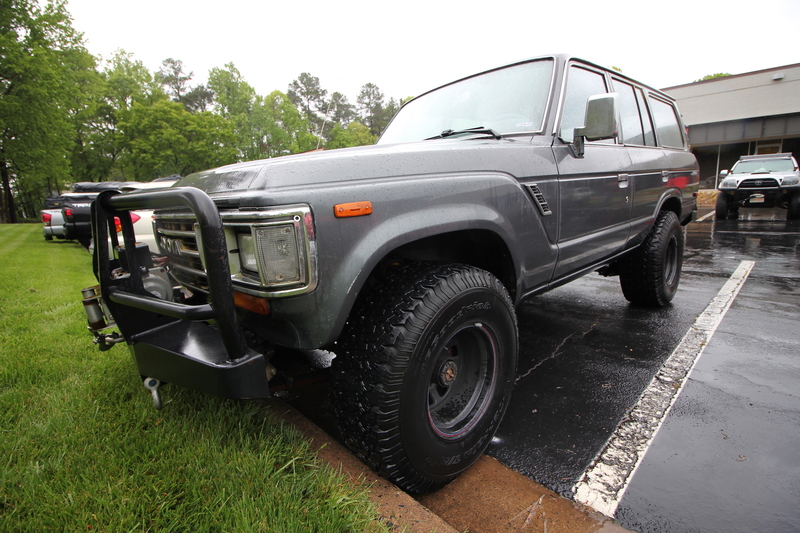 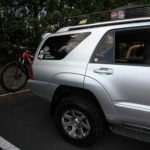 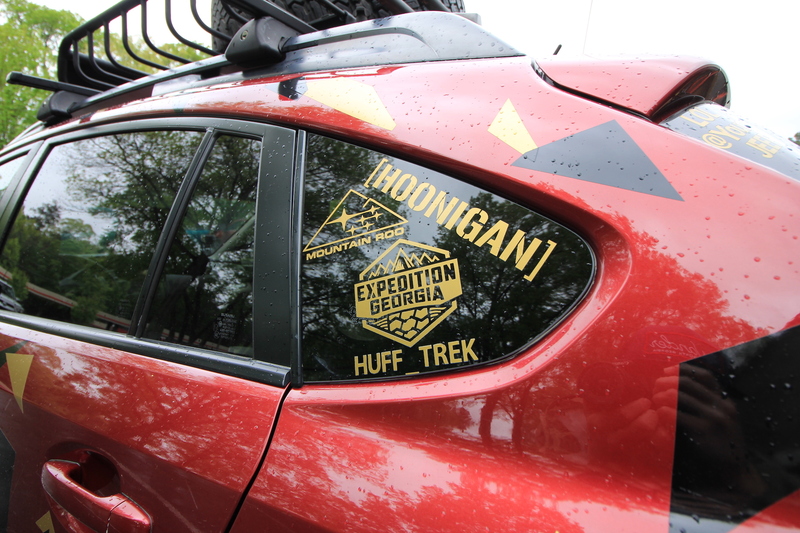 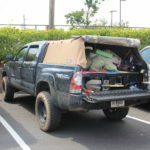 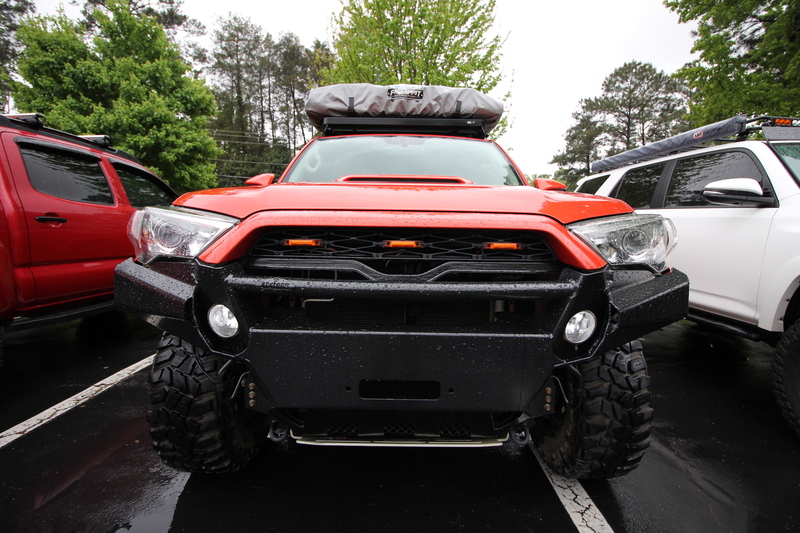 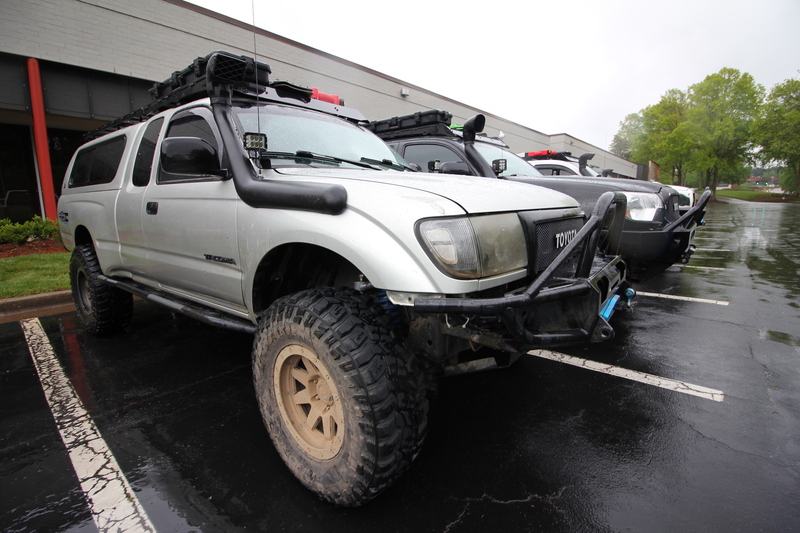 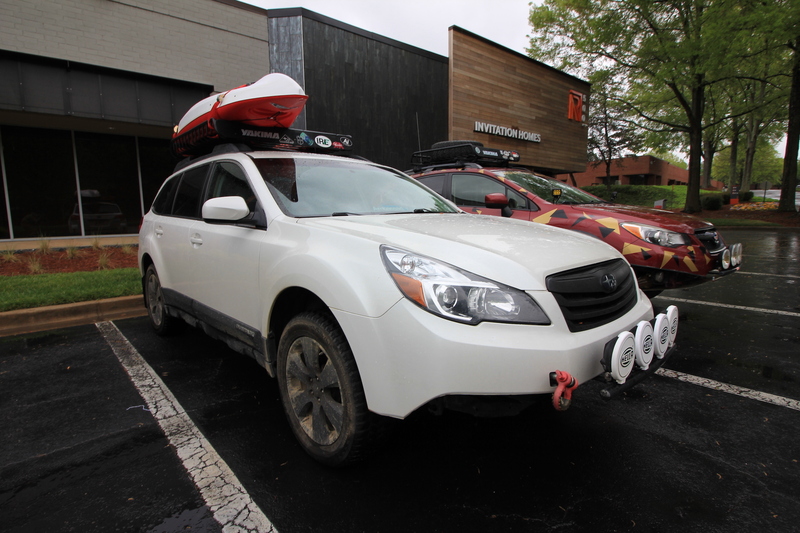 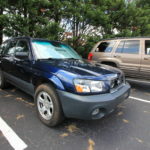 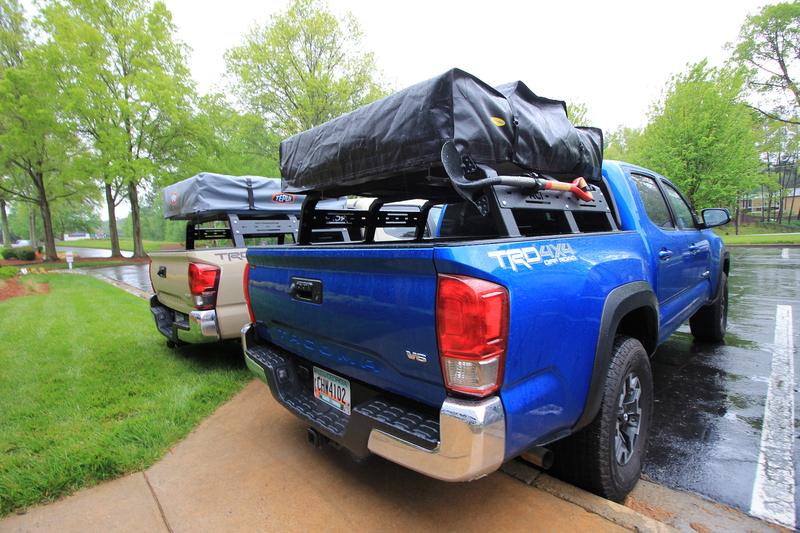 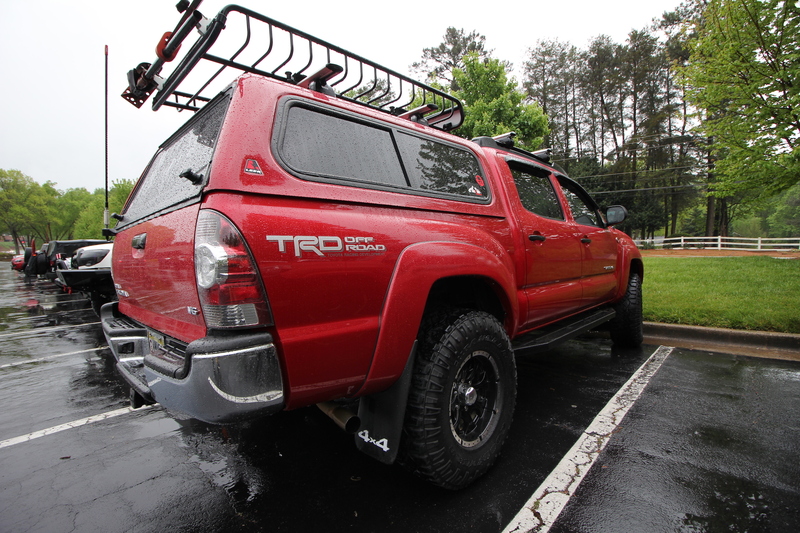 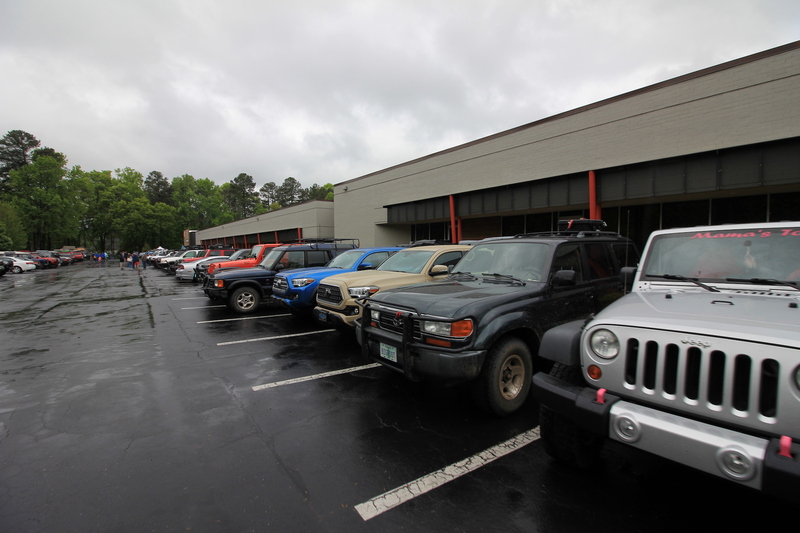 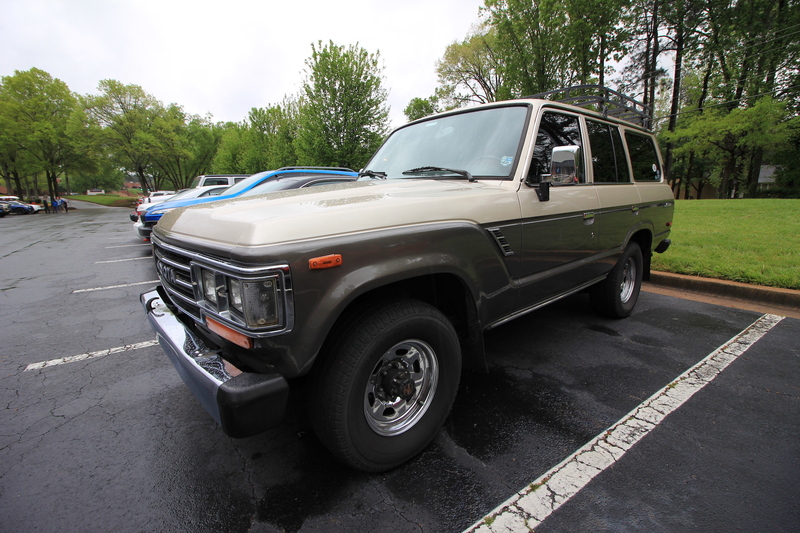 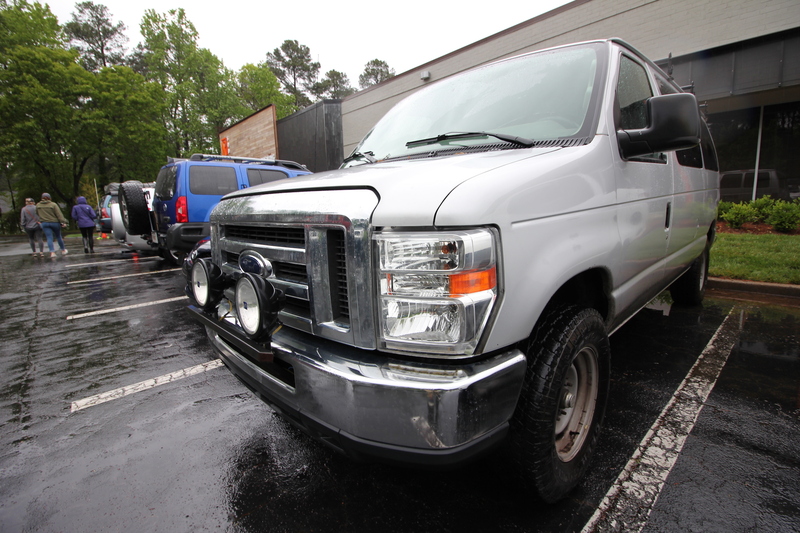 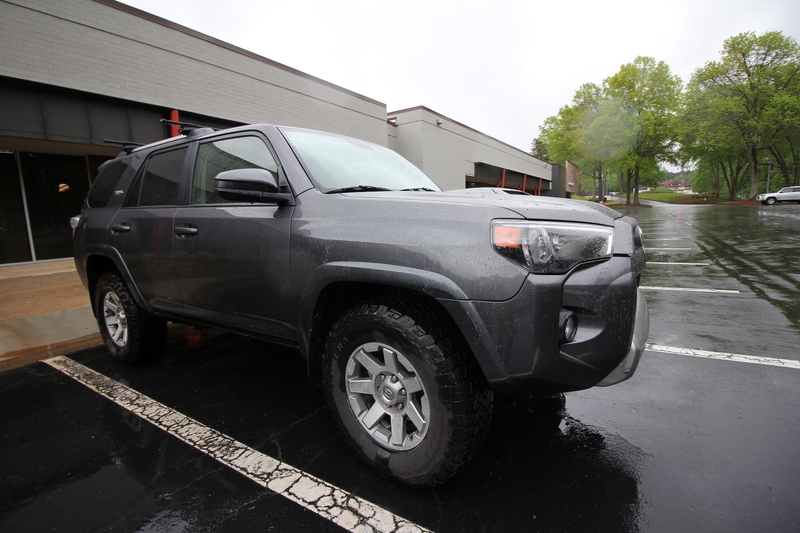 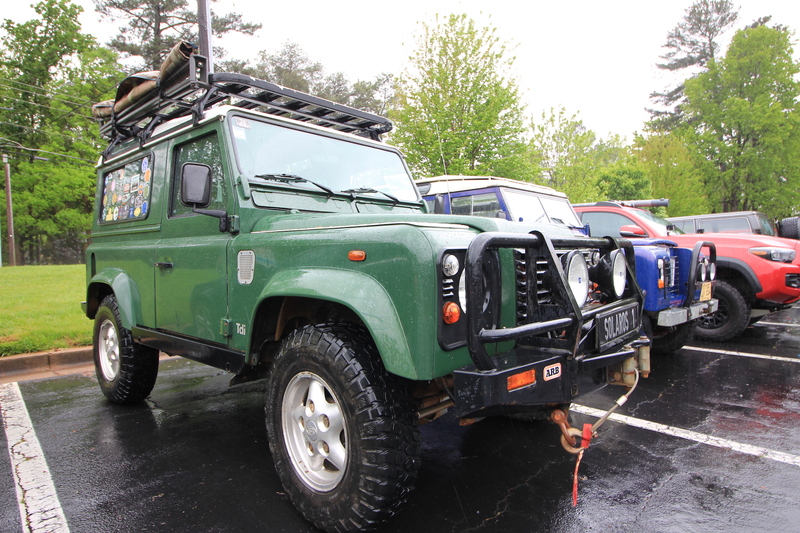 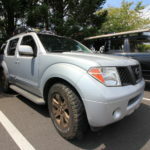 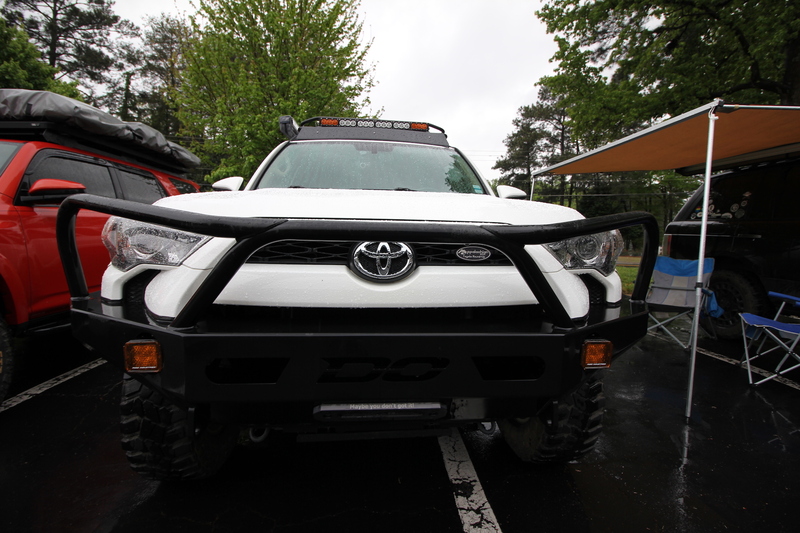 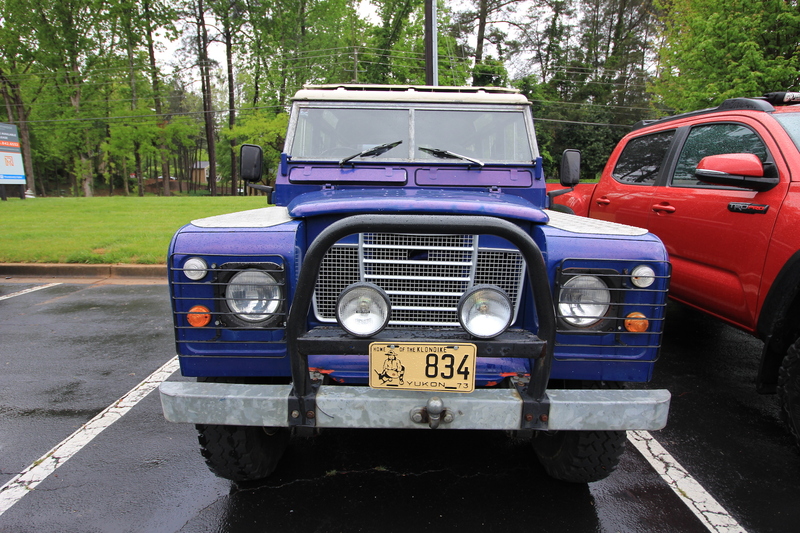 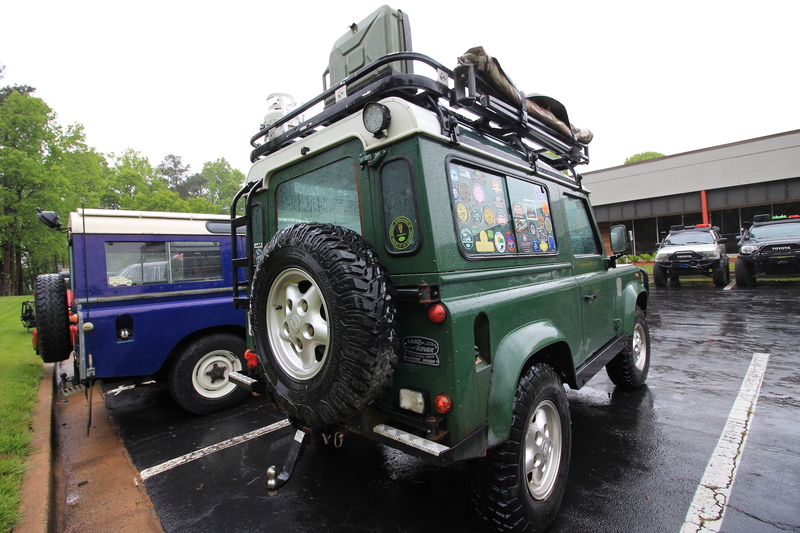 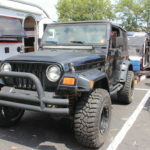 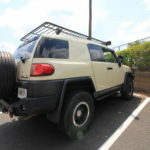 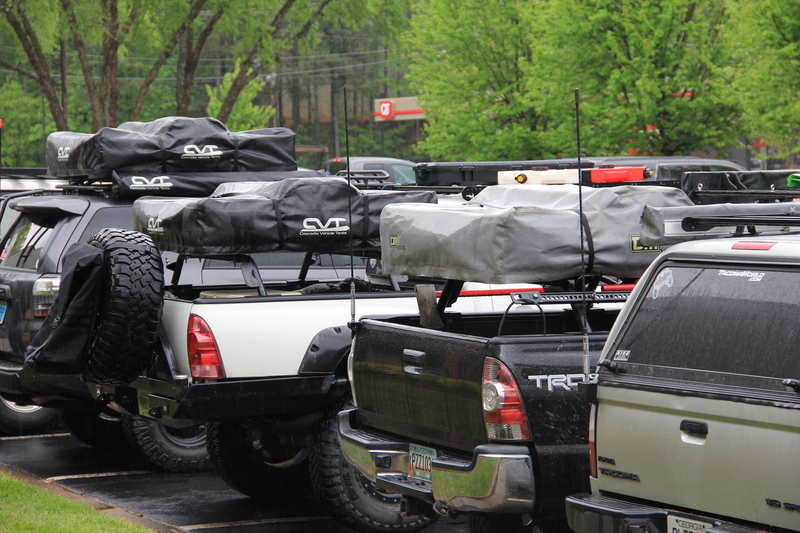 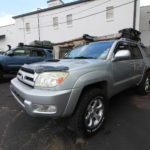 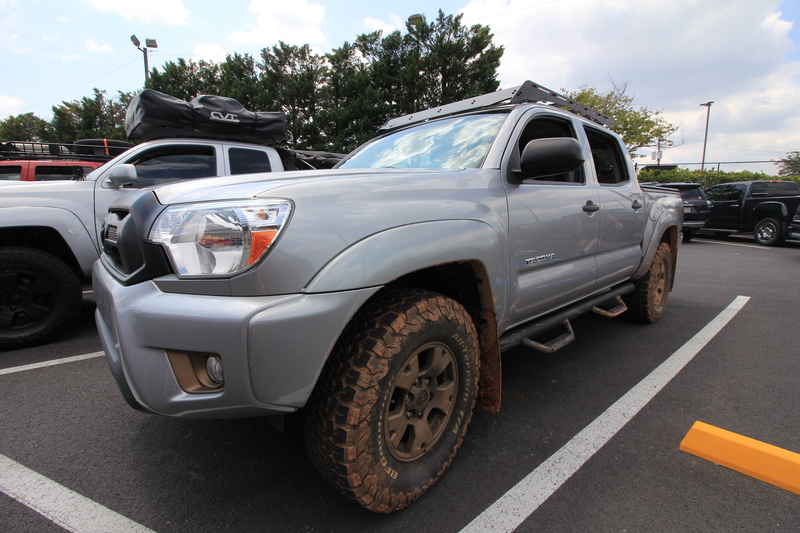 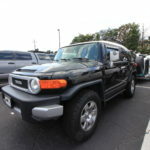 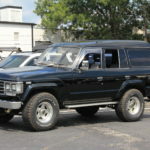 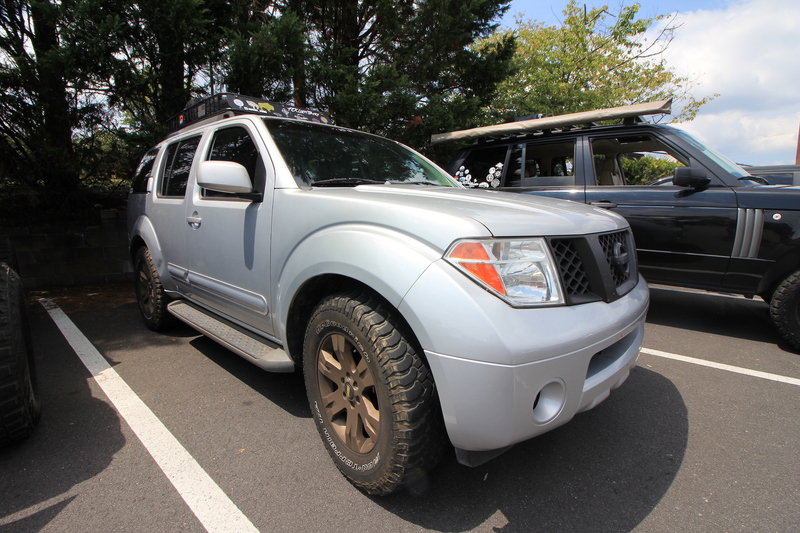 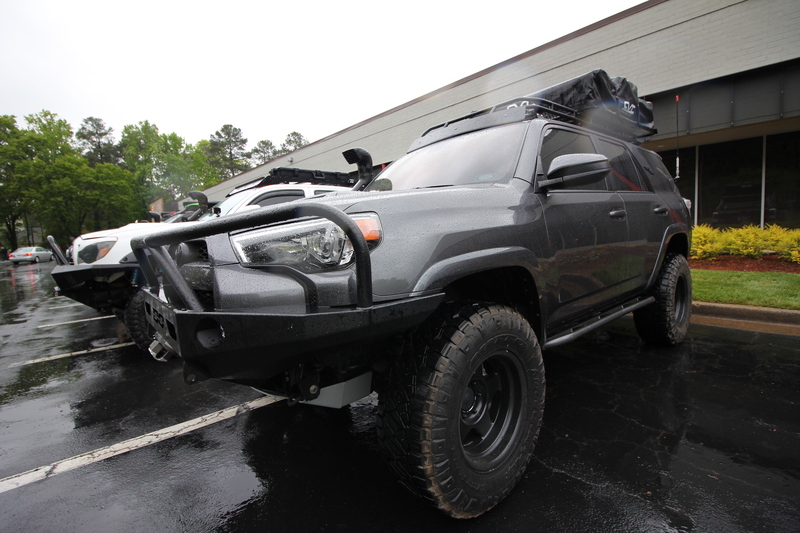 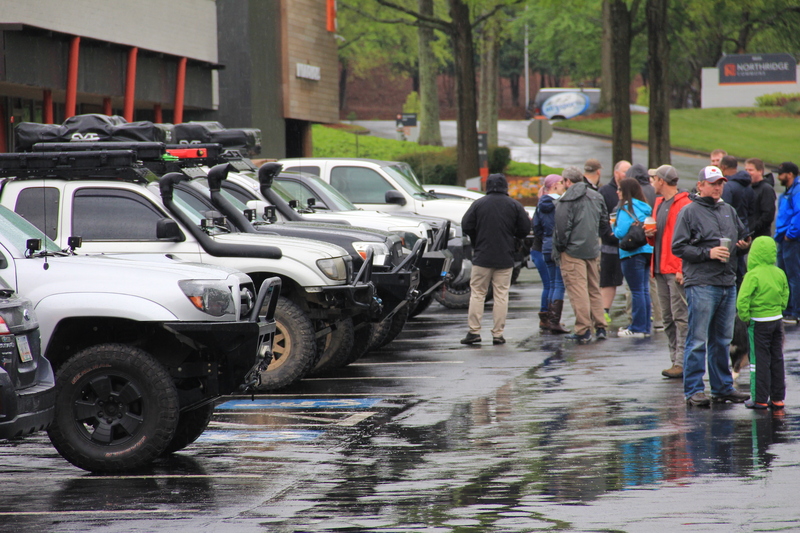 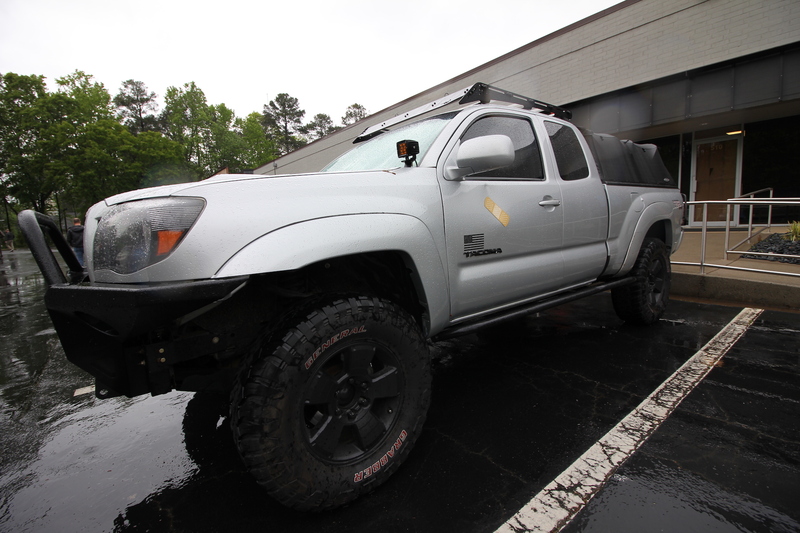 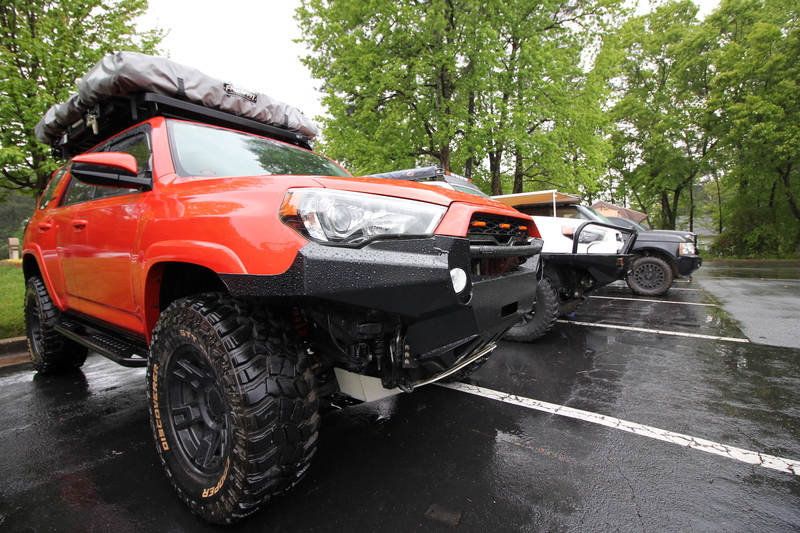 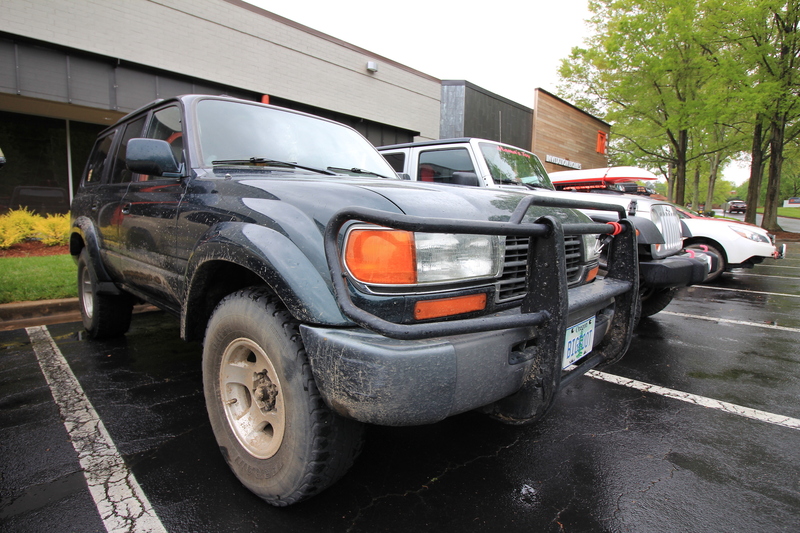 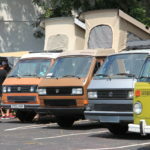 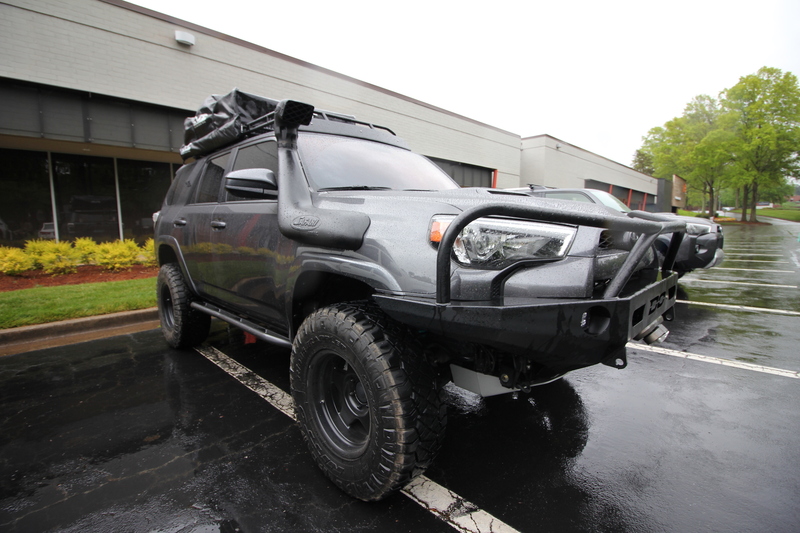 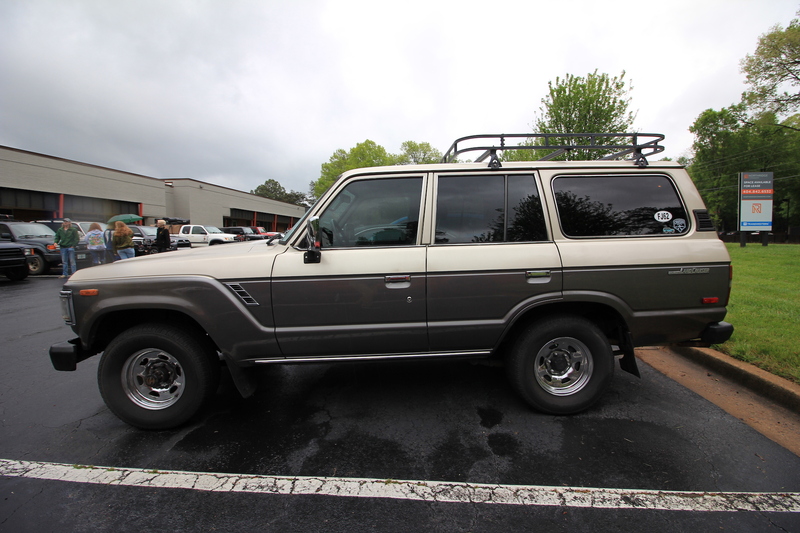 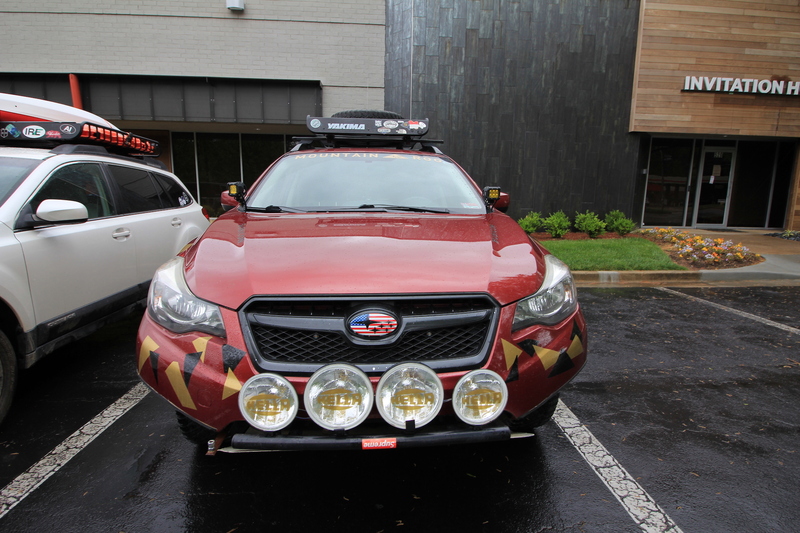 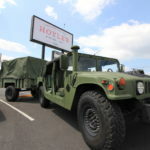 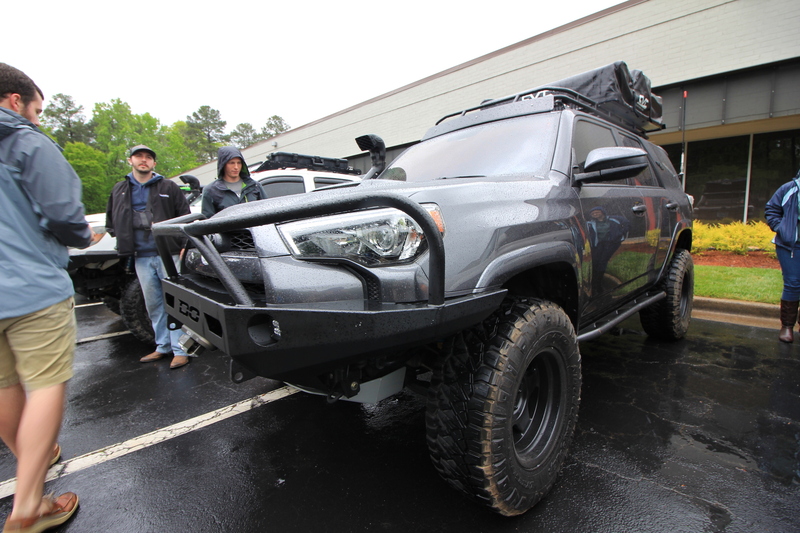 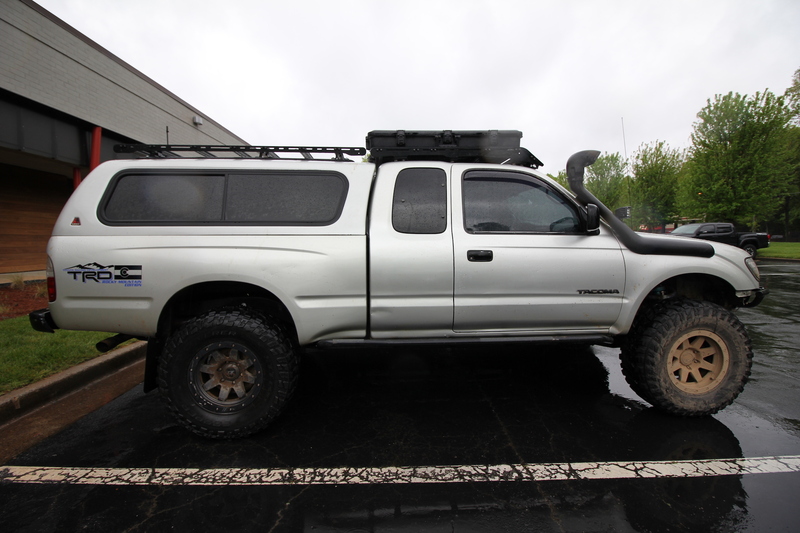 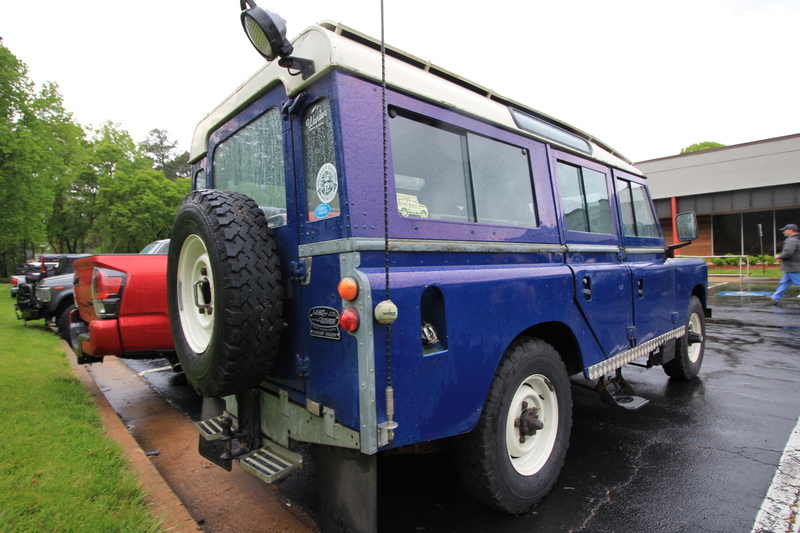 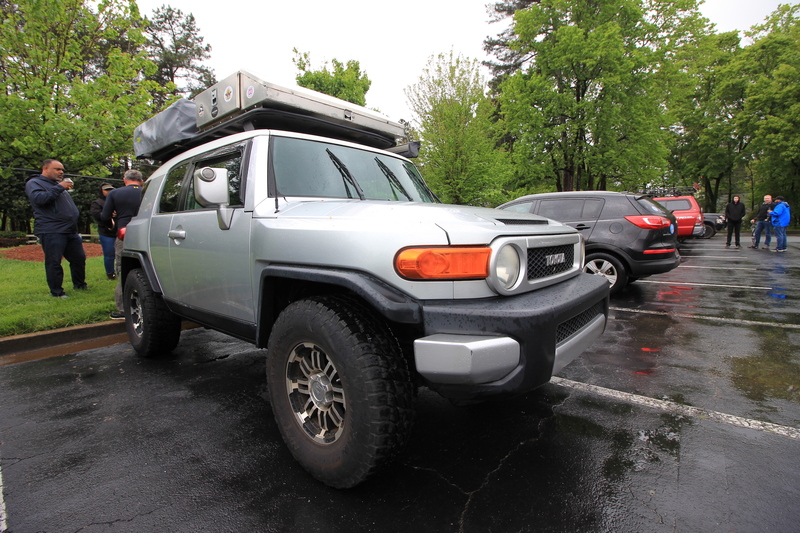 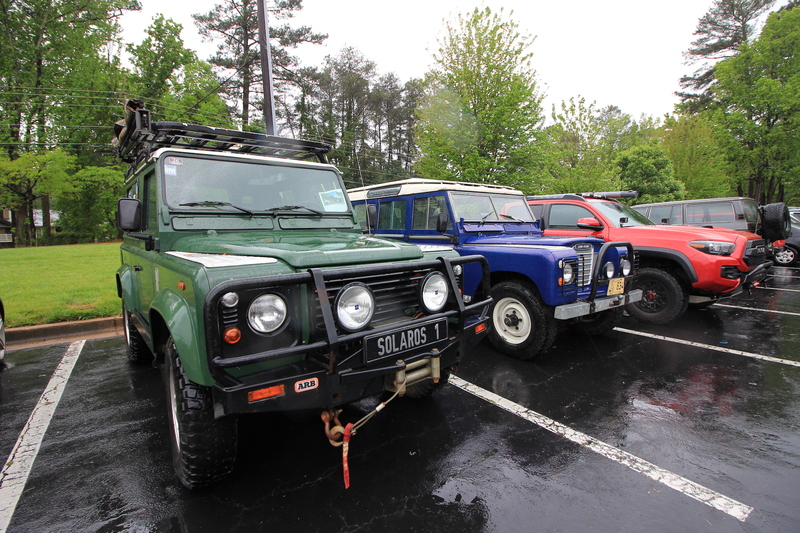 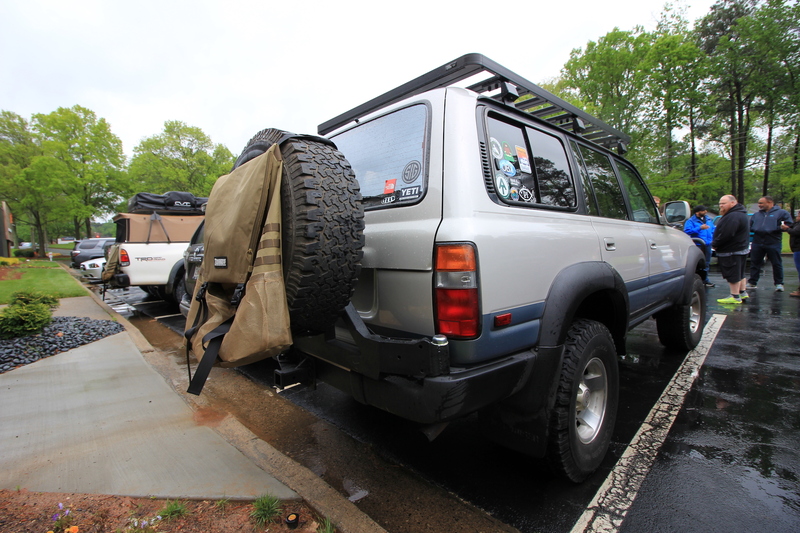 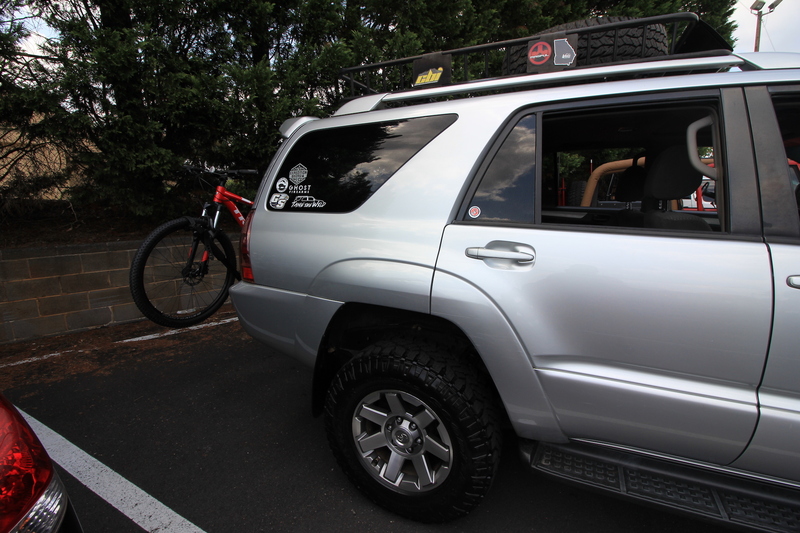 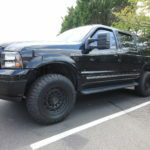 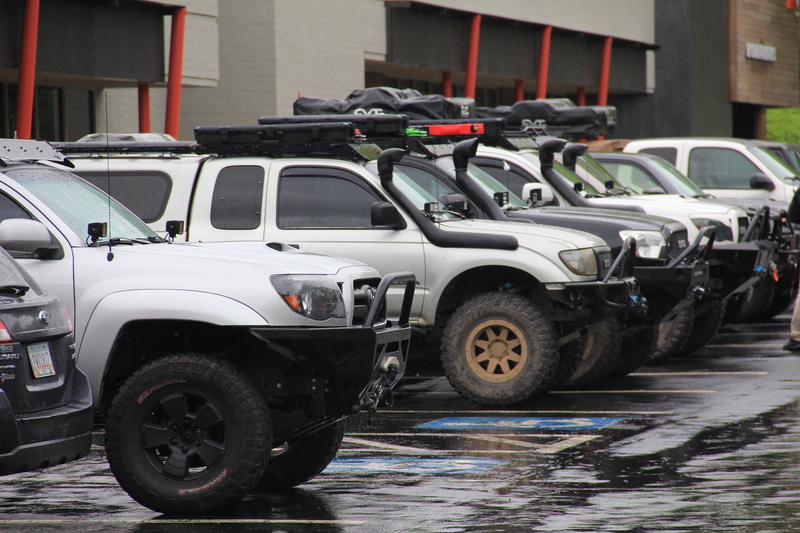 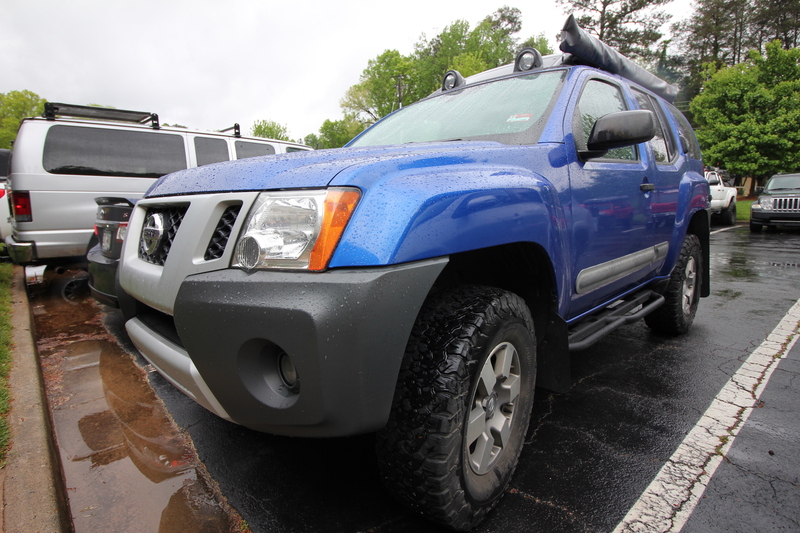 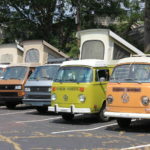 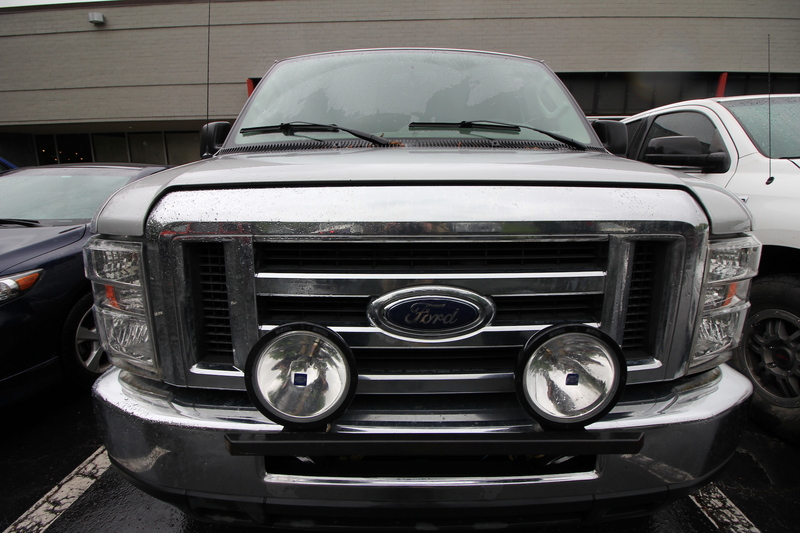 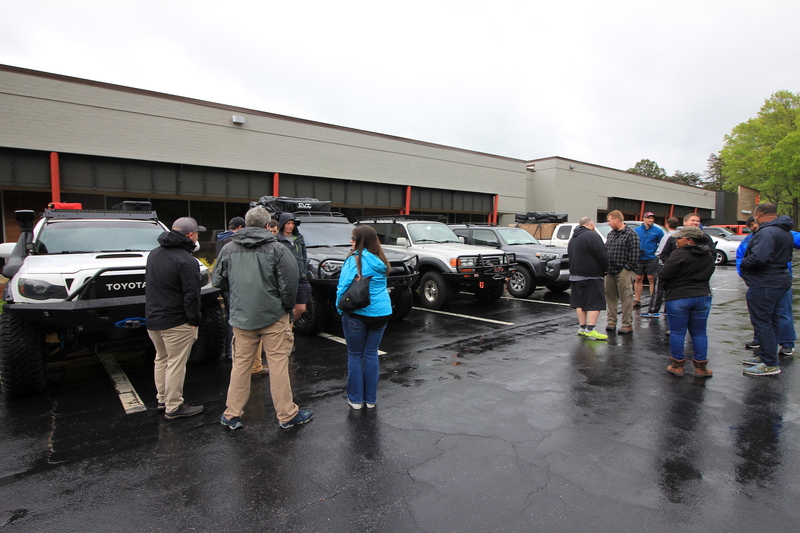 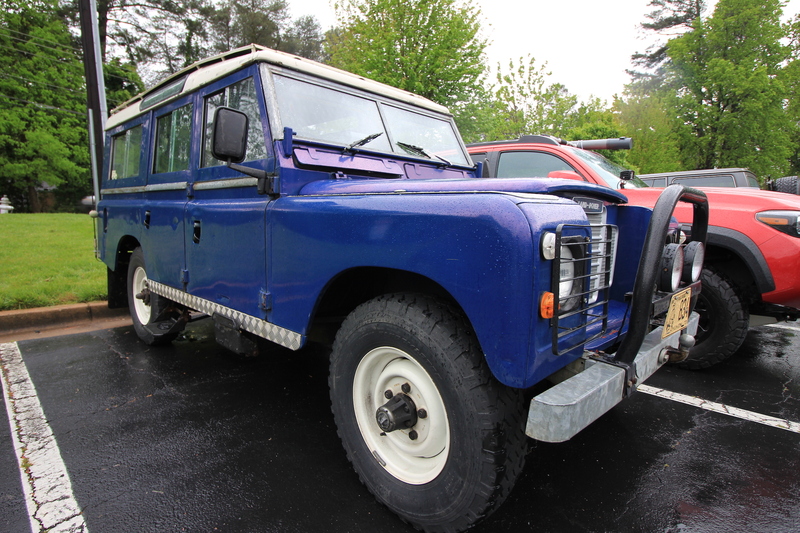 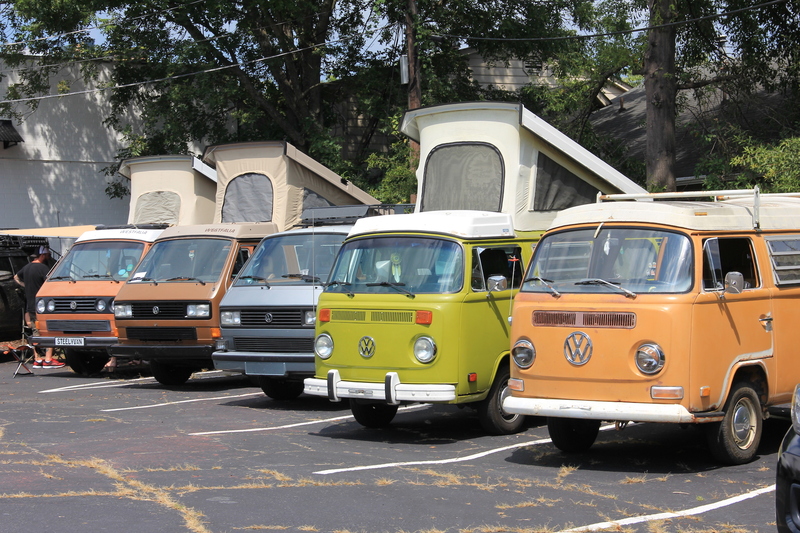 Hardly discouraged by the April showers, over 50 adventure vehicles came out and shared the Sunday afternoon with us! 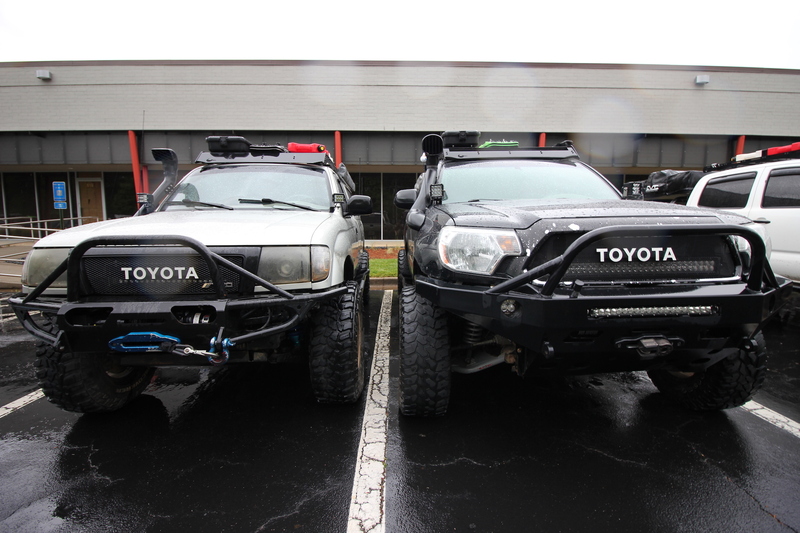 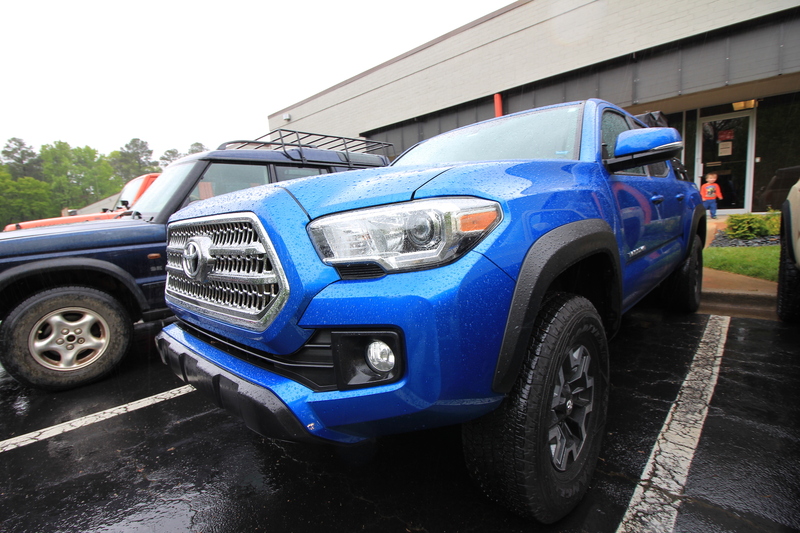 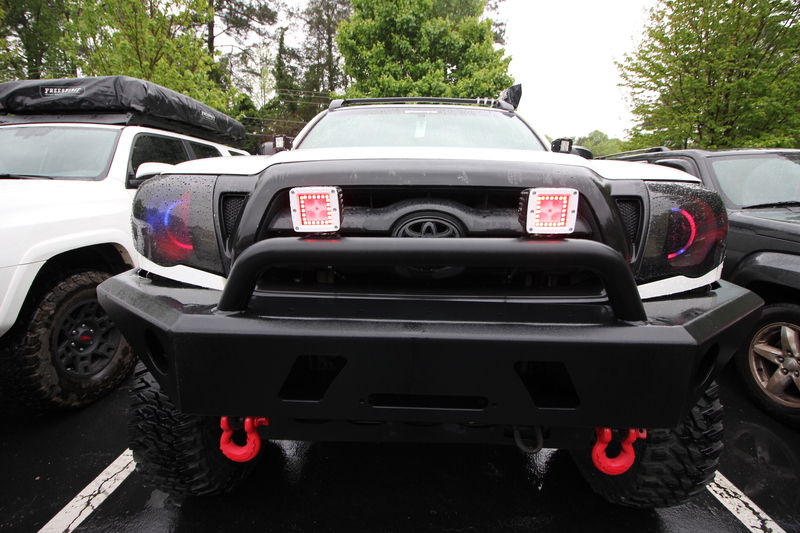 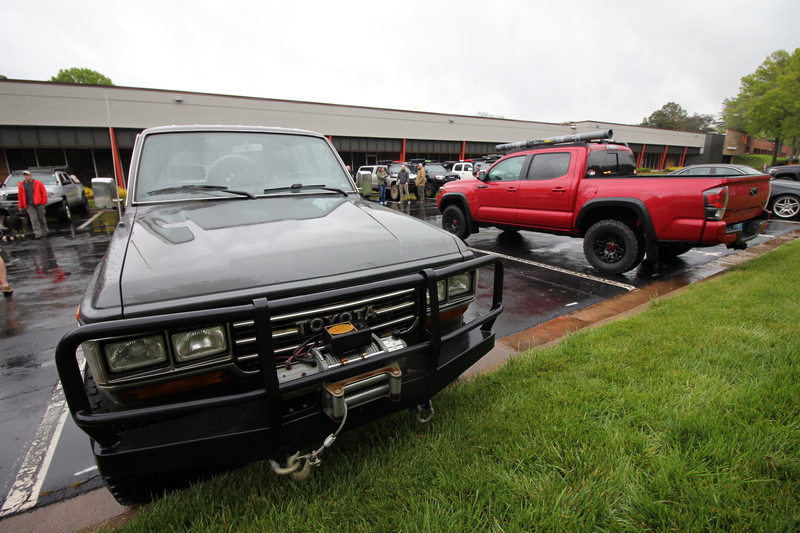 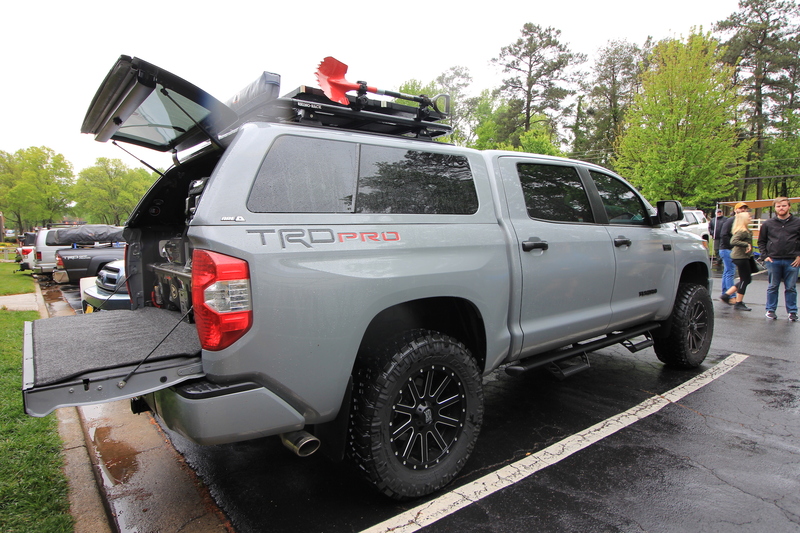 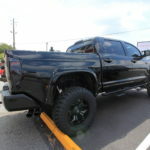 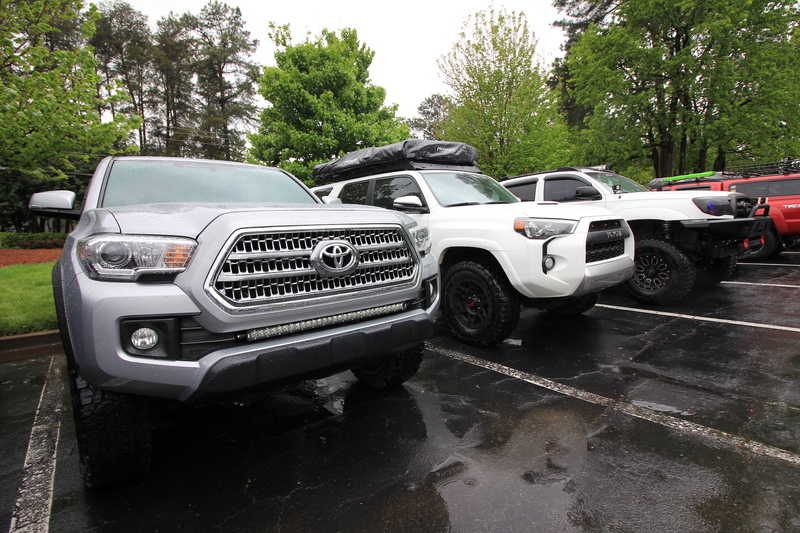 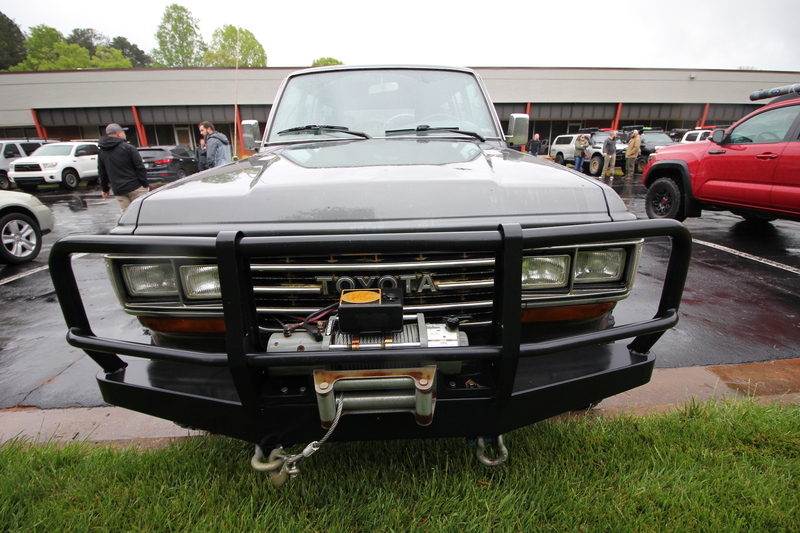 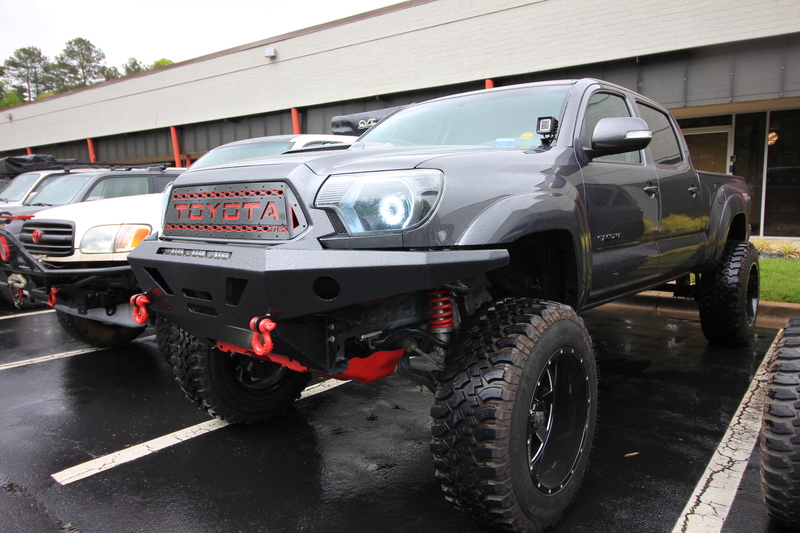 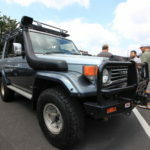 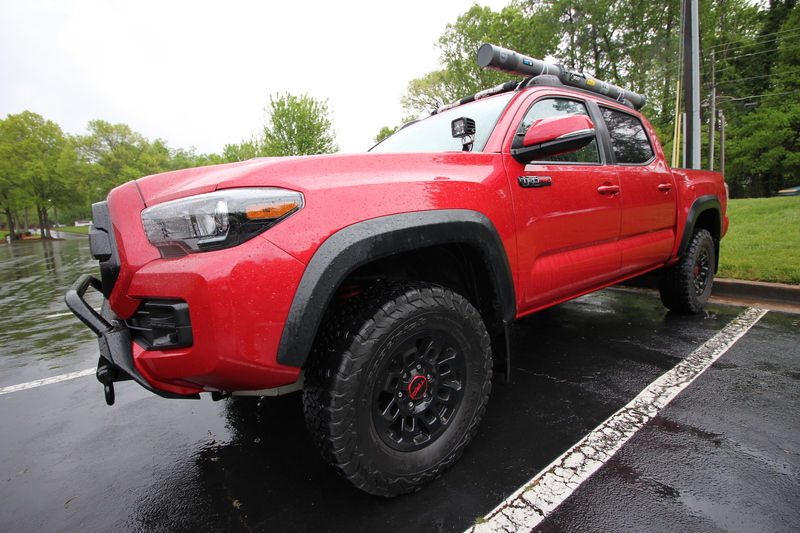 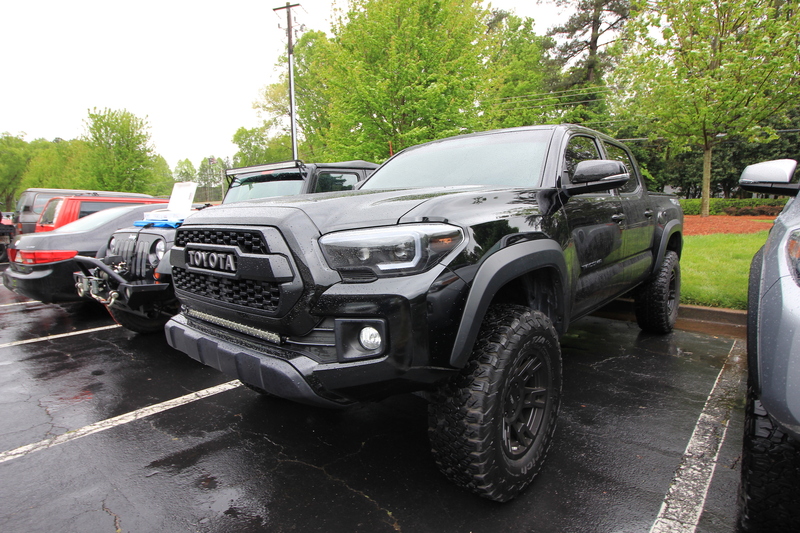 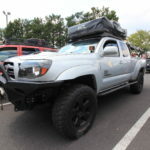 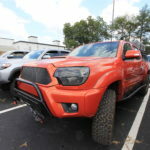 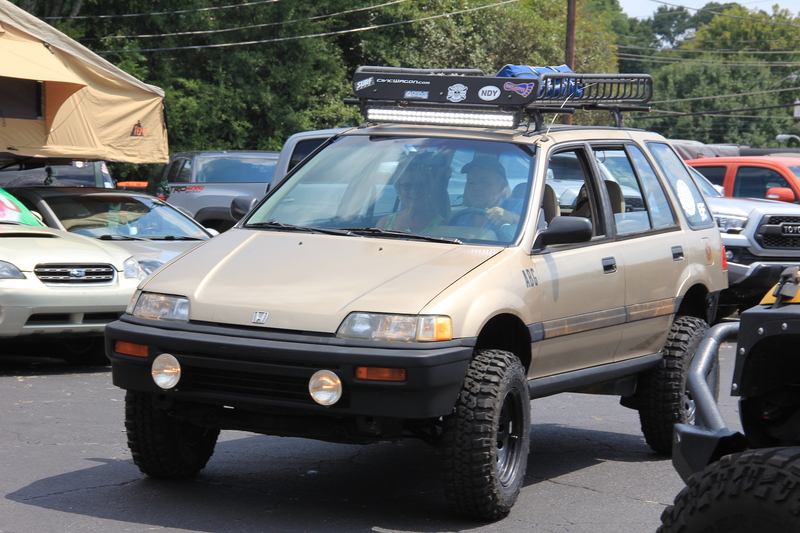 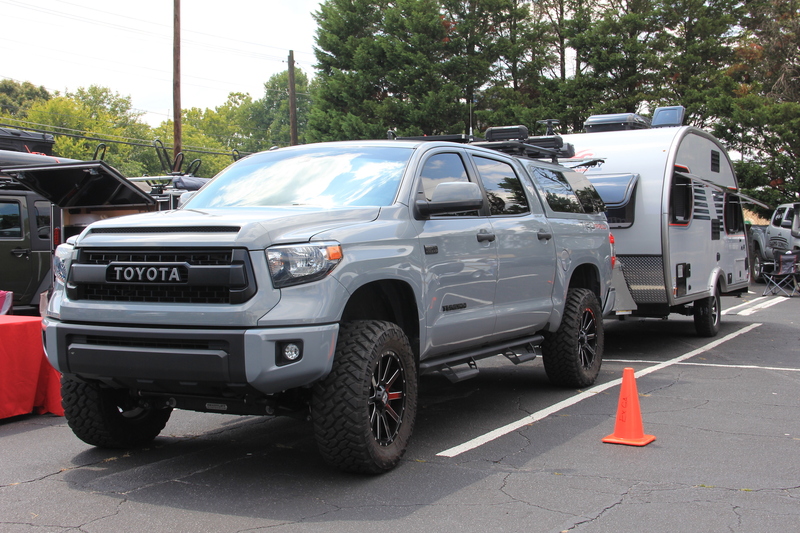 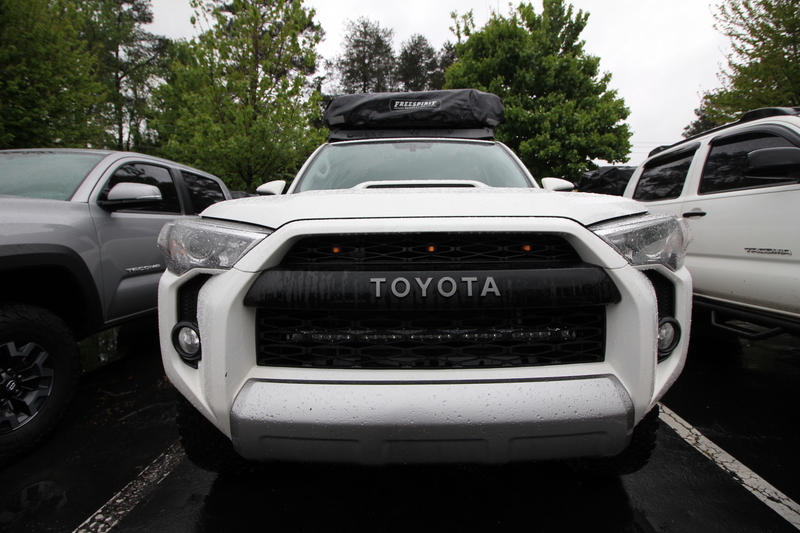 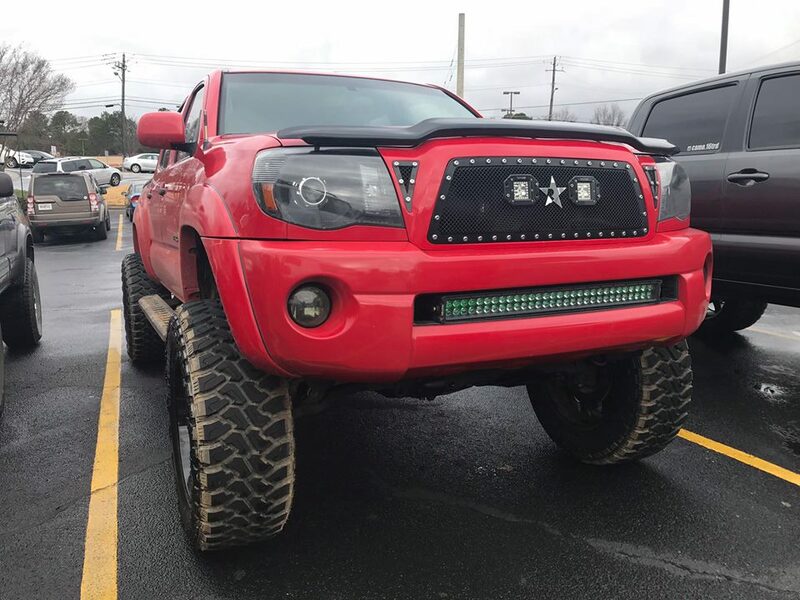 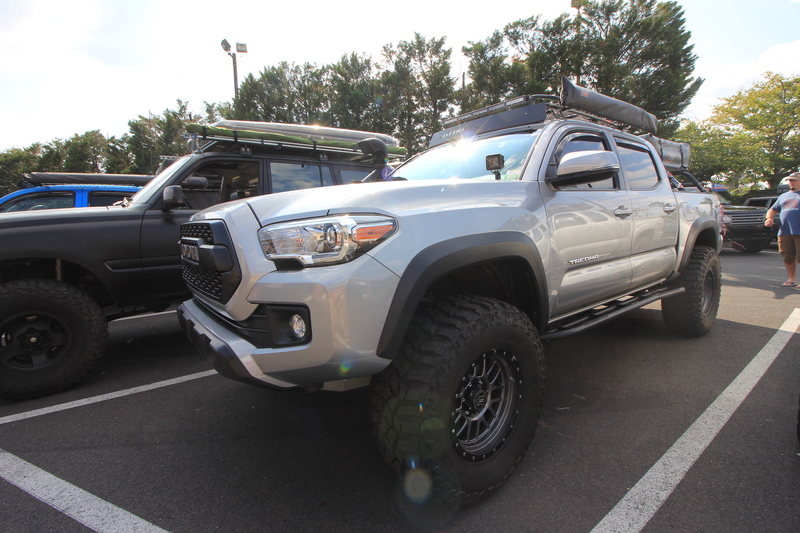 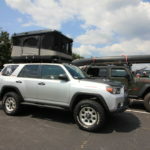 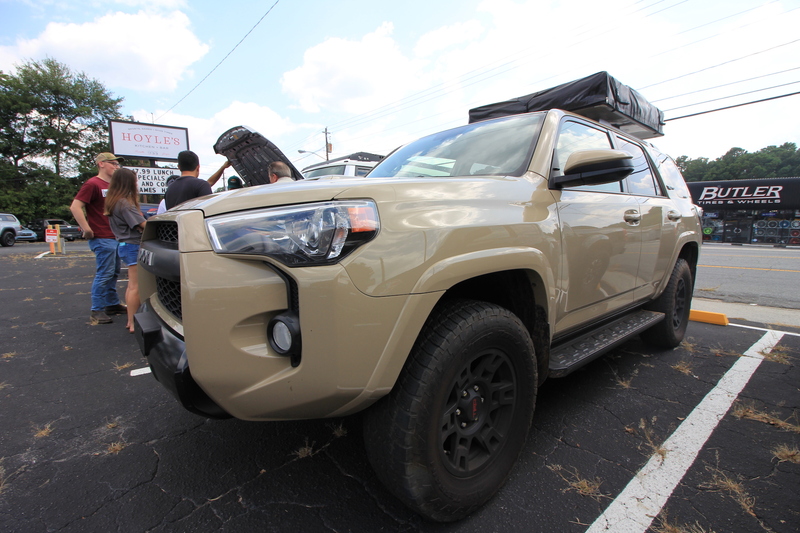 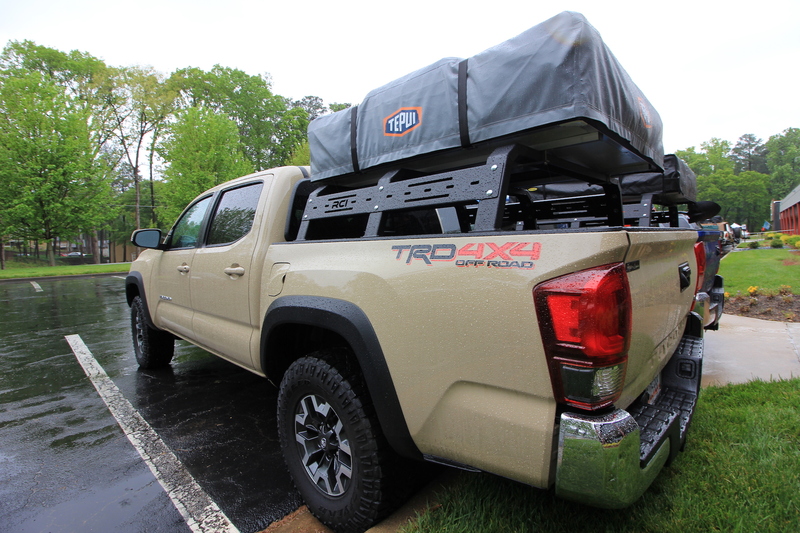 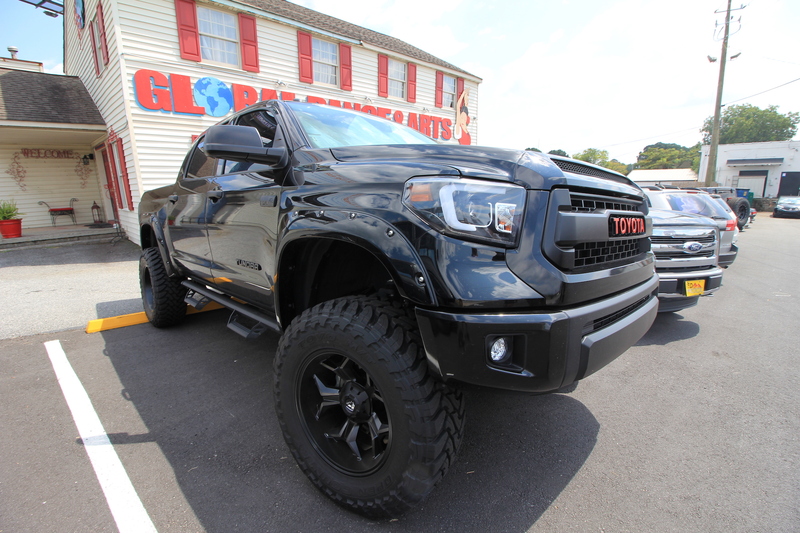 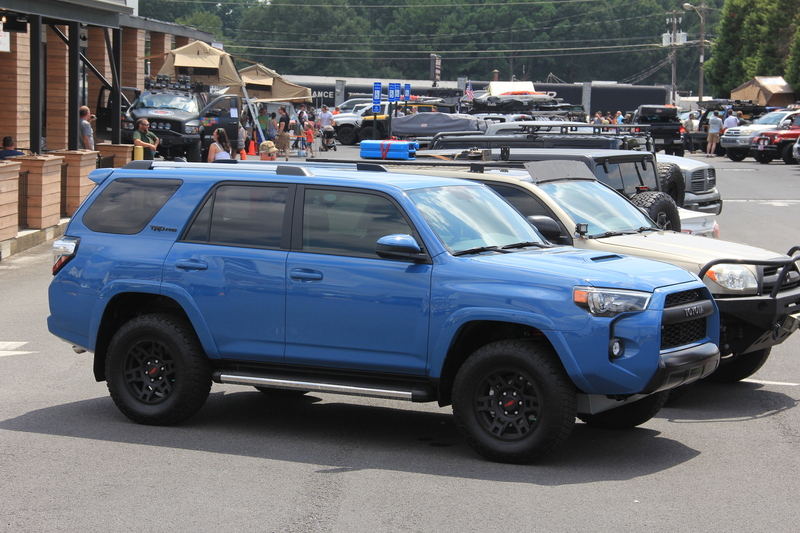 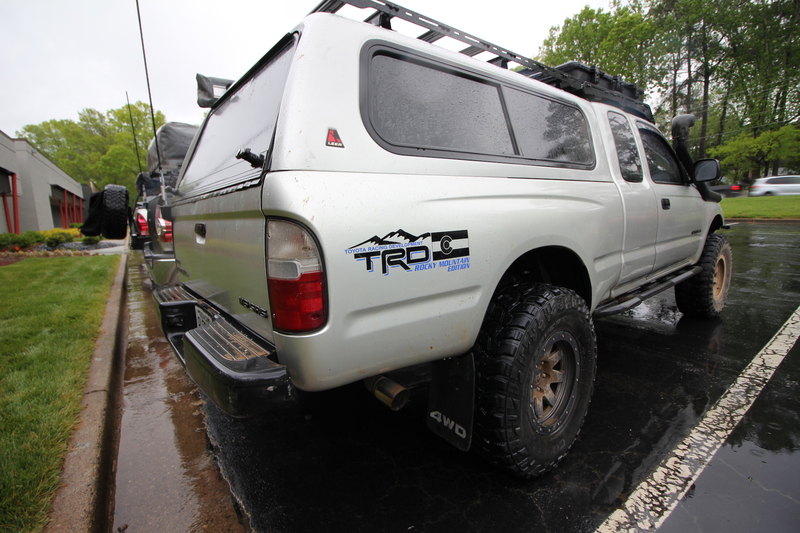 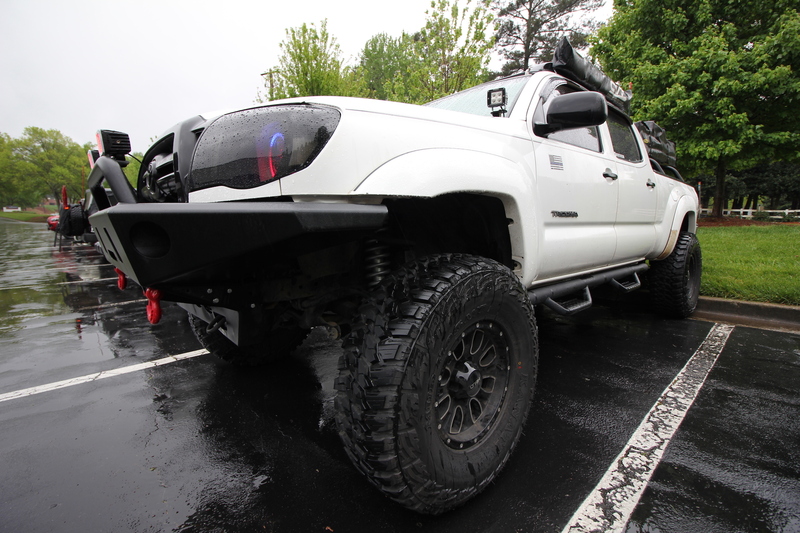 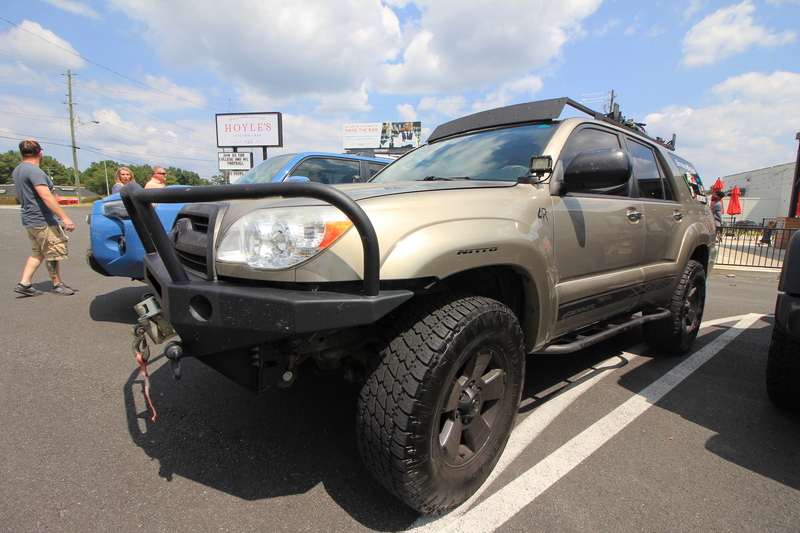 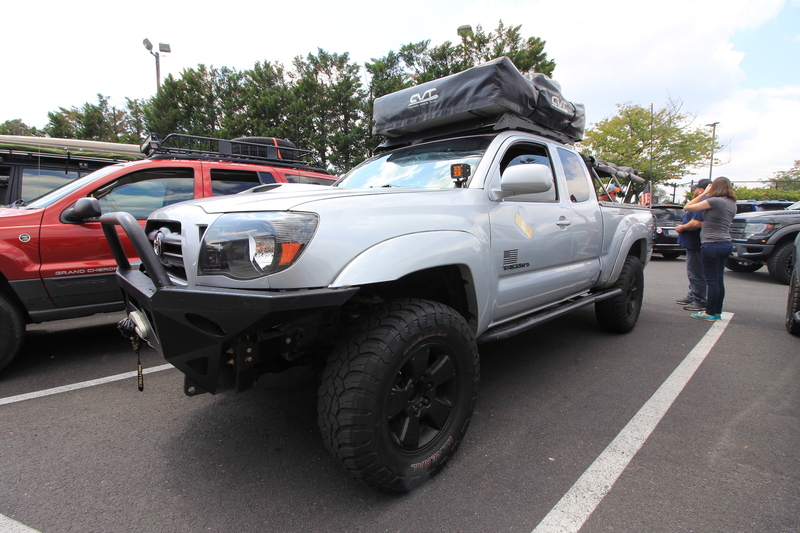 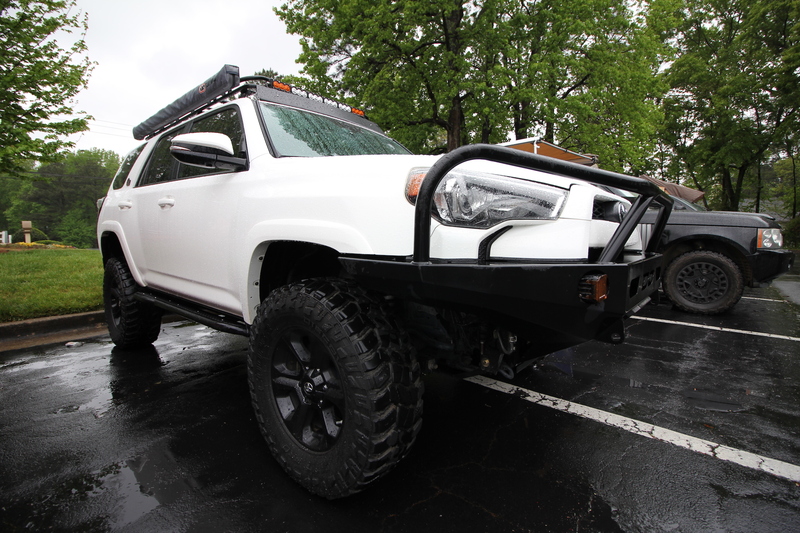 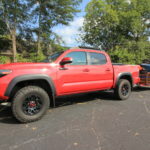 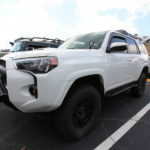 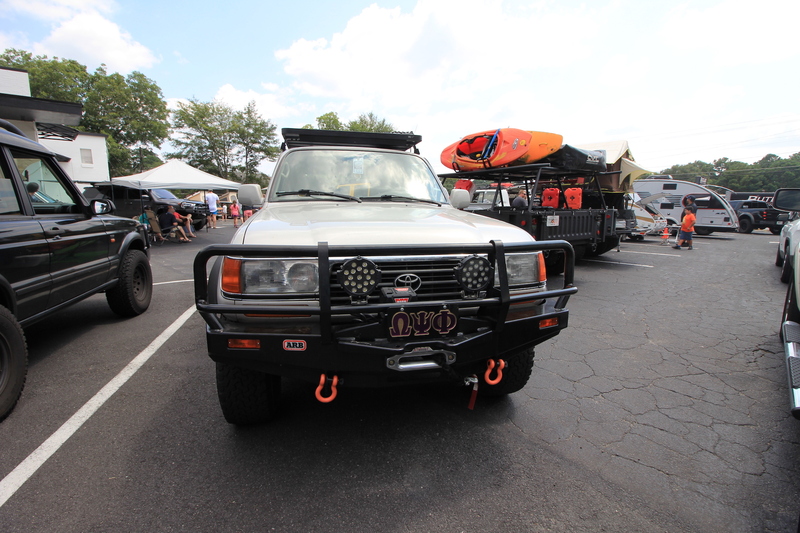 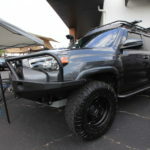 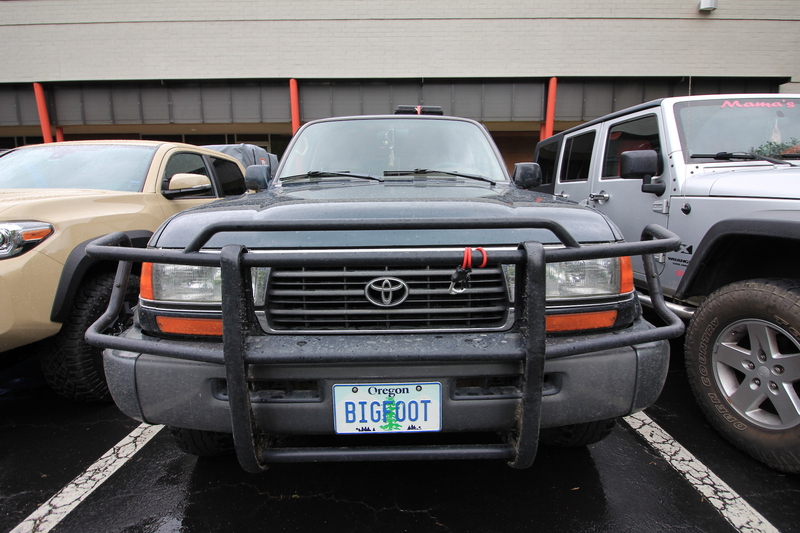 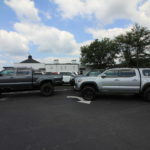 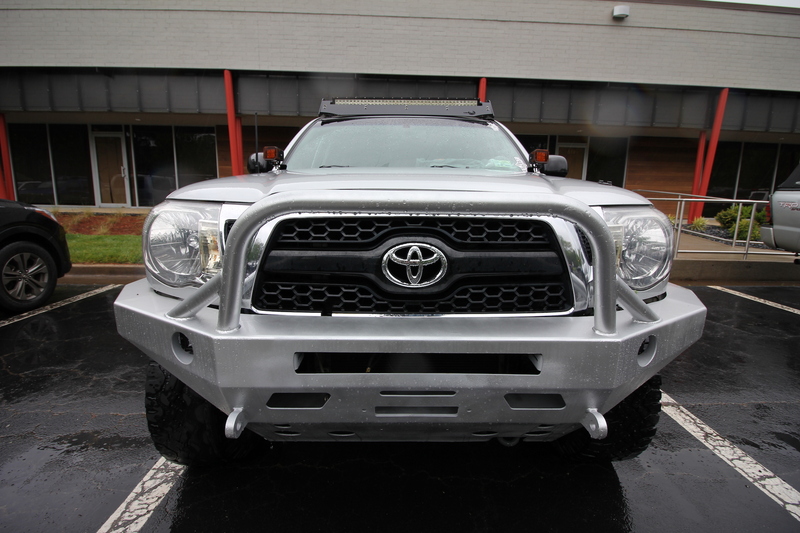 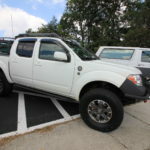 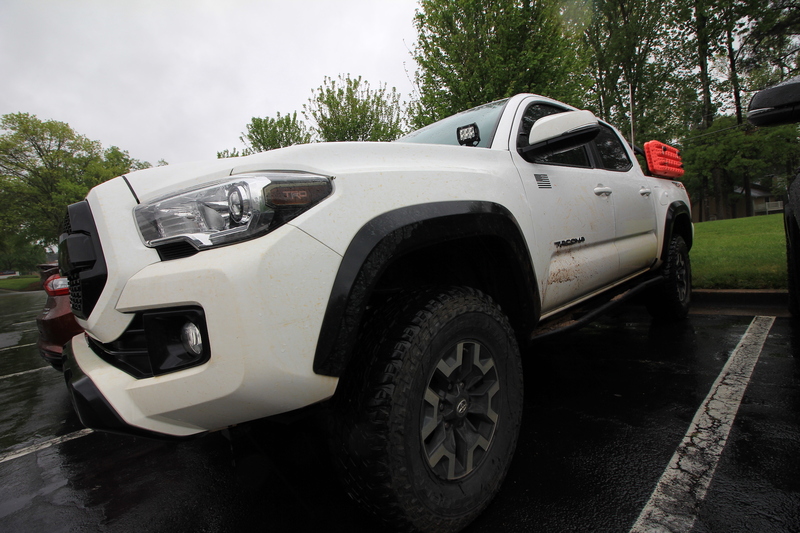 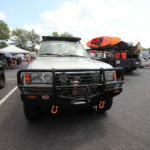 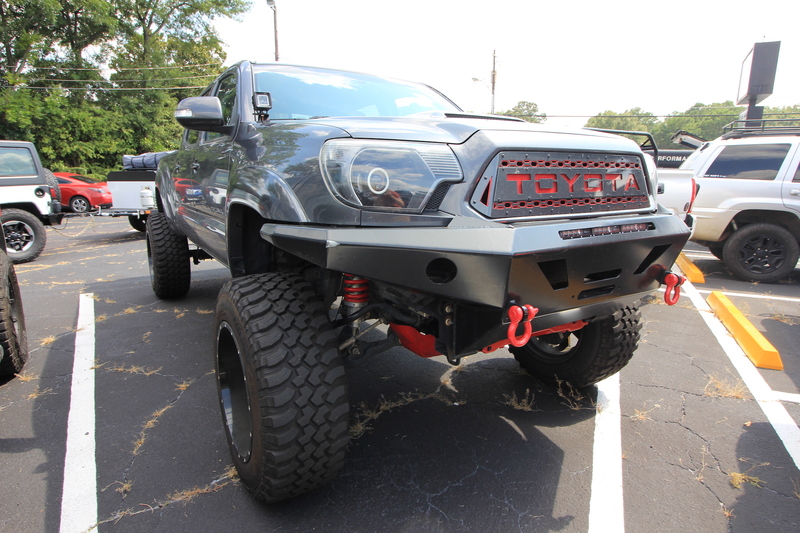 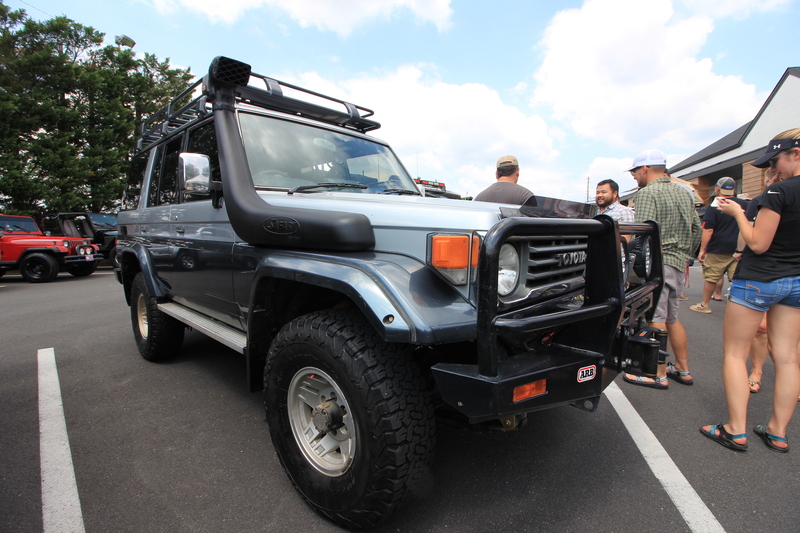 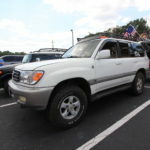 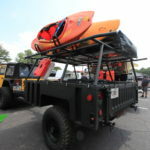 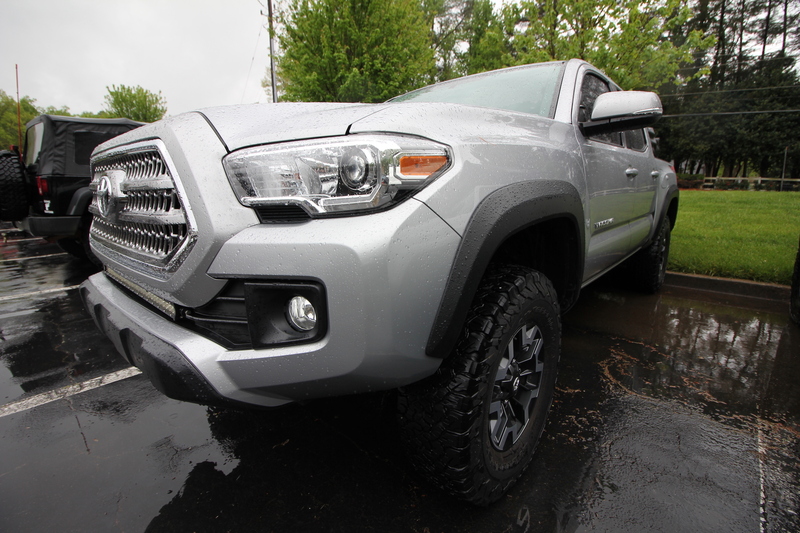 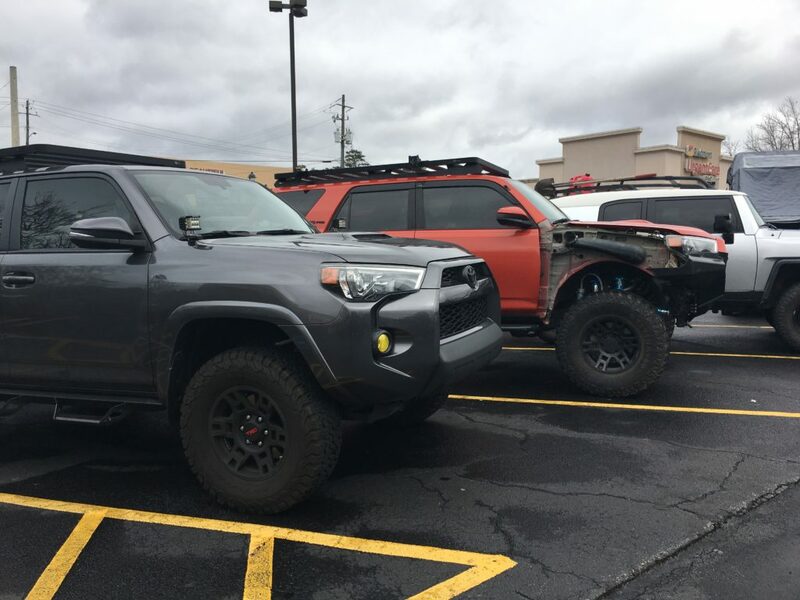 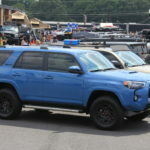 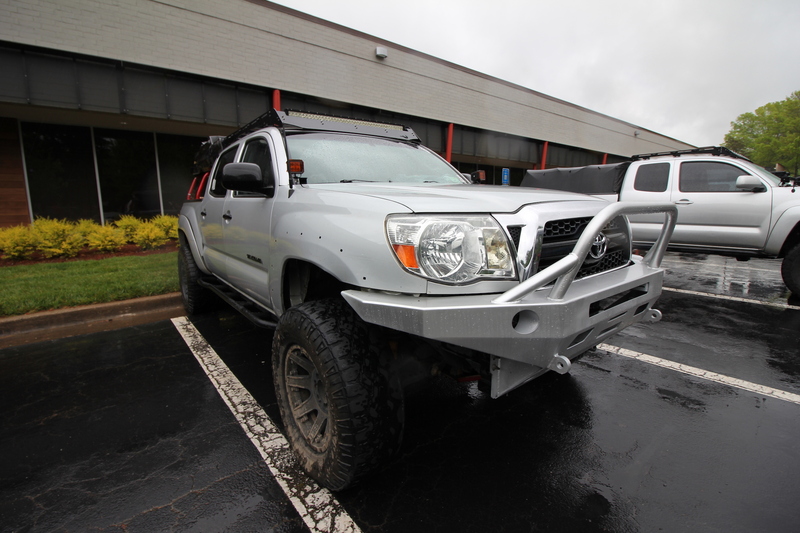 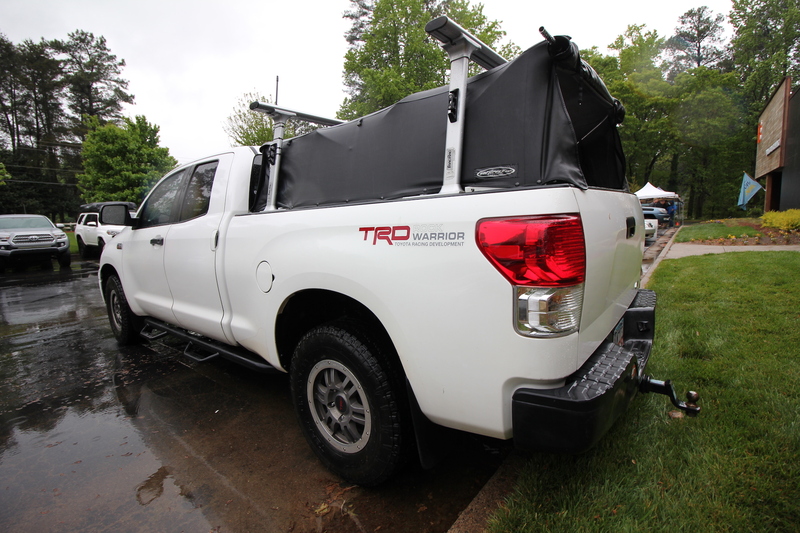 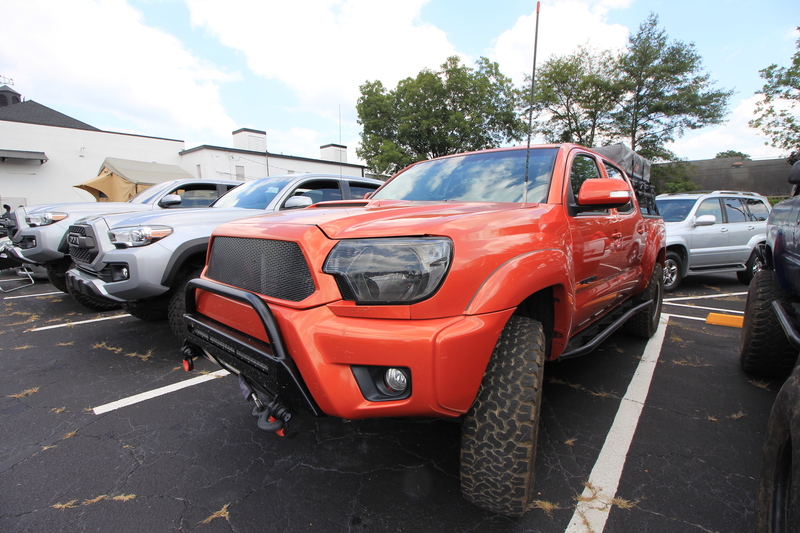 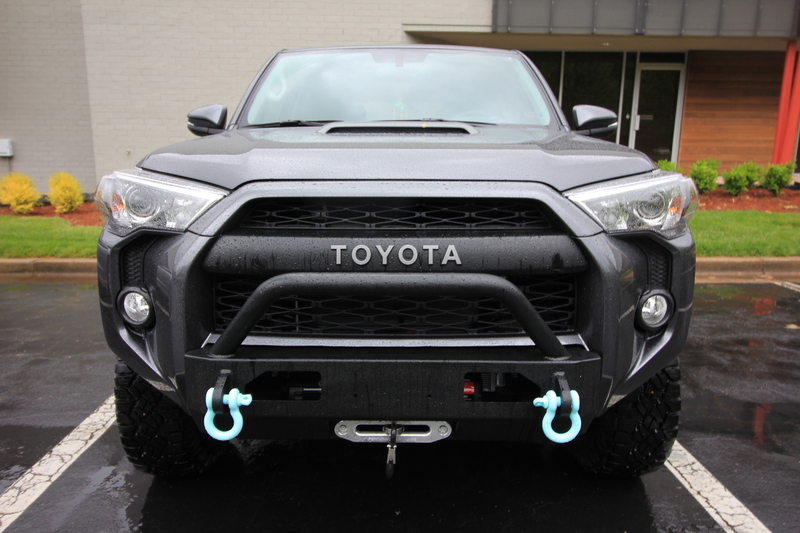 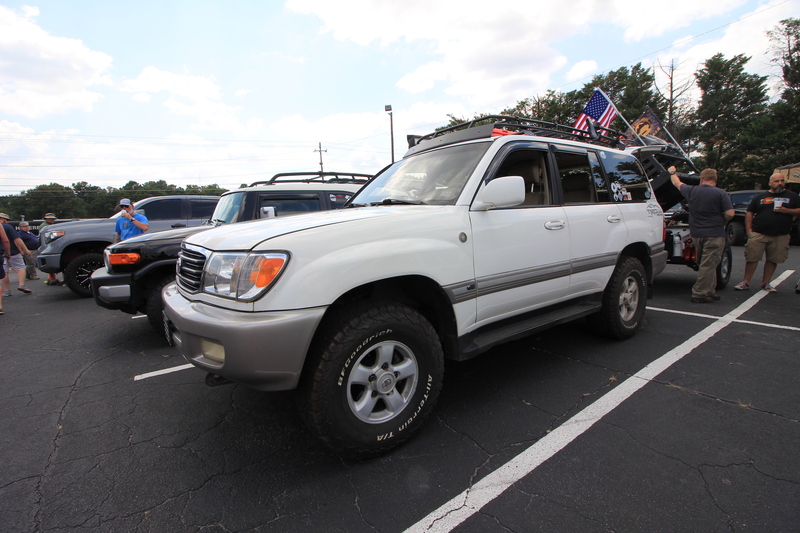 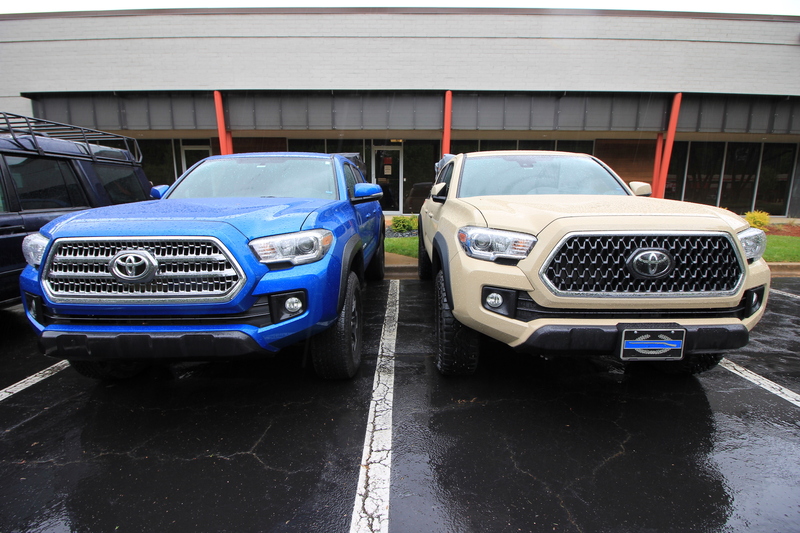 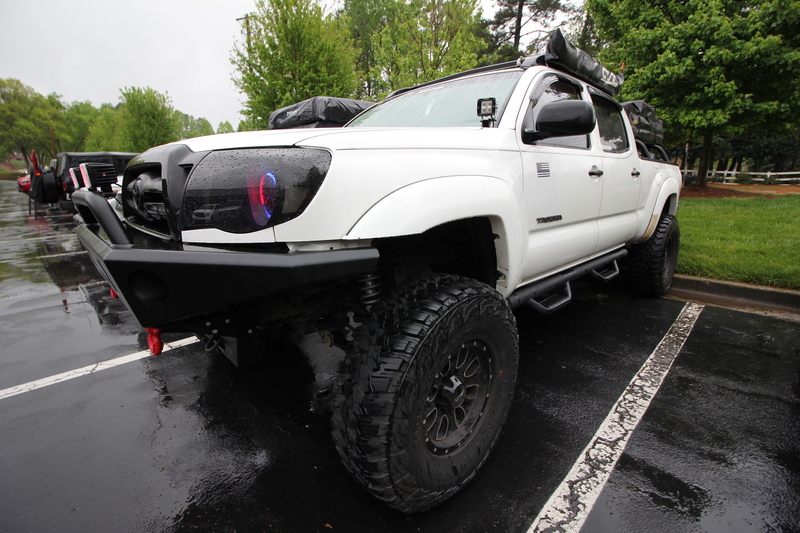 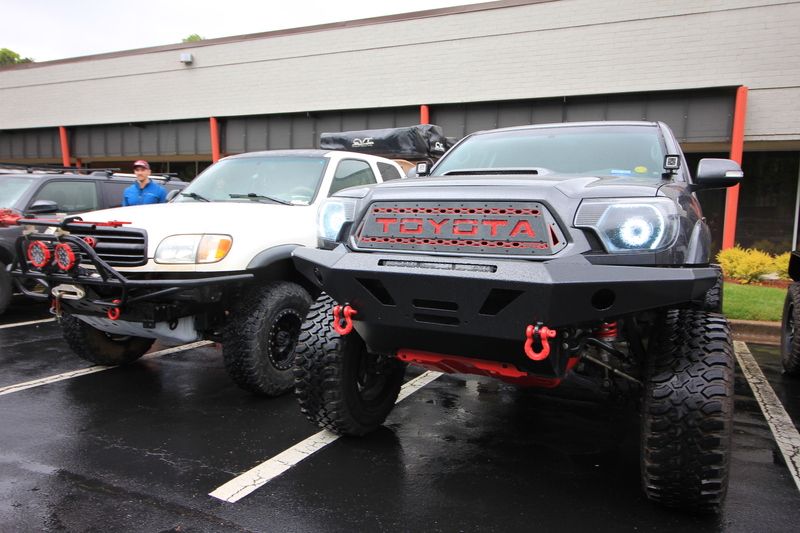 Everything from TRD Pro Toyotas to old-school Defenders filled the Pontoon Brewing parking lot to celebrate the adventure vehicle culture. 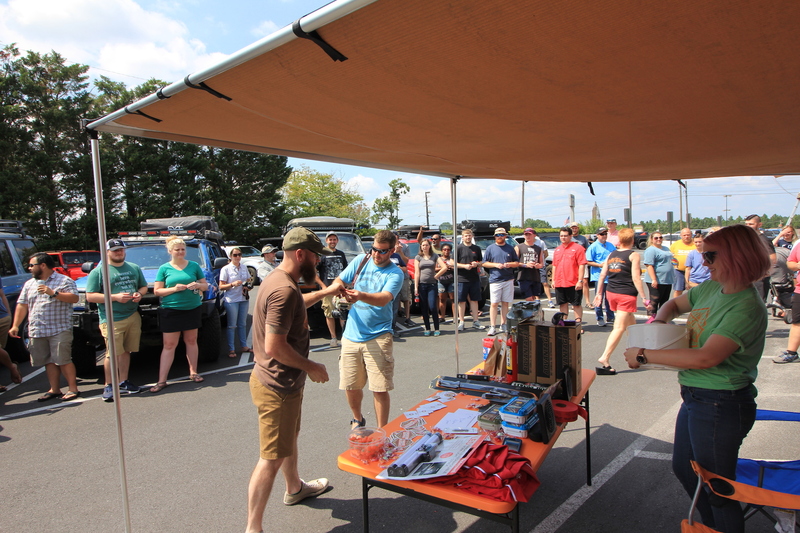 We are overwhelmed by the amount of support the expedition community showed us at Tents and Tires and we can’t wait to start planning the next event! 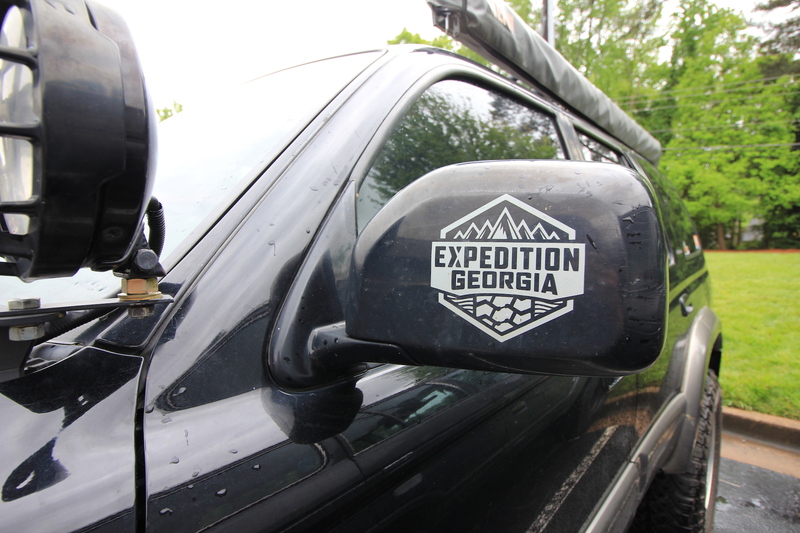 Make sure to follow @TentsandTires and @ExpeditionGeorgia on Instagram and Facebook for details on upcoming events! 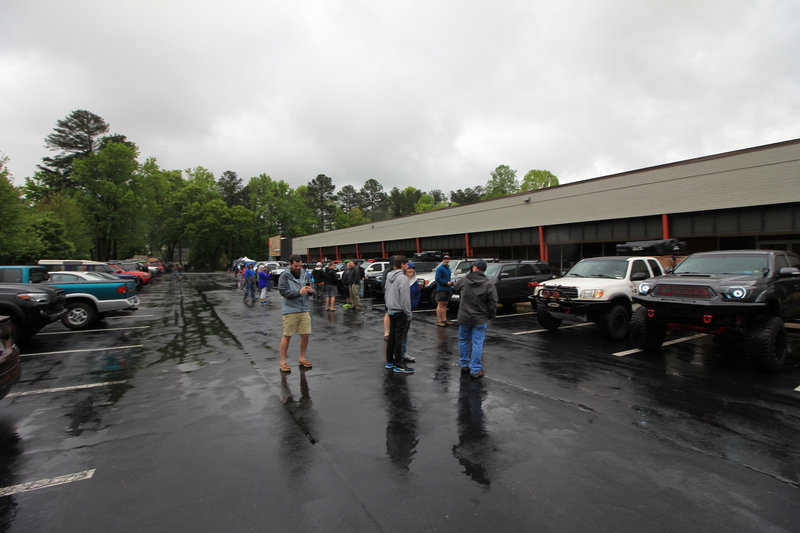 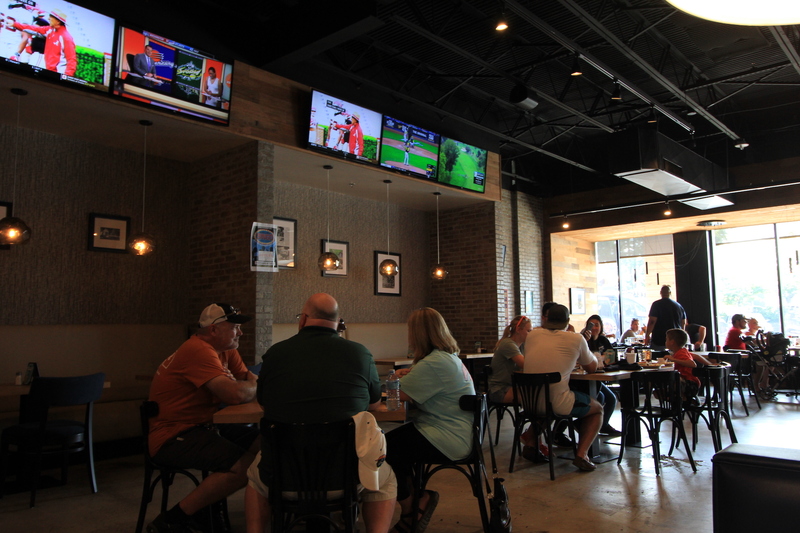 Thanks again for all who came out and braved the weather with us! 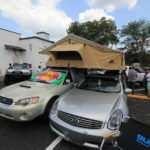 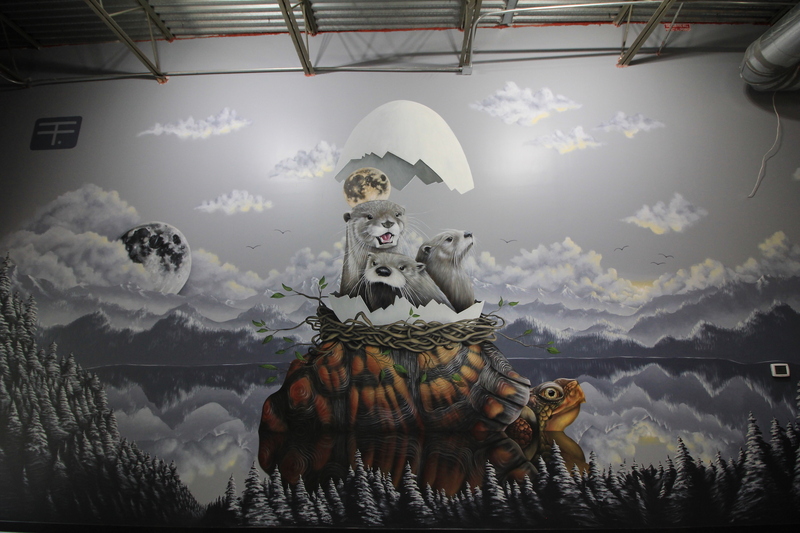 Check out the full gallery of images!